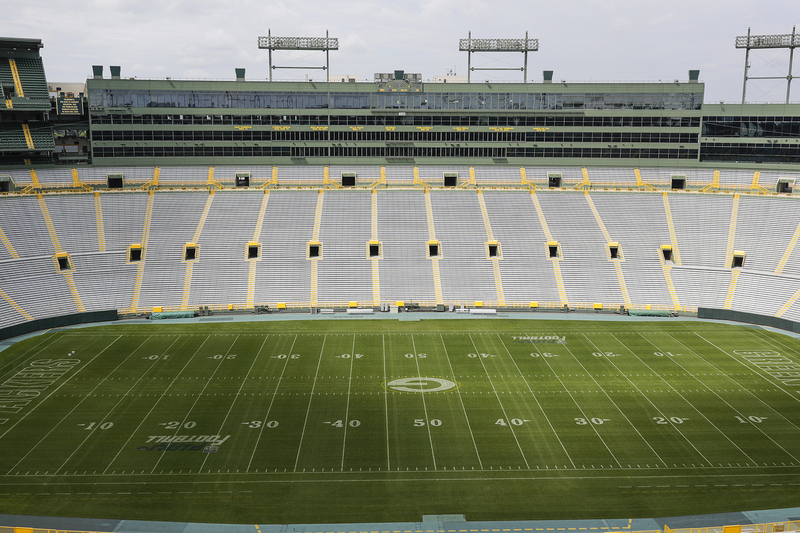 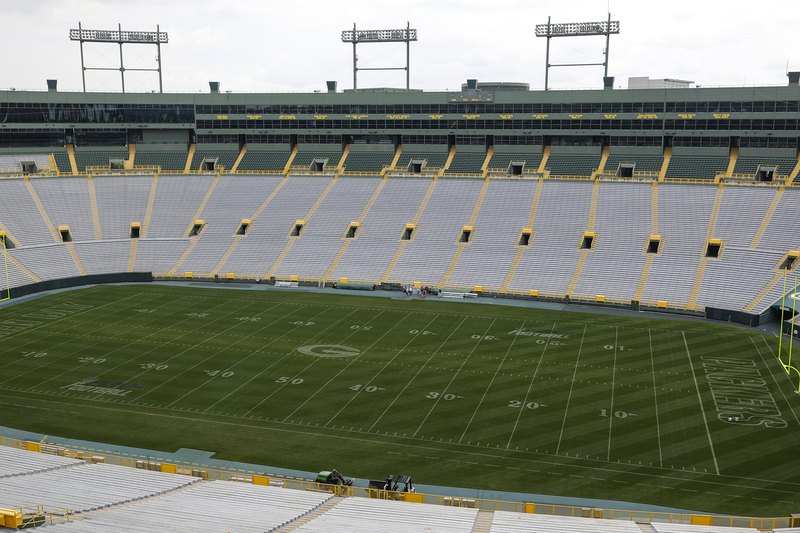 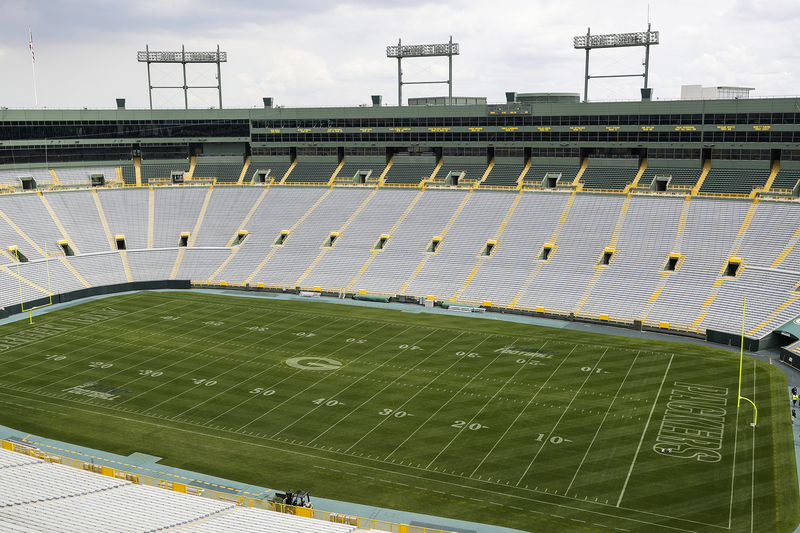 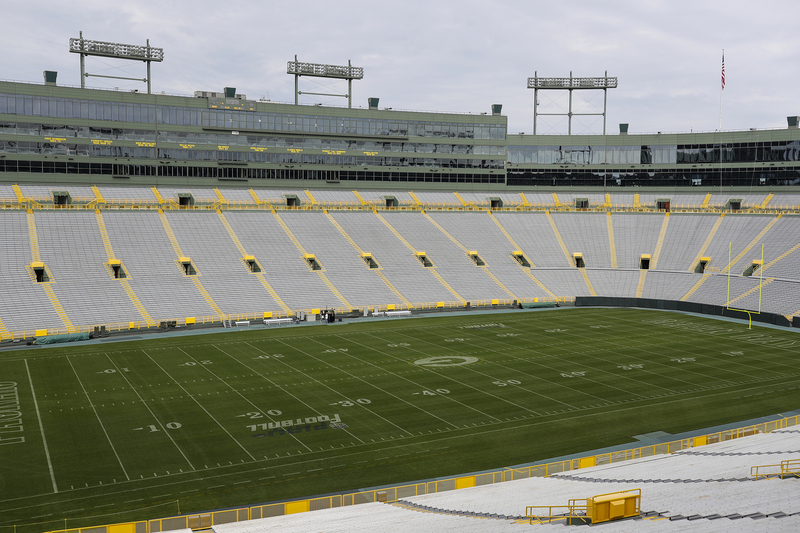 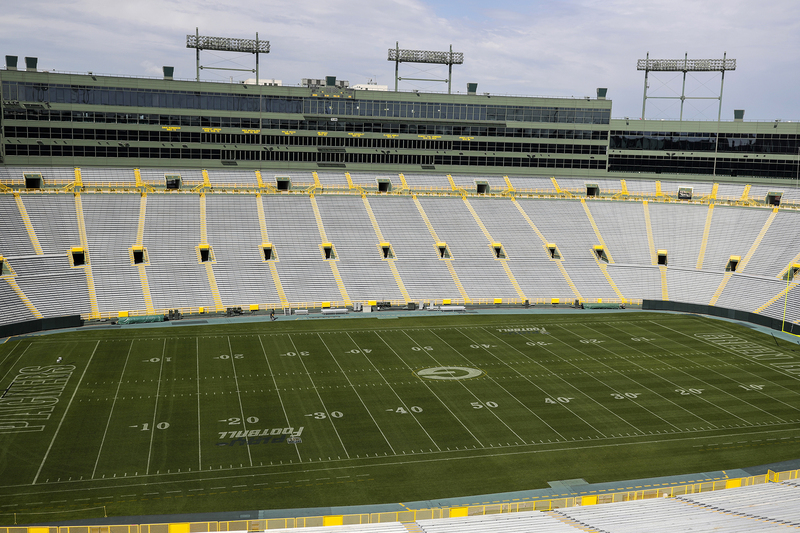 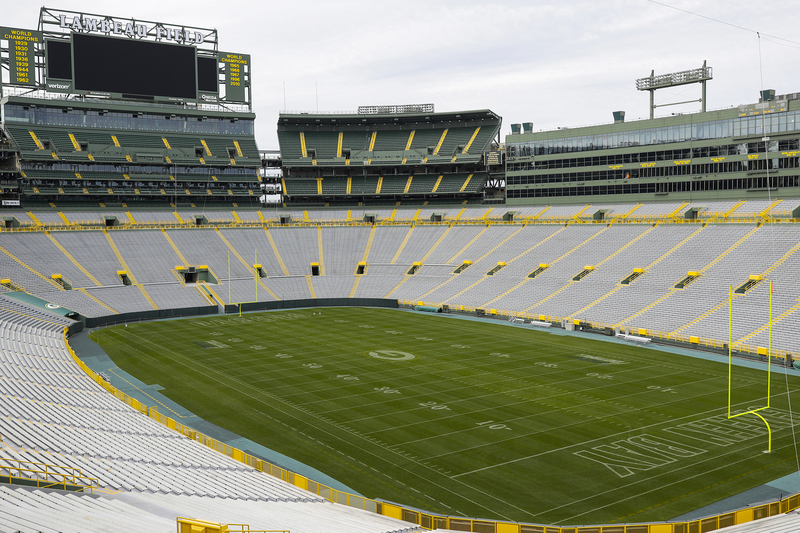 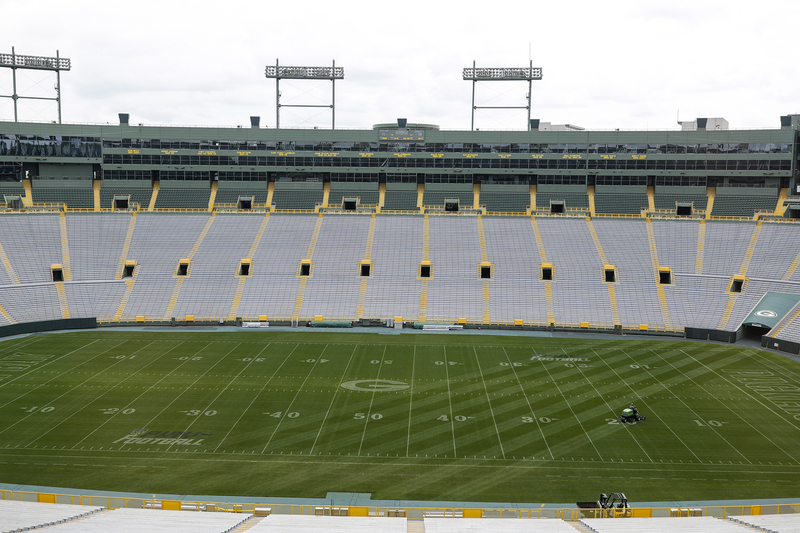 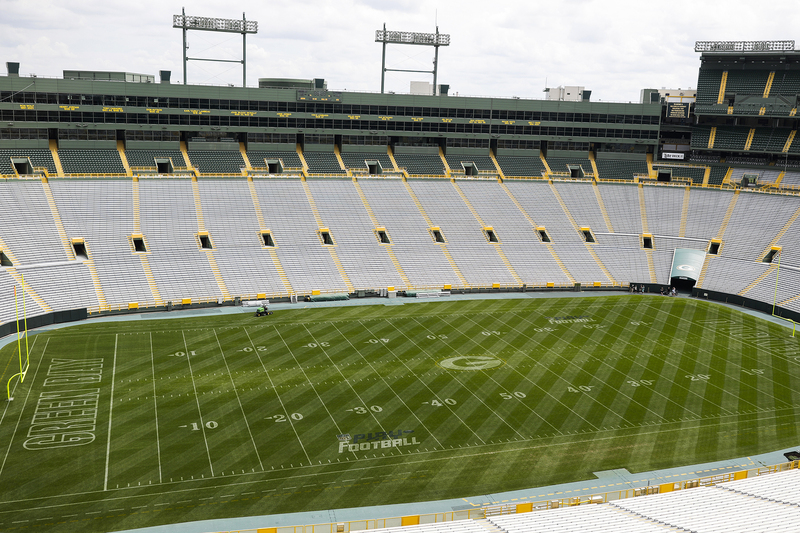 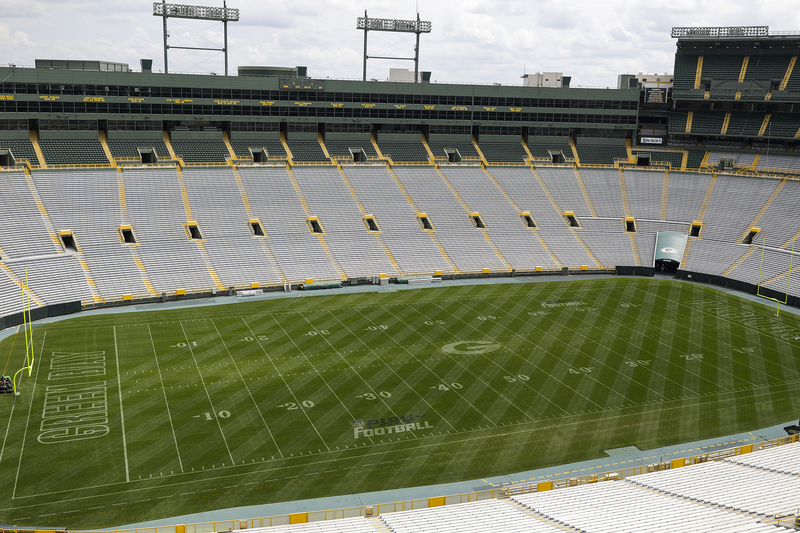 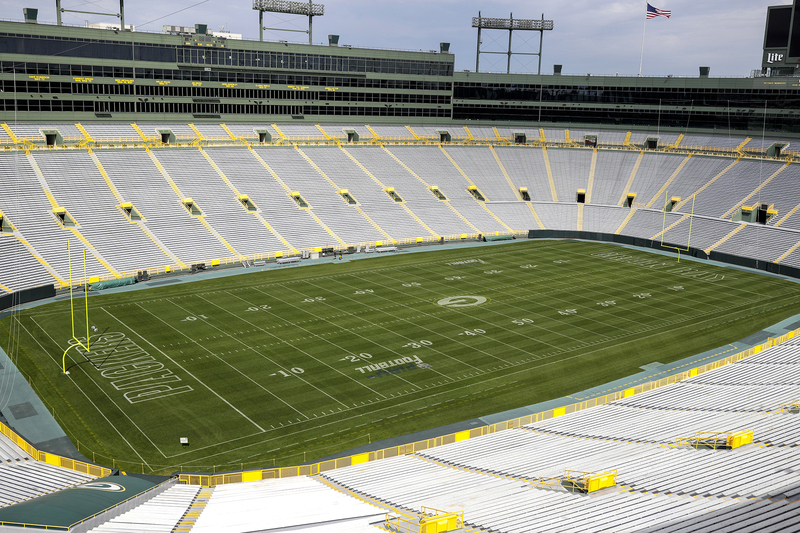 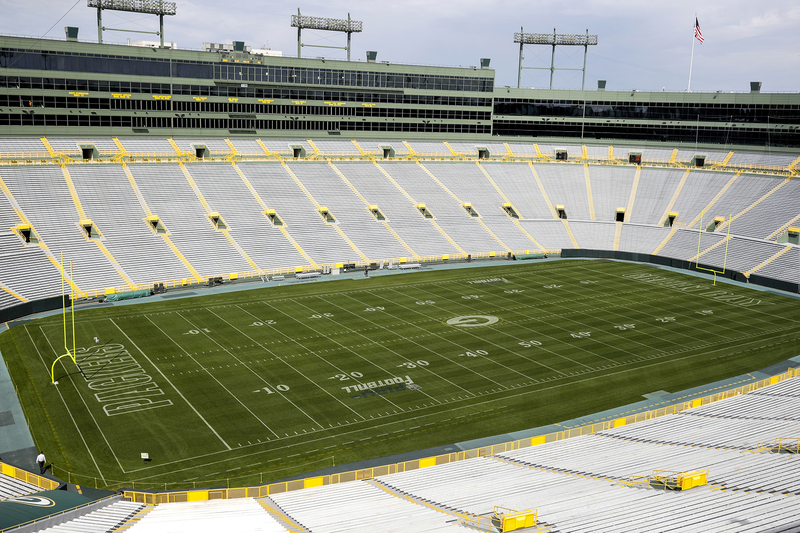 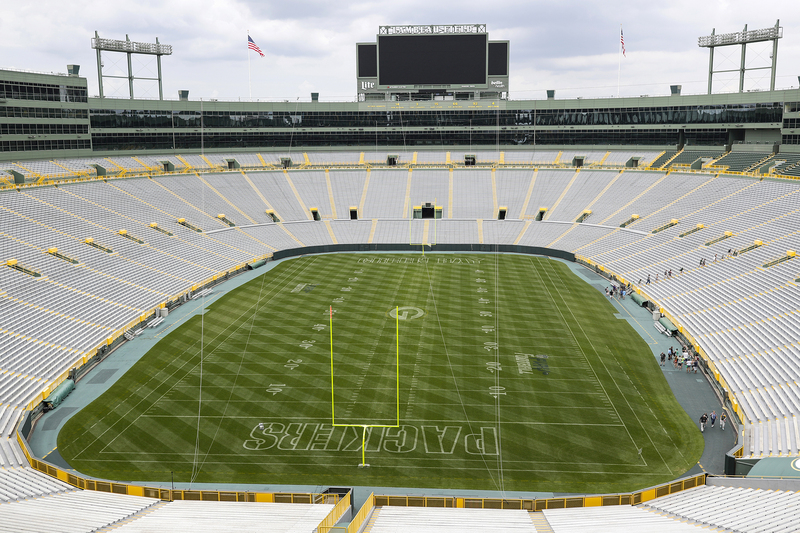 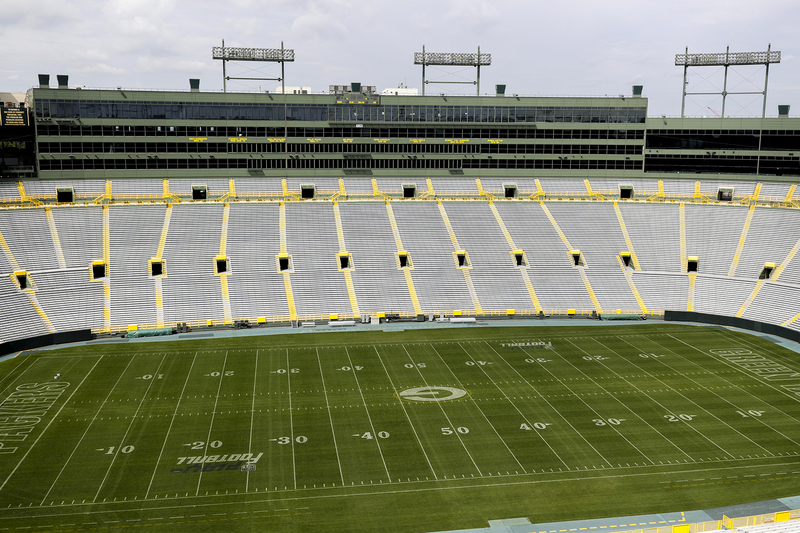 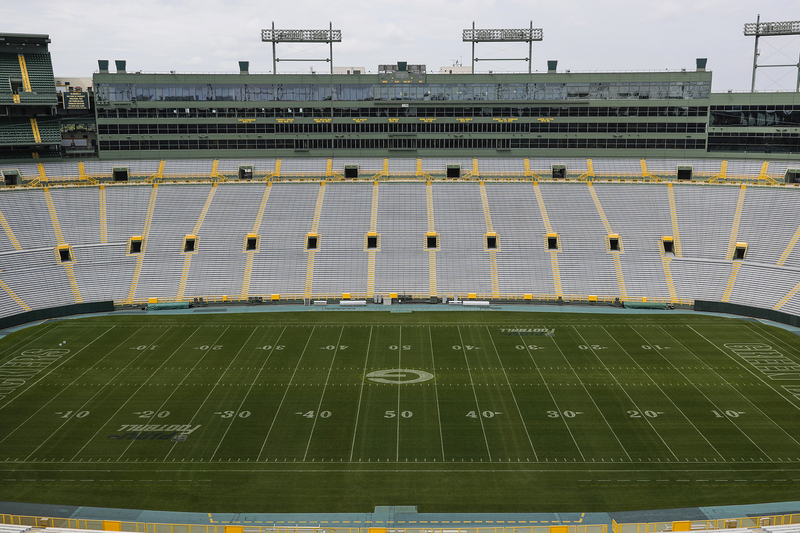 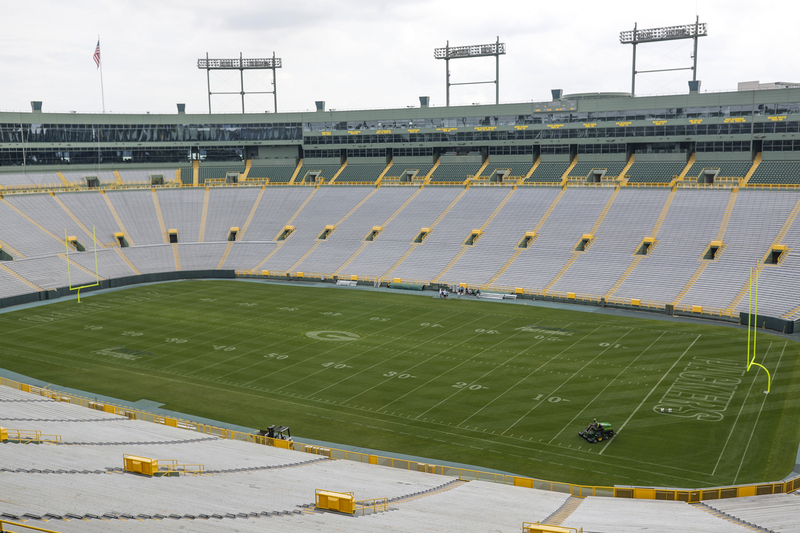 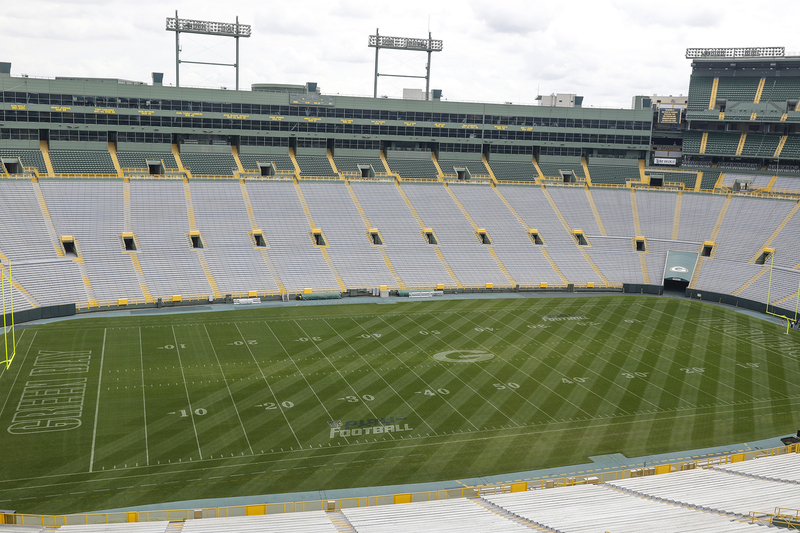 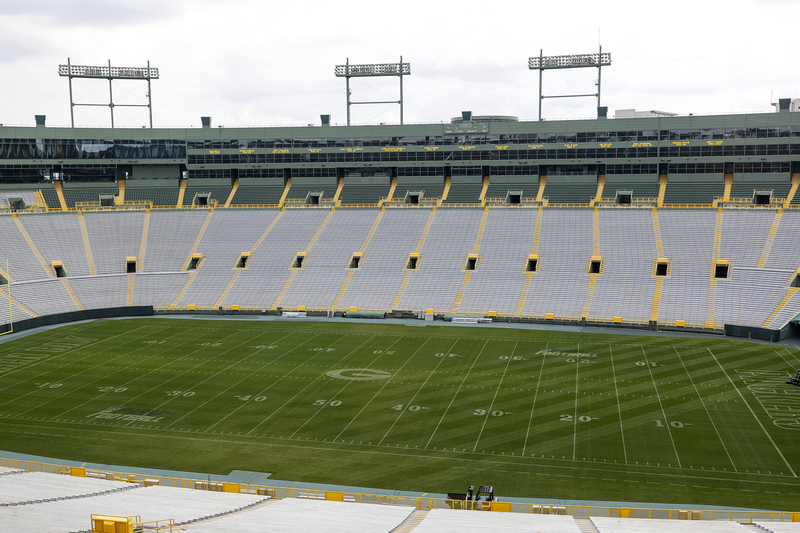 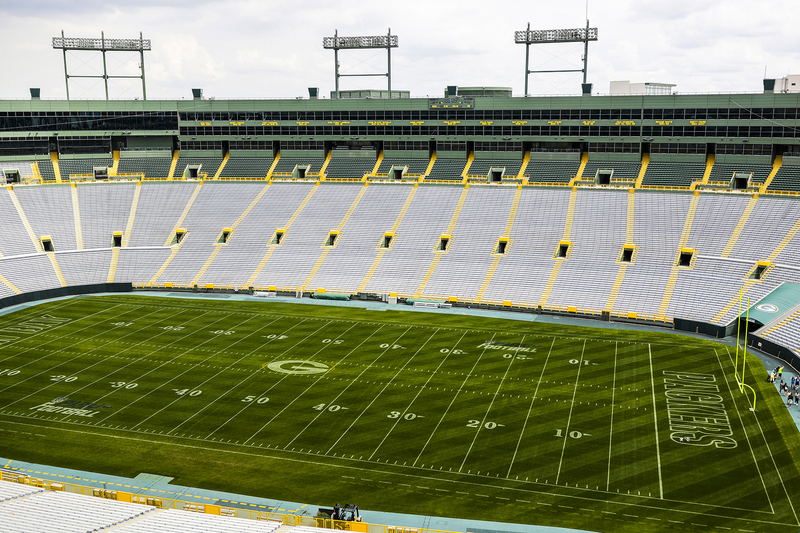 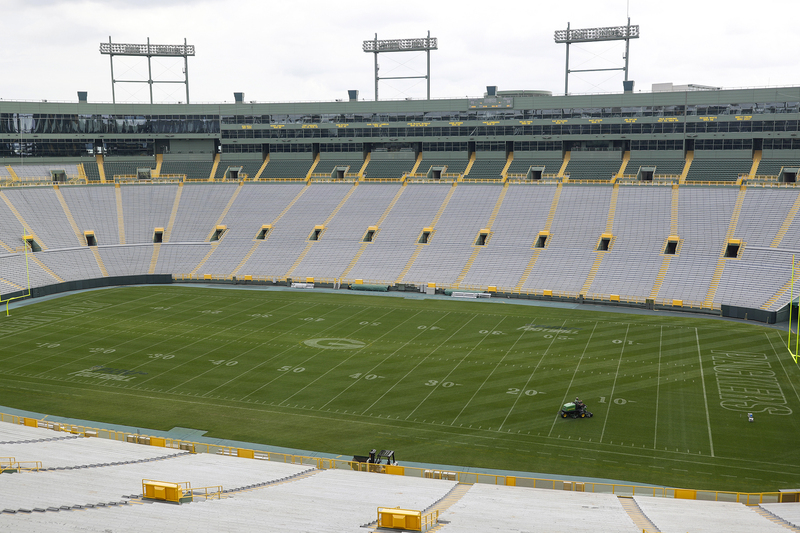 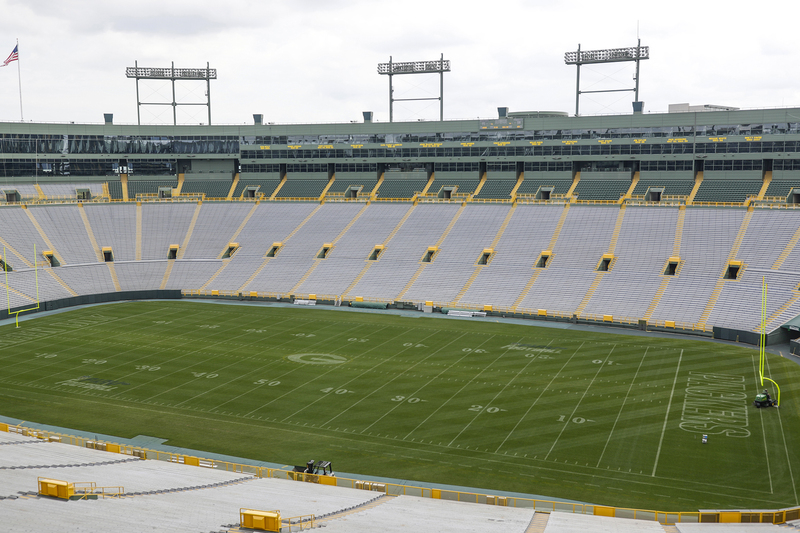 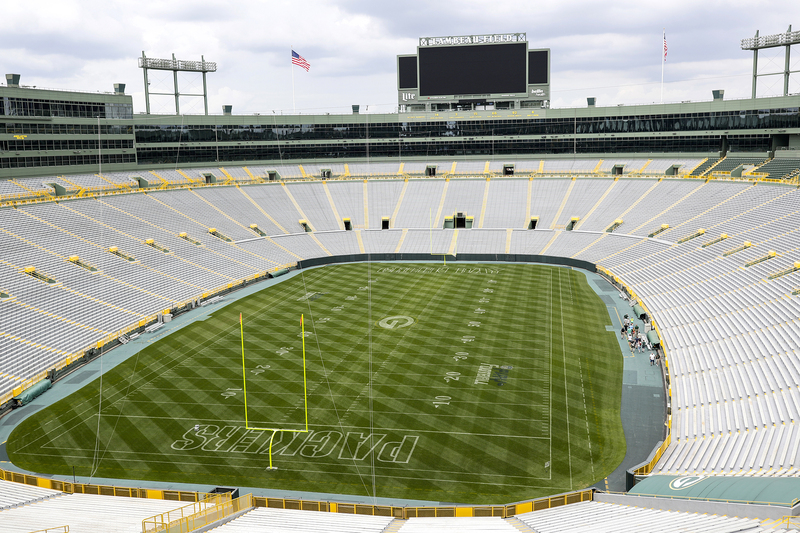 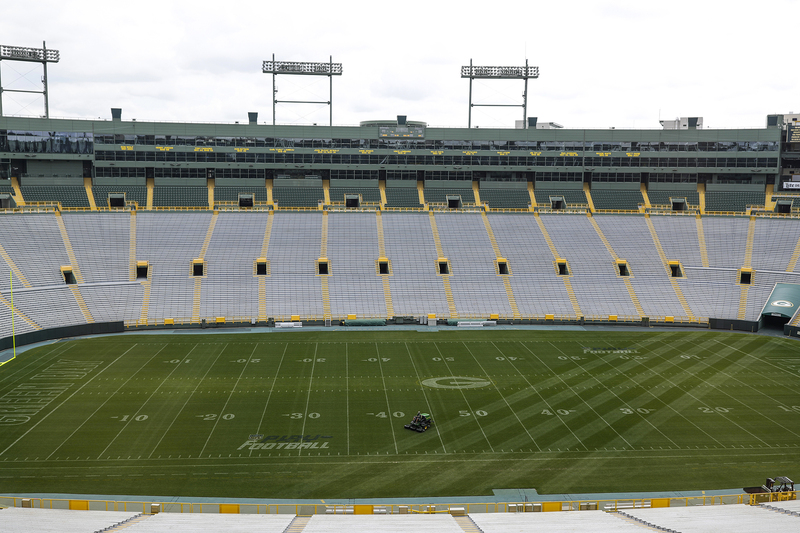 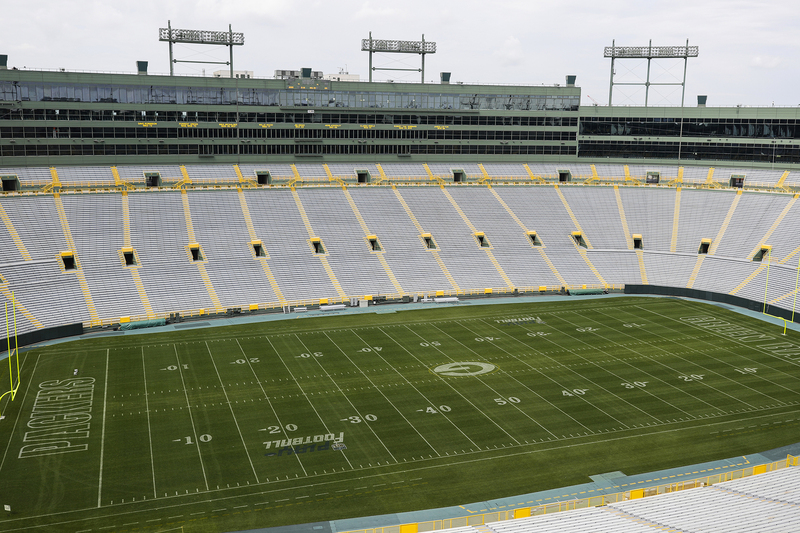 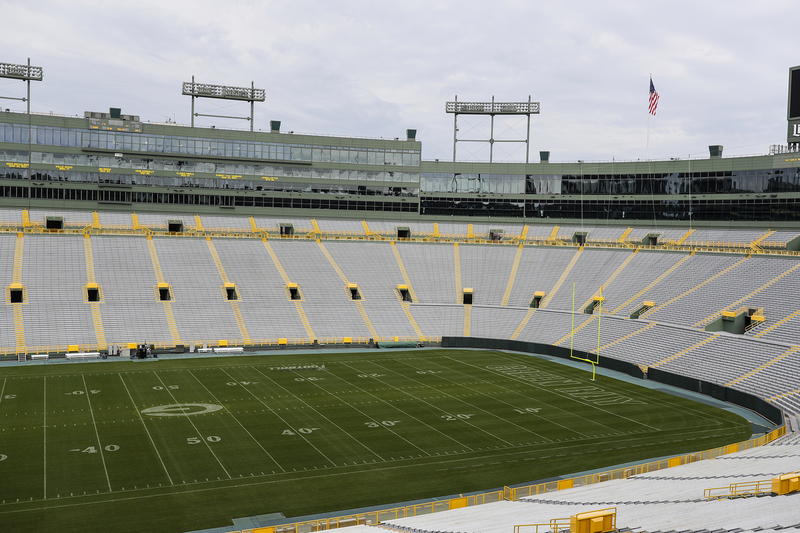 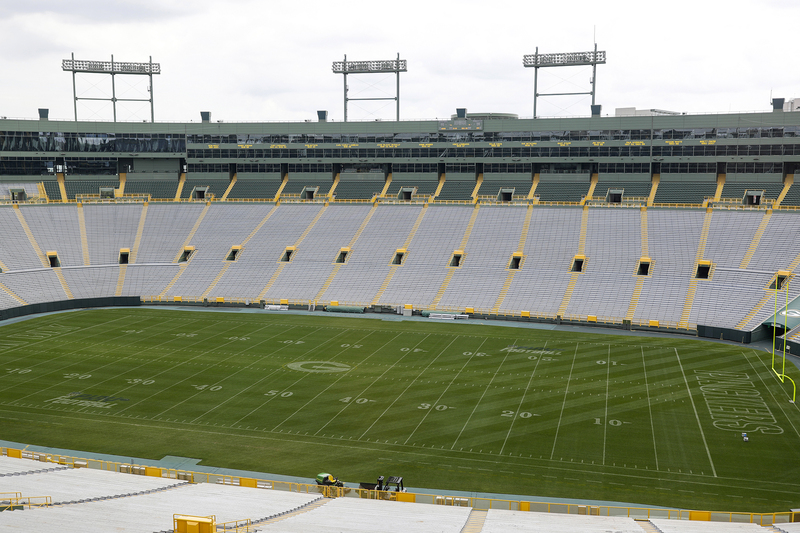 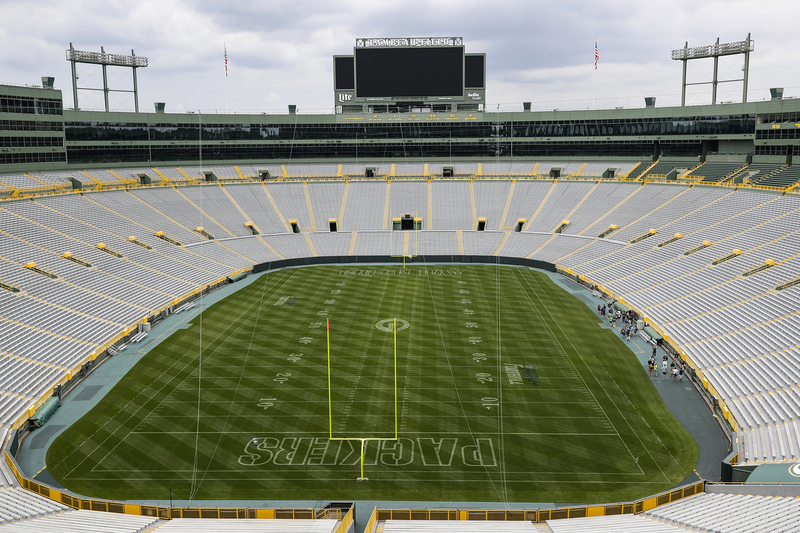 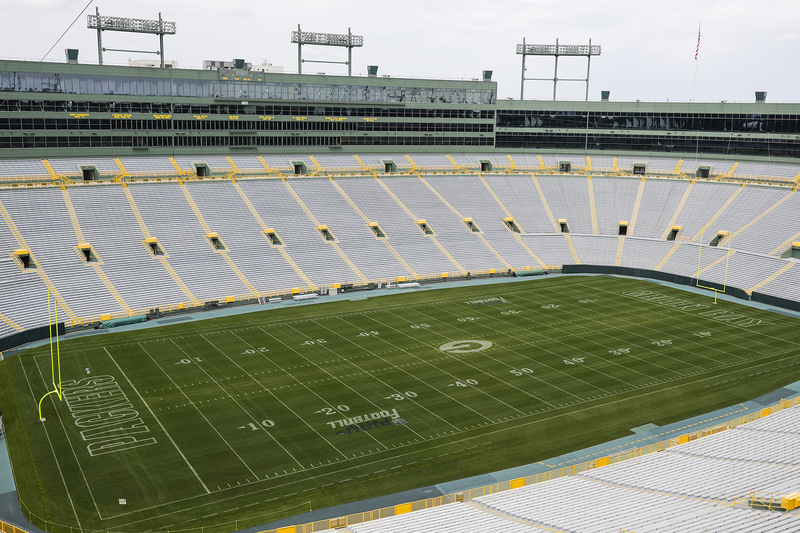 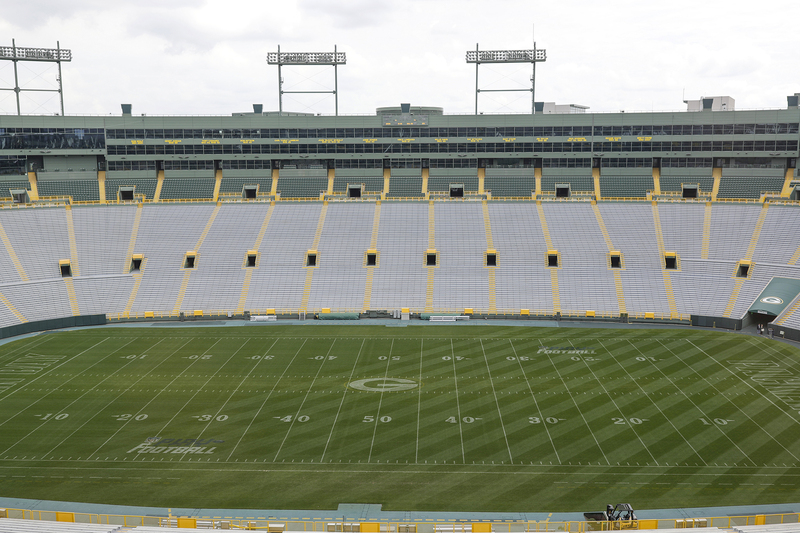 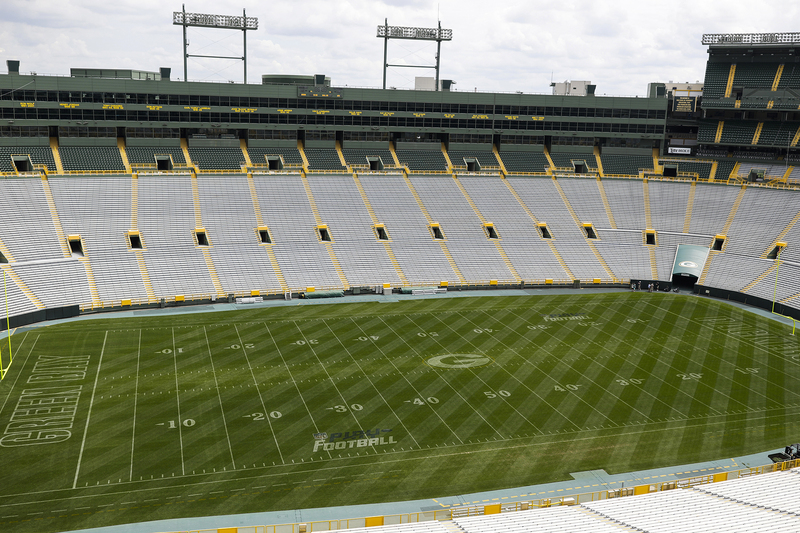 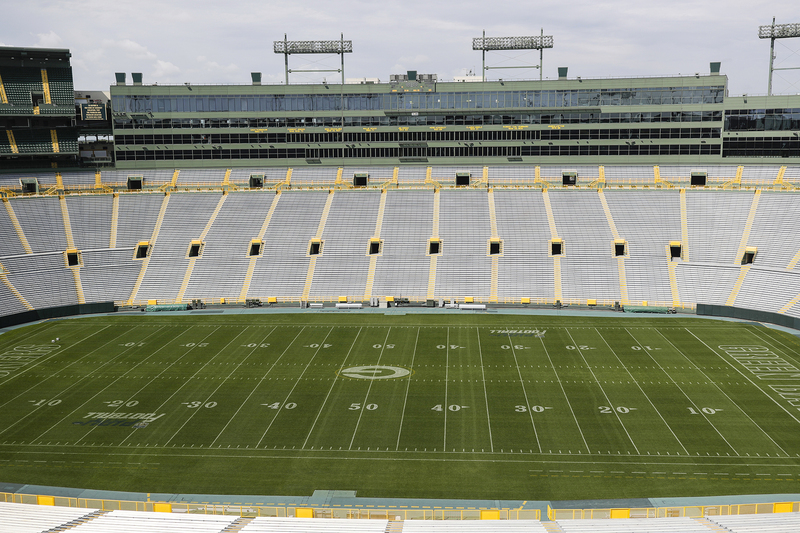 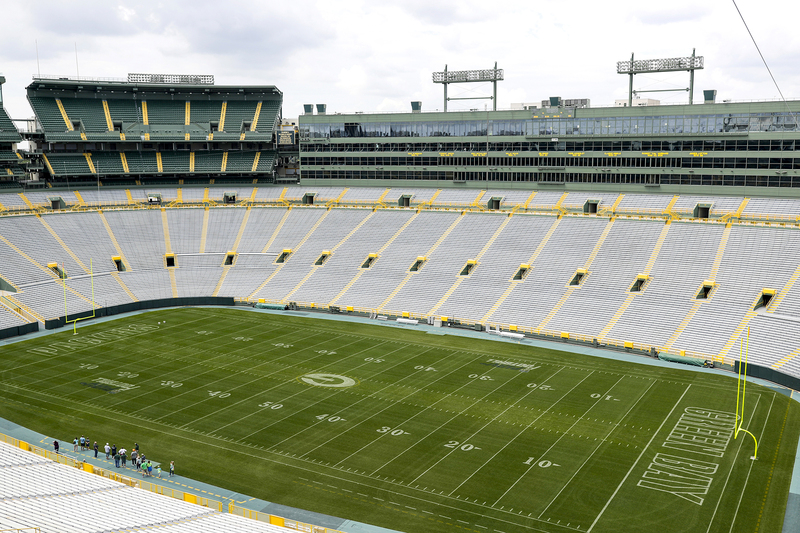 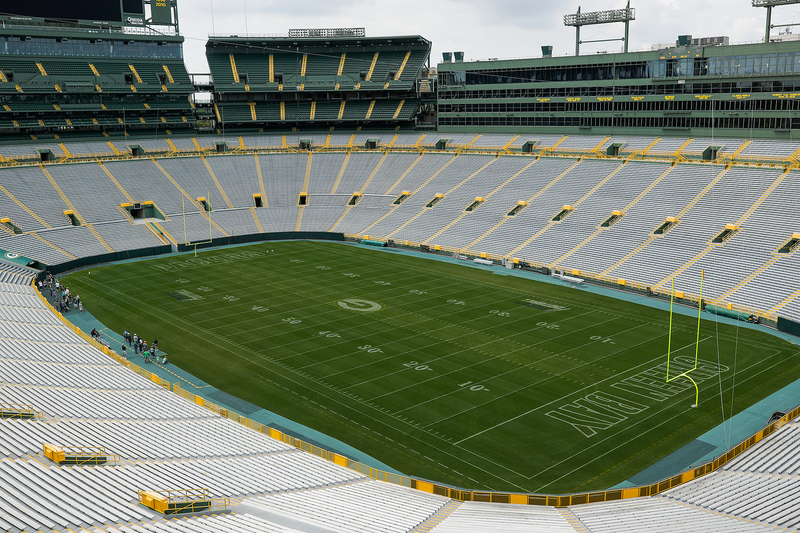 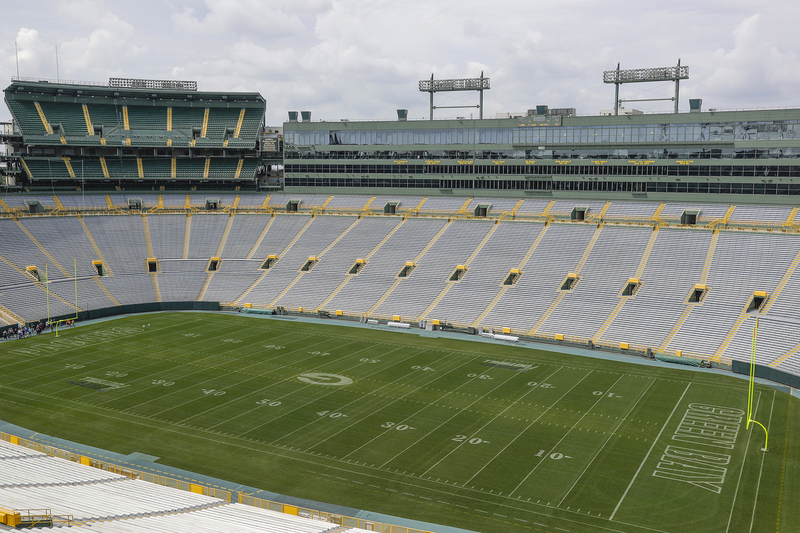 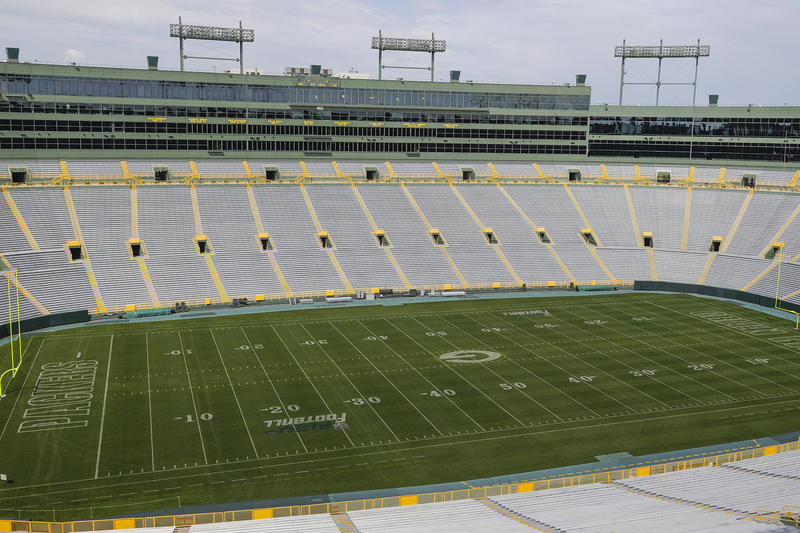 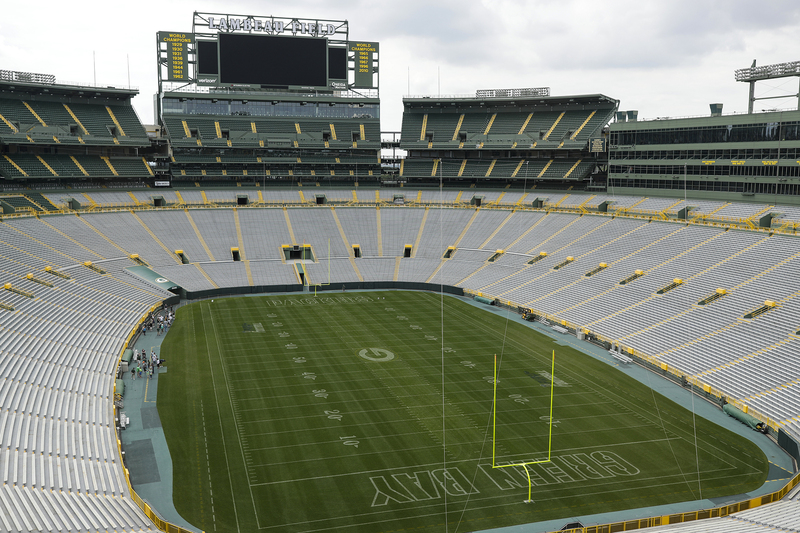 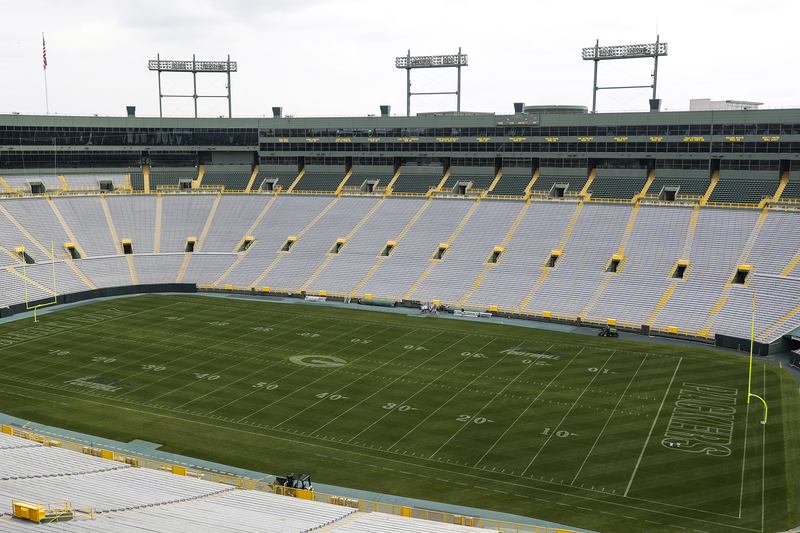 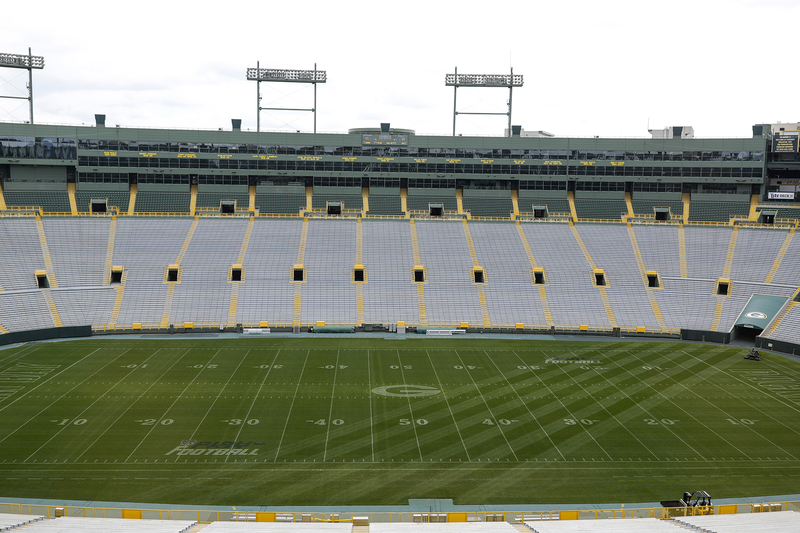 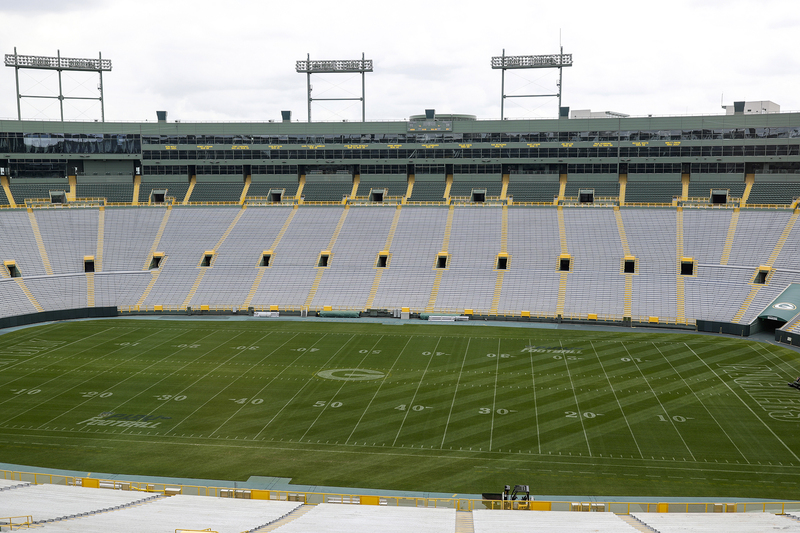 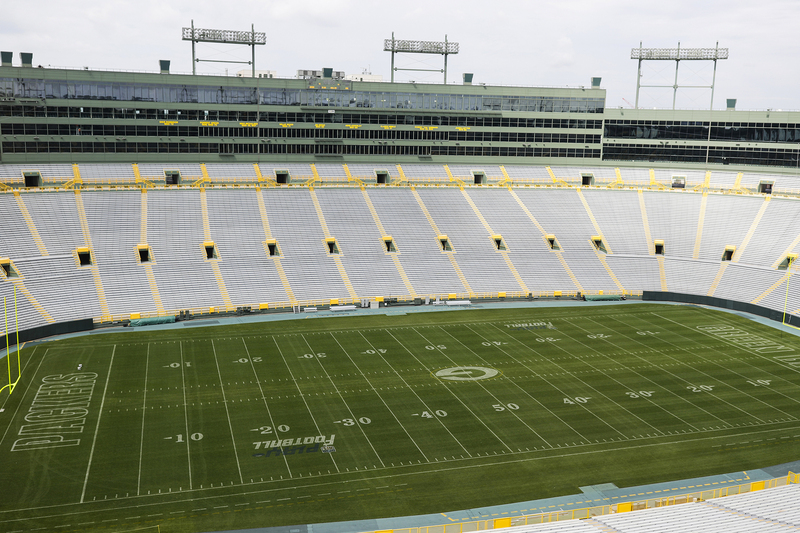 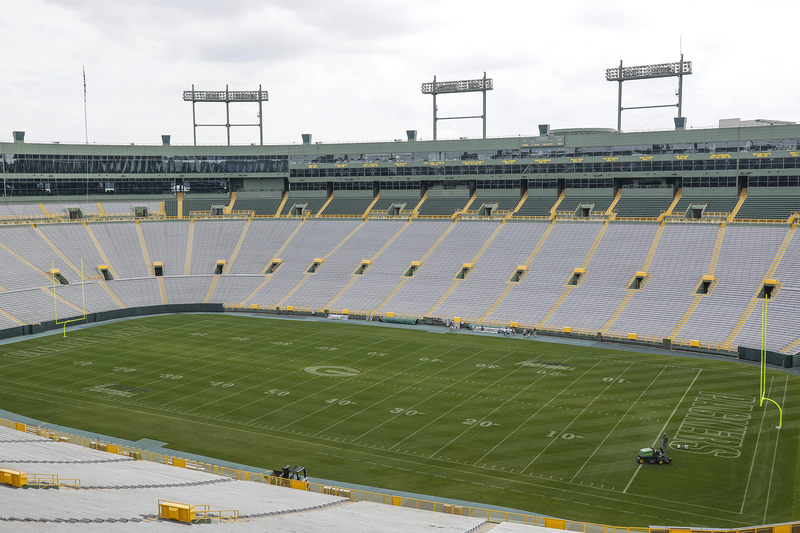 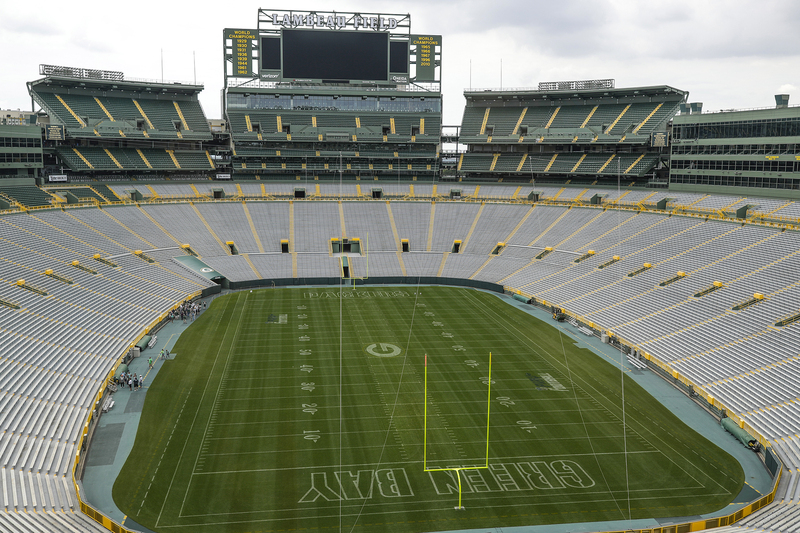 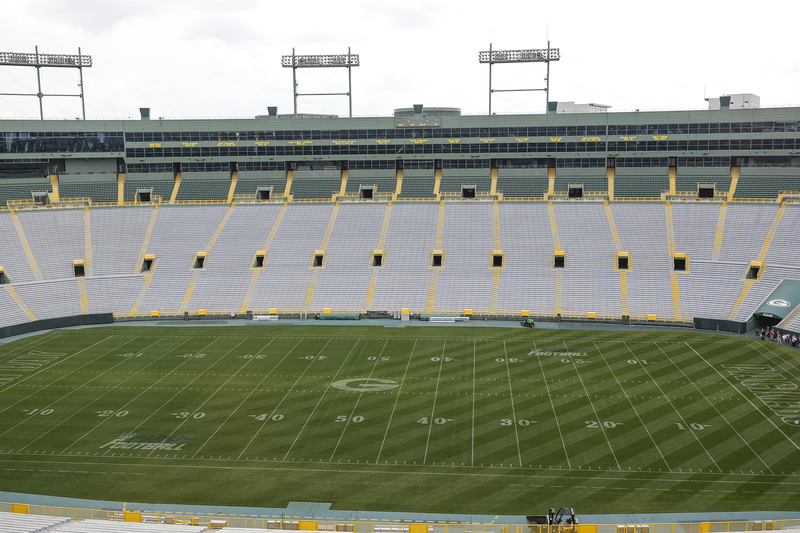 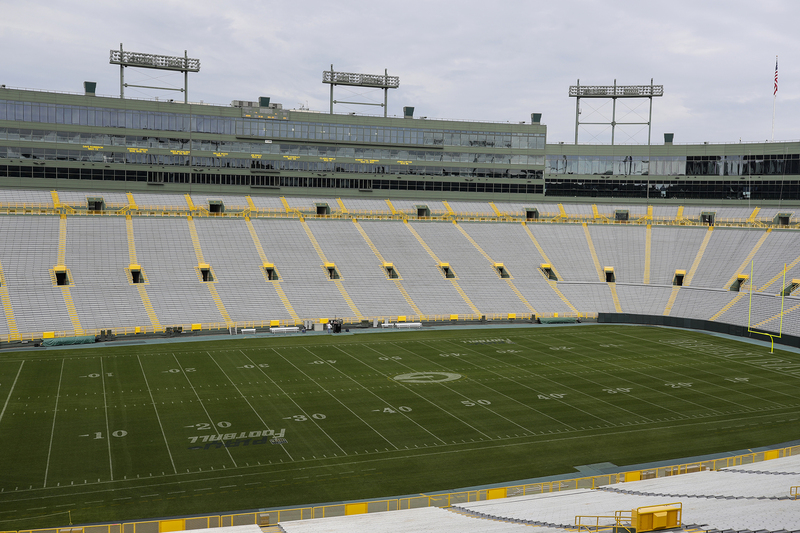 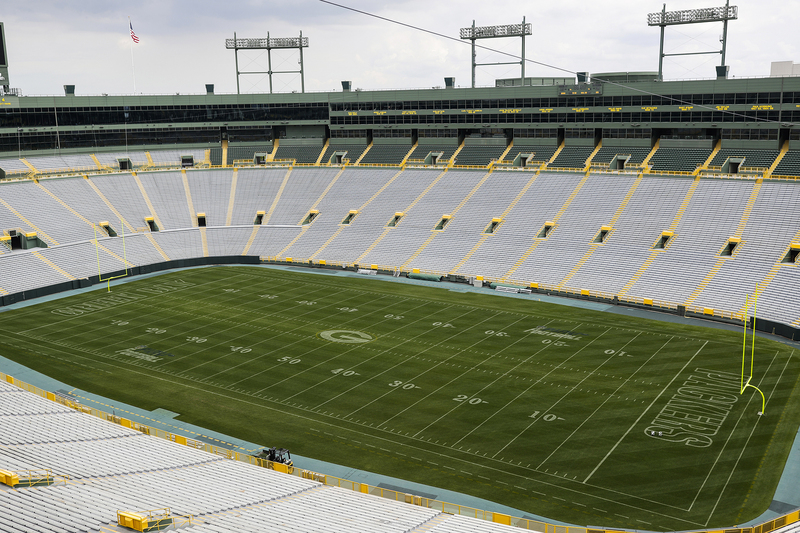 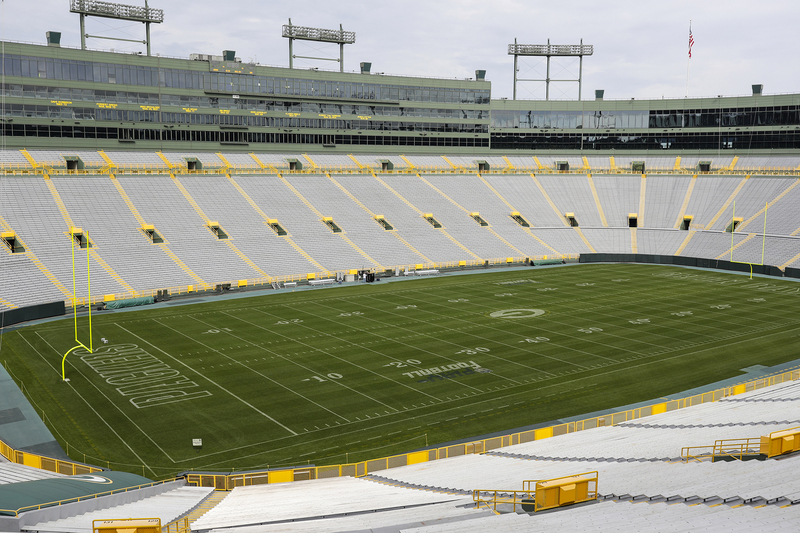 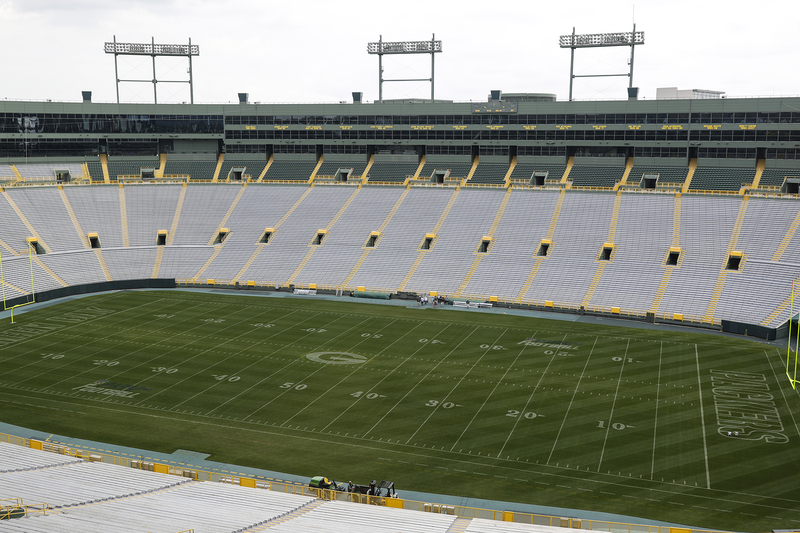 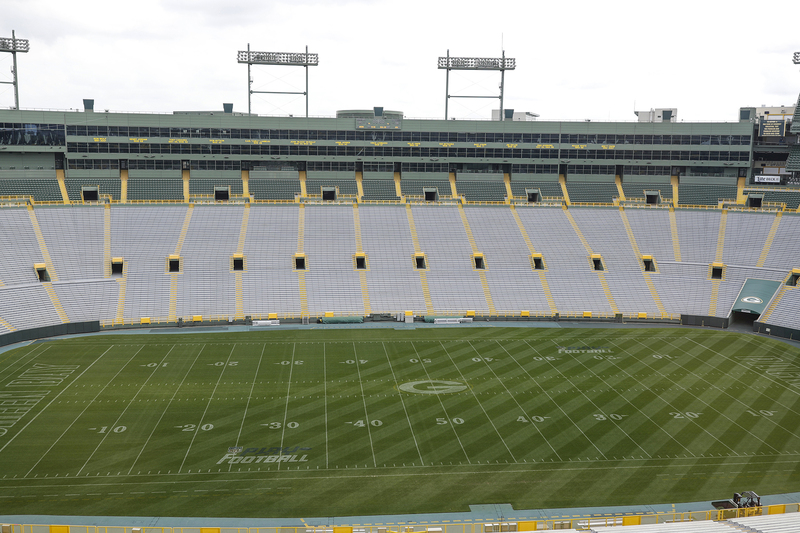 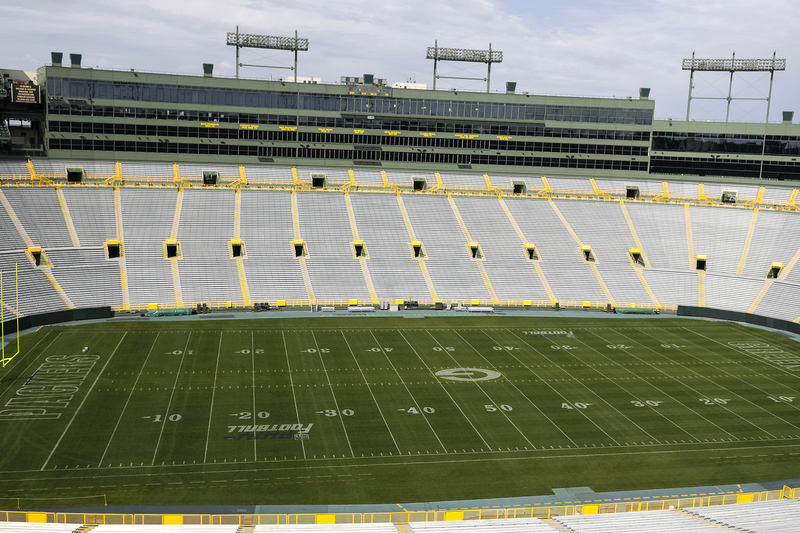 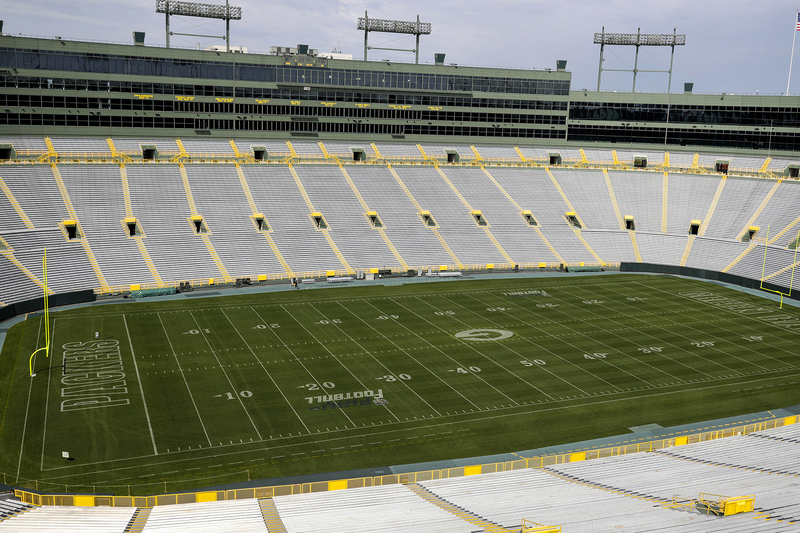 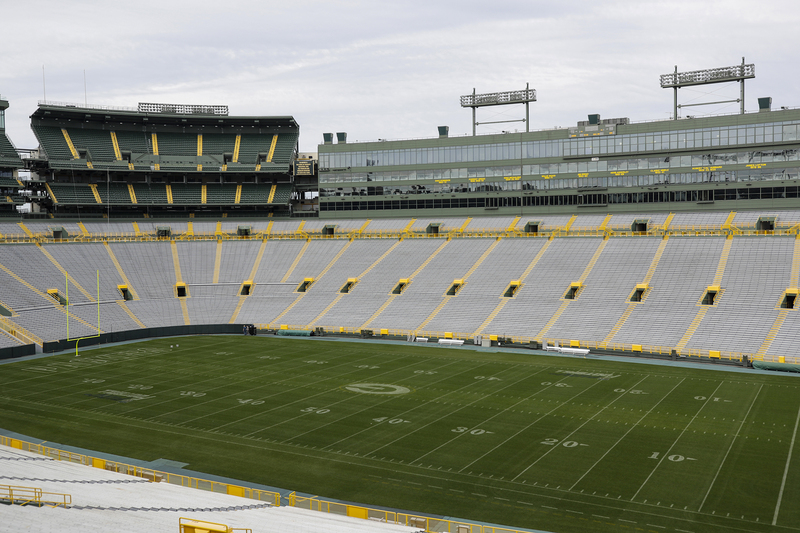 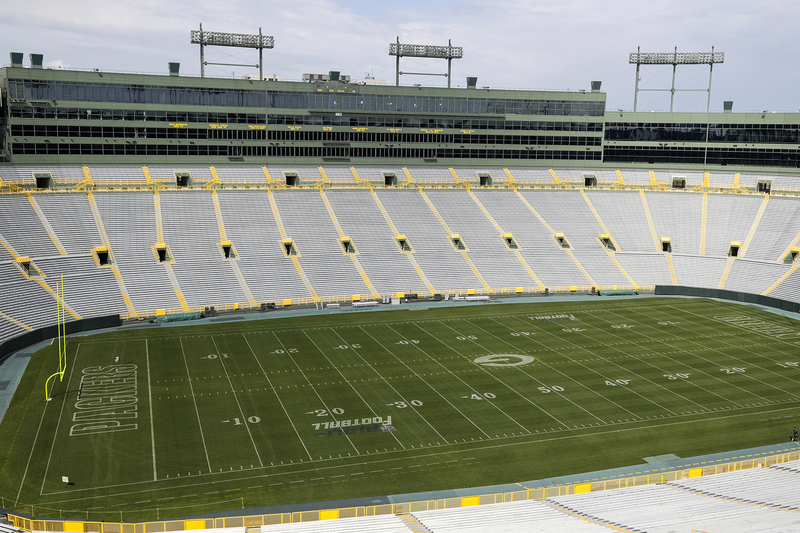 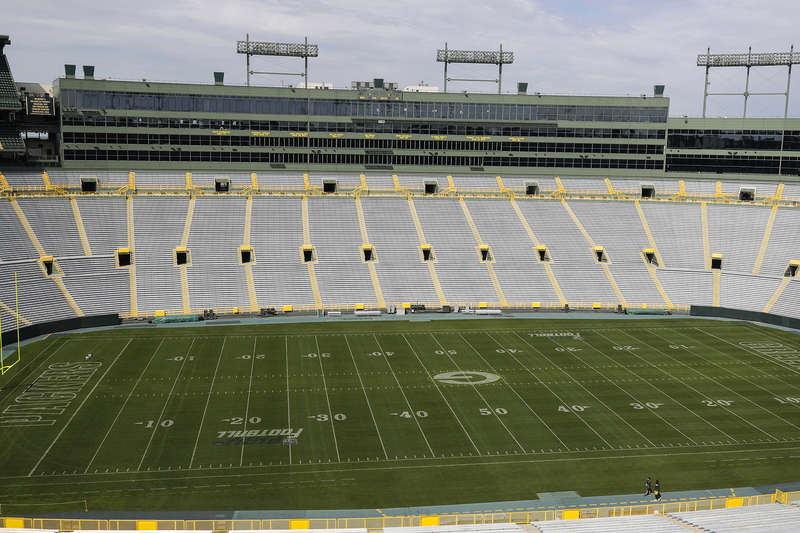 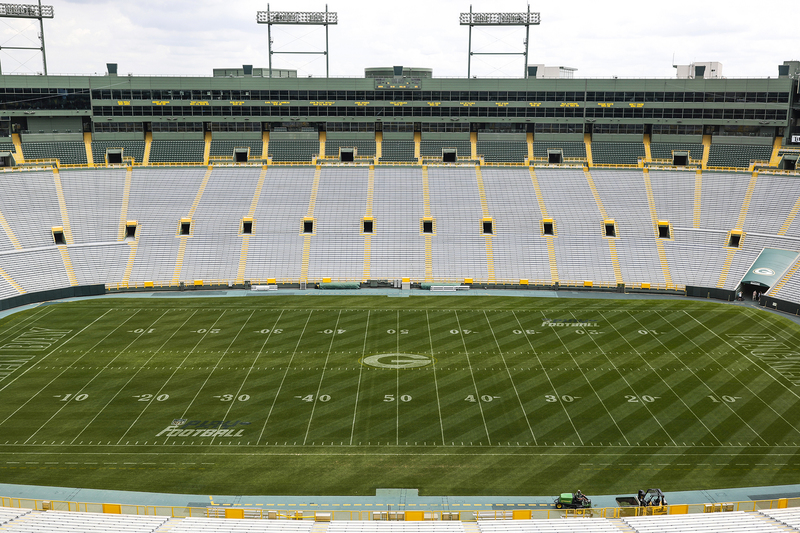 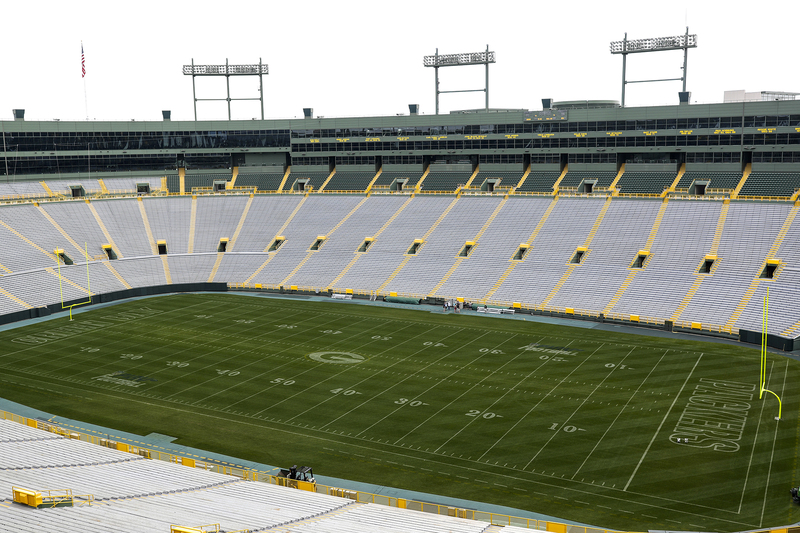 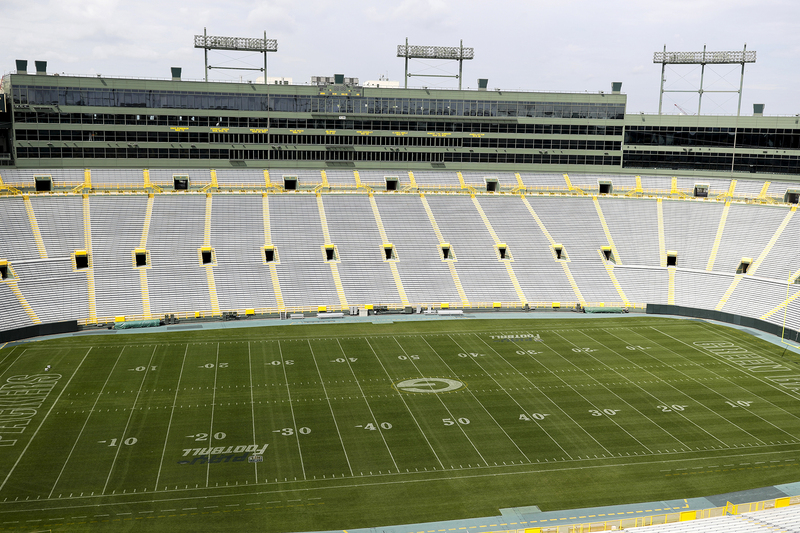 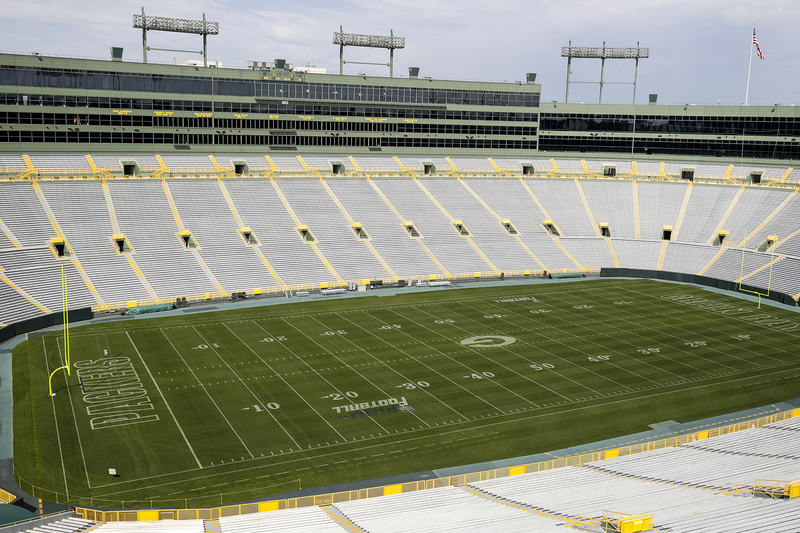 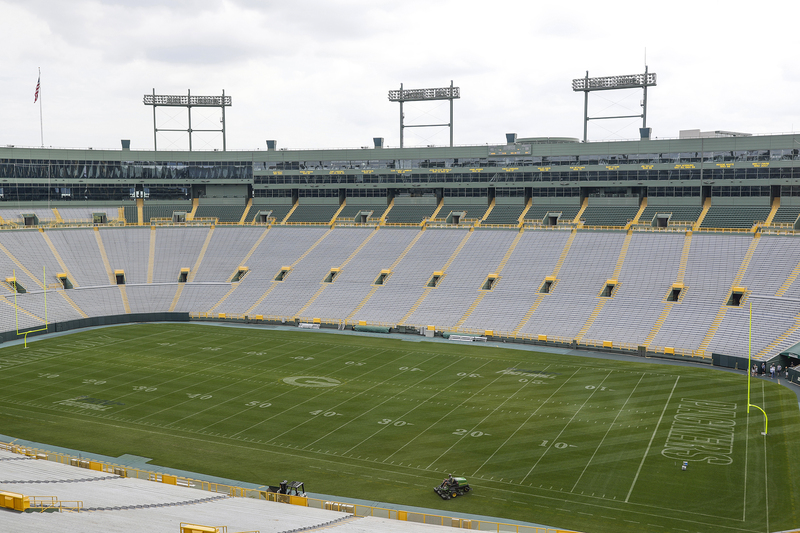 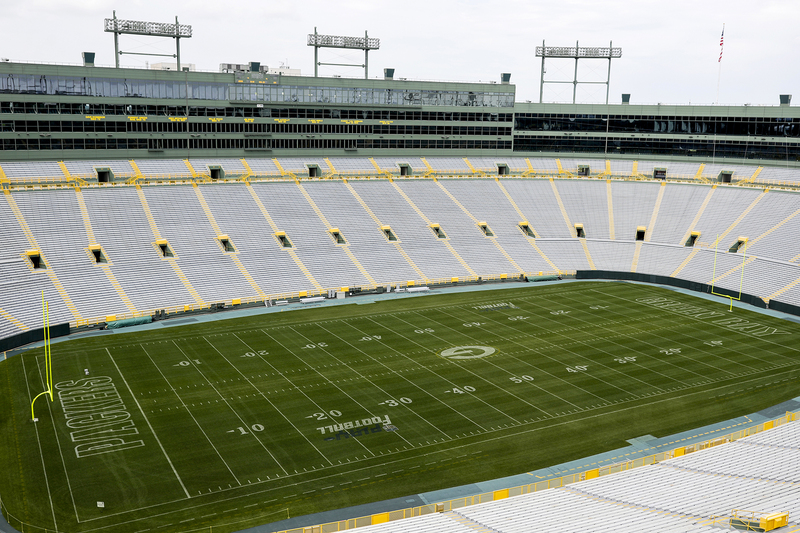 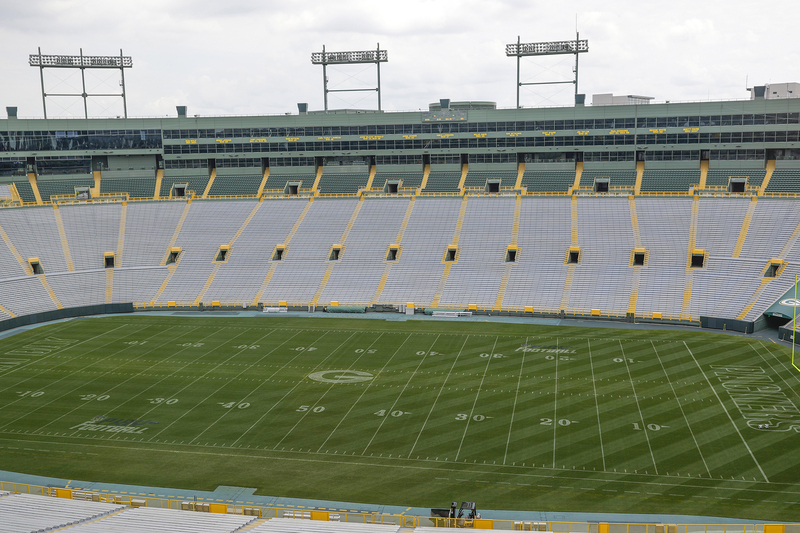 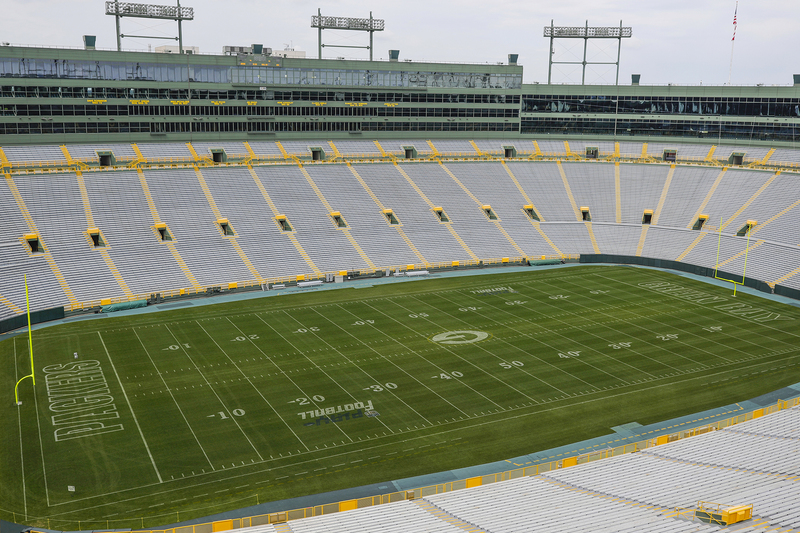 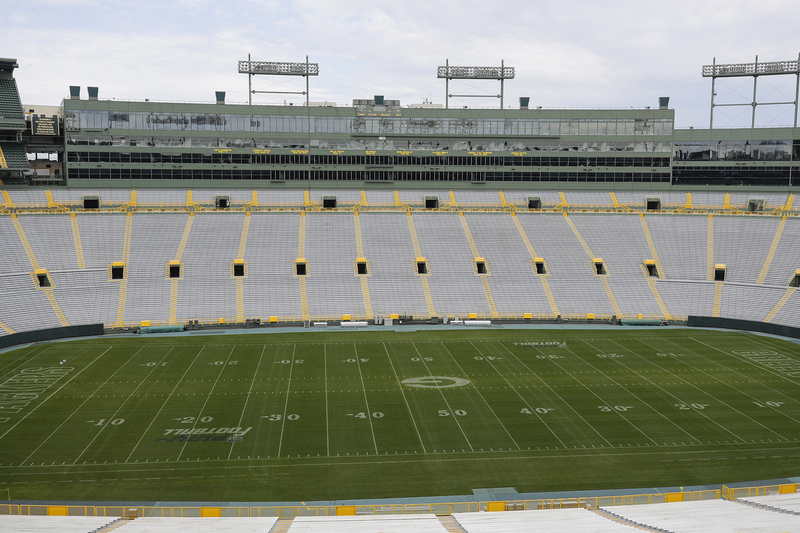 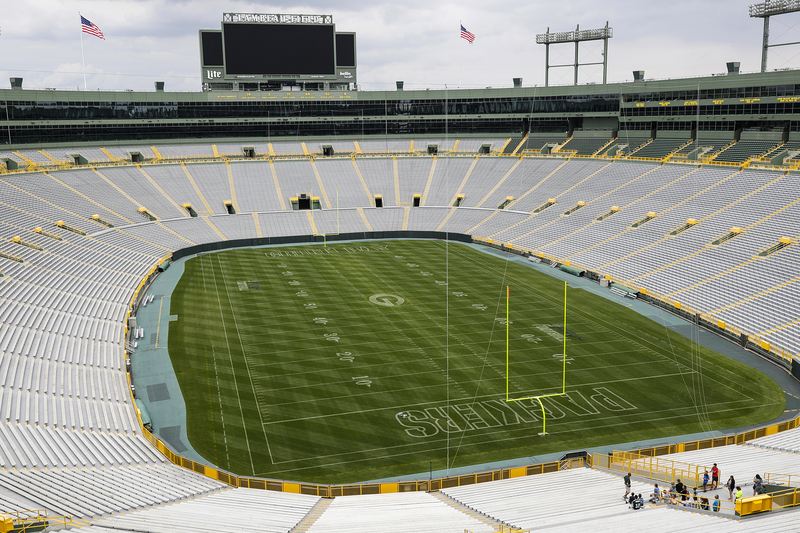 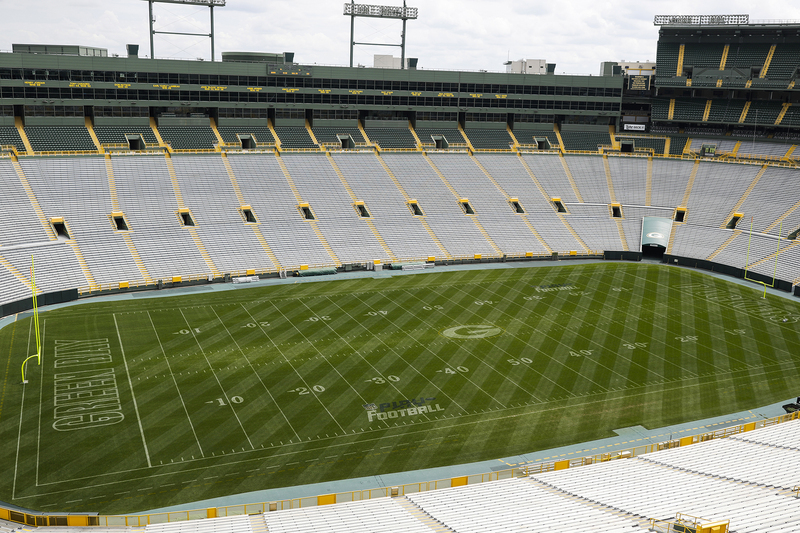 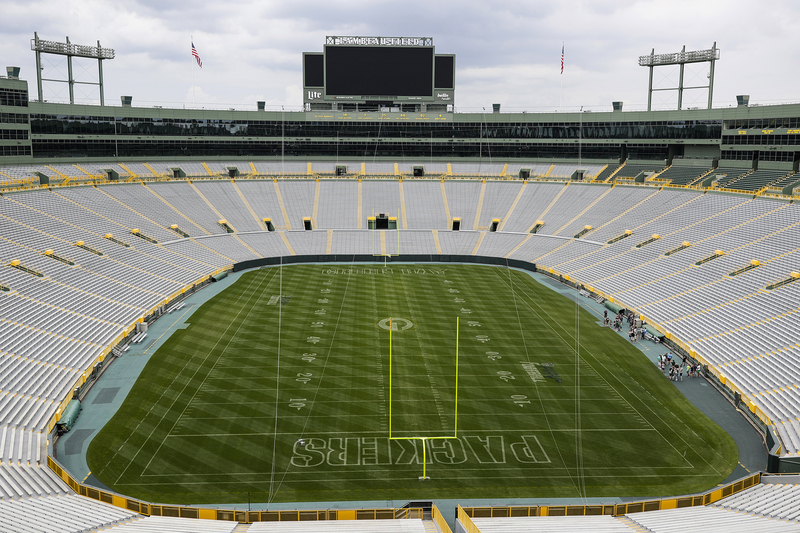 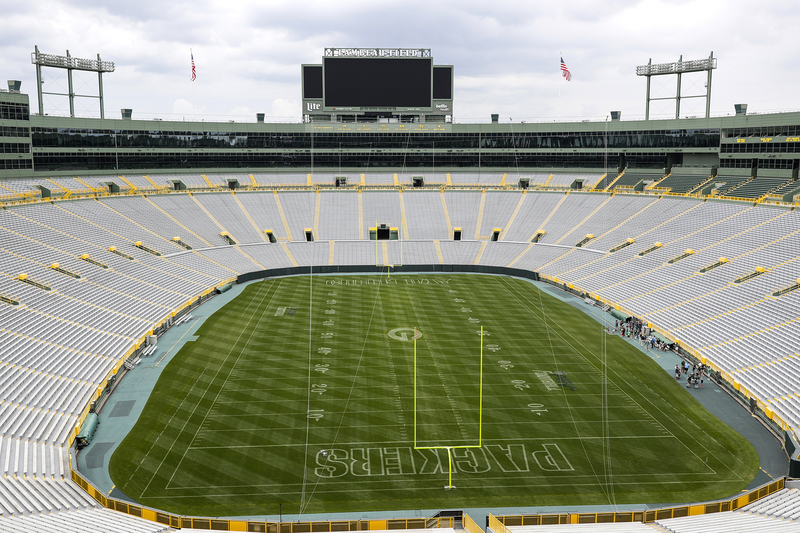 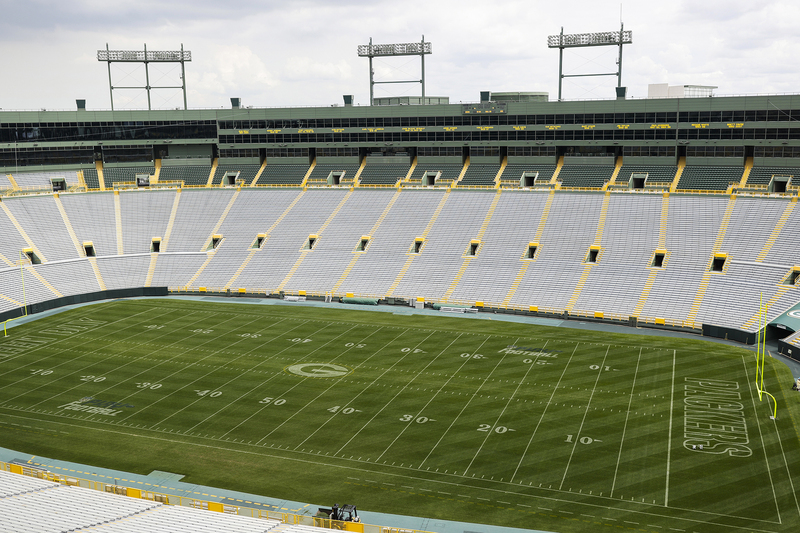 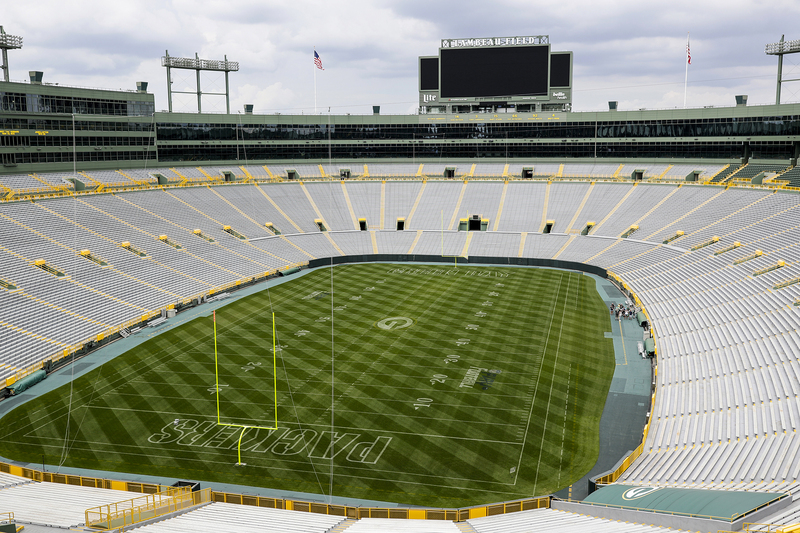 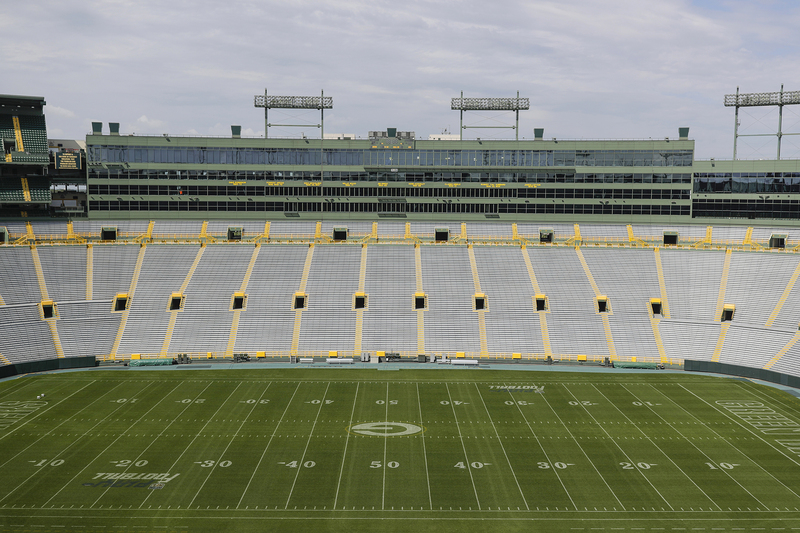 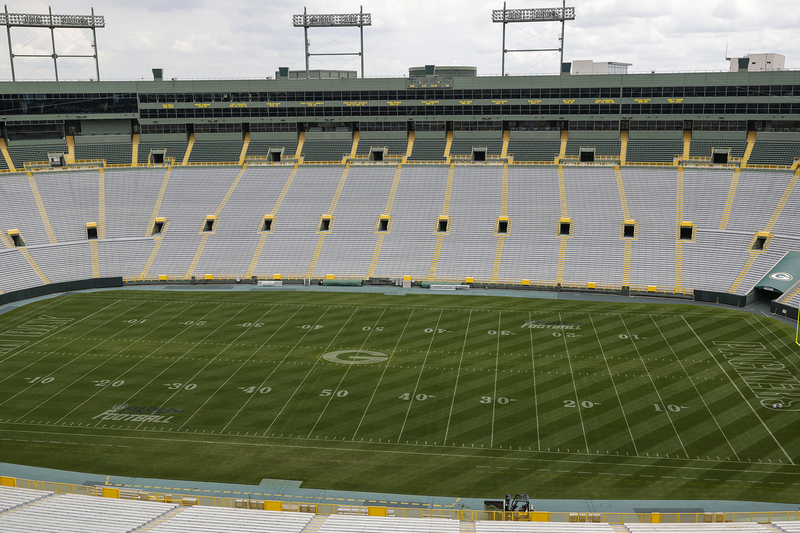 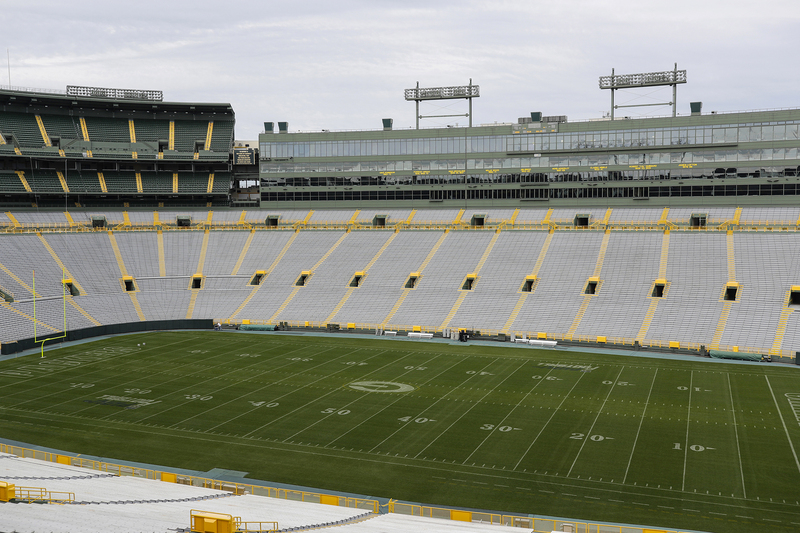 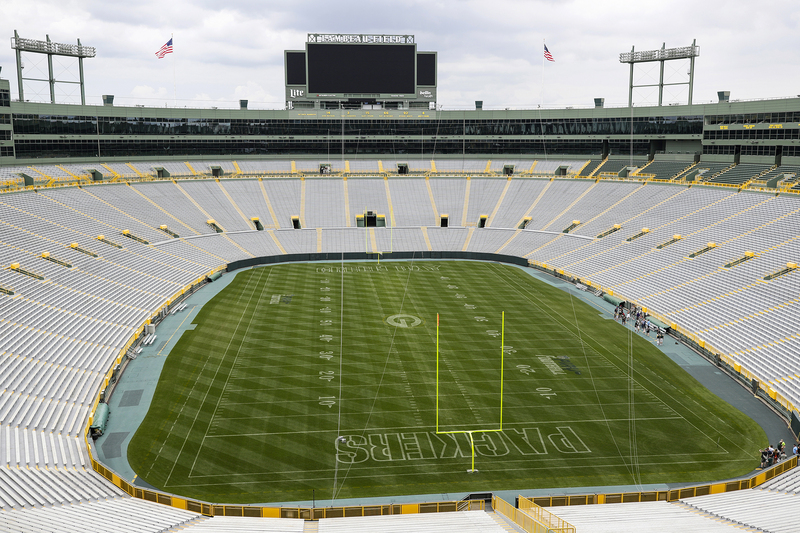 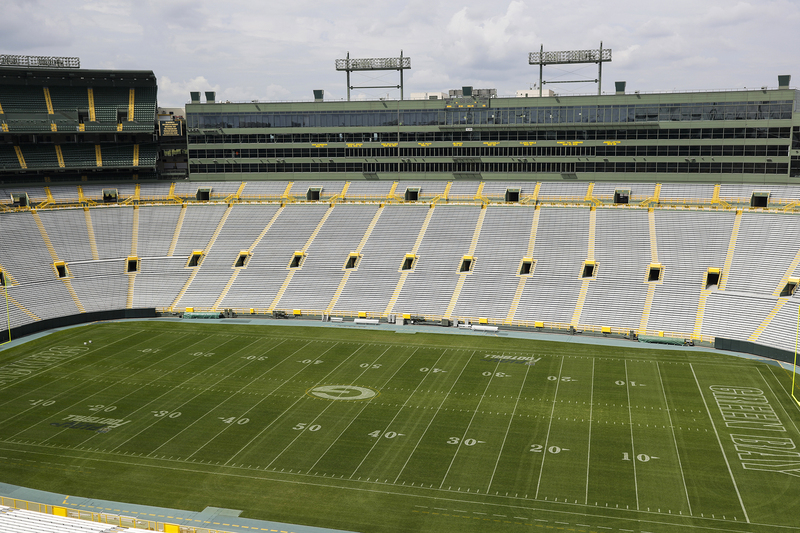 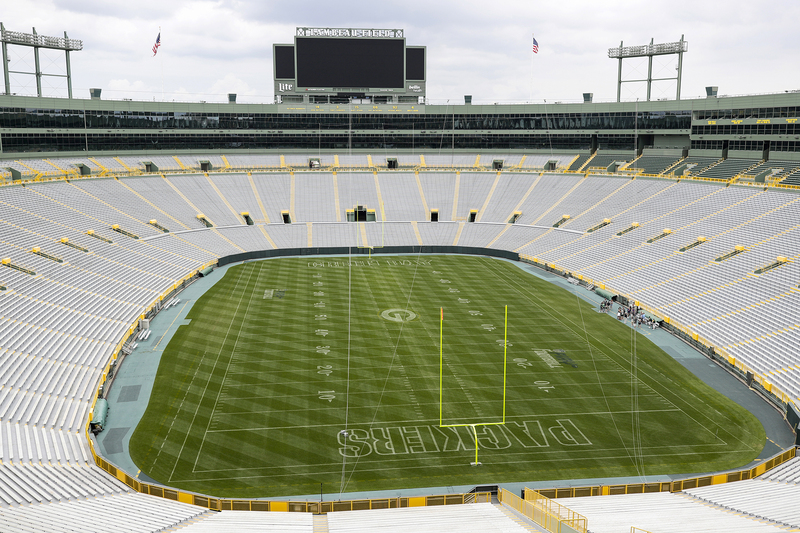 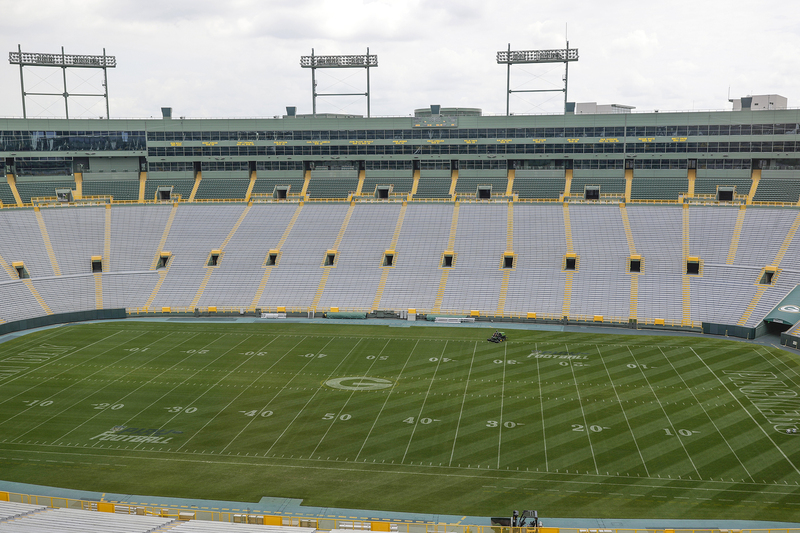 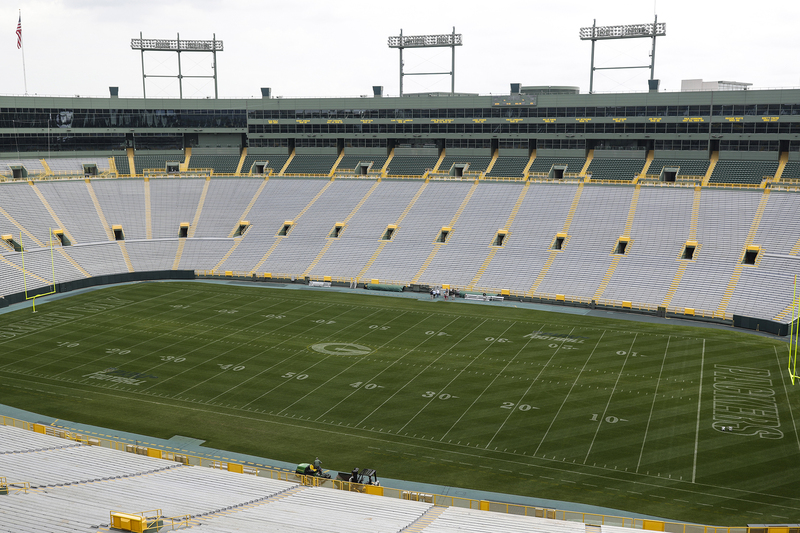 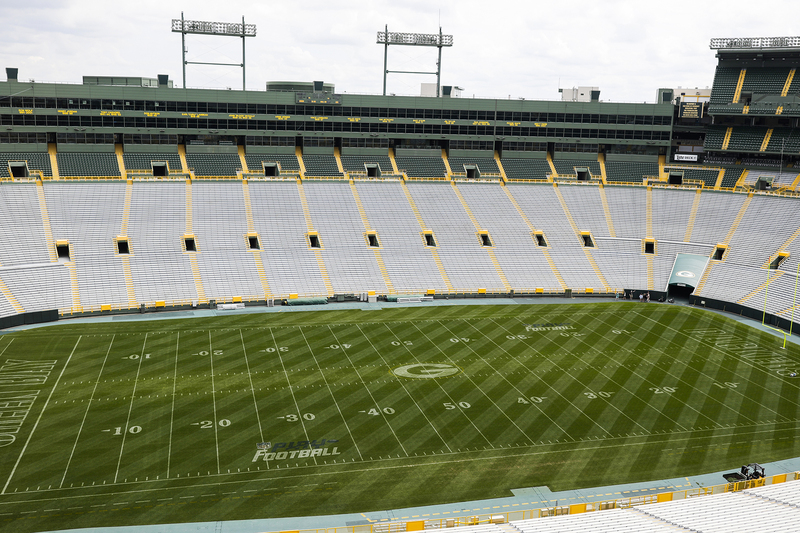 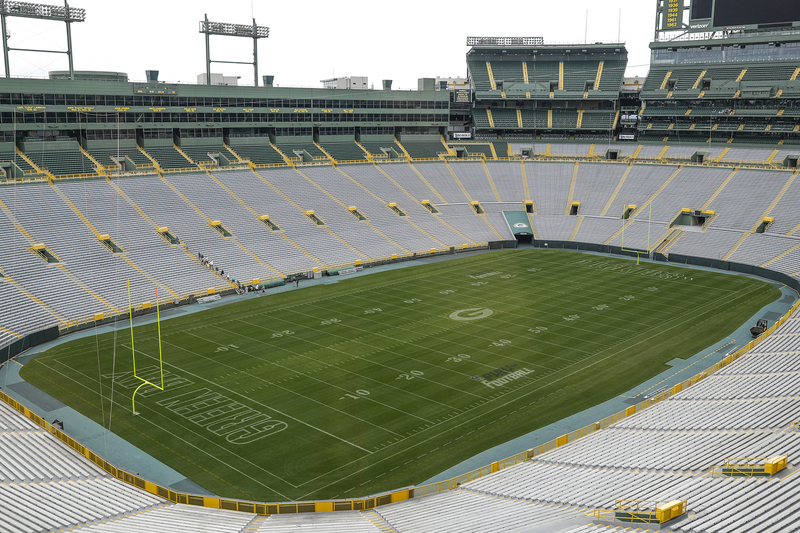 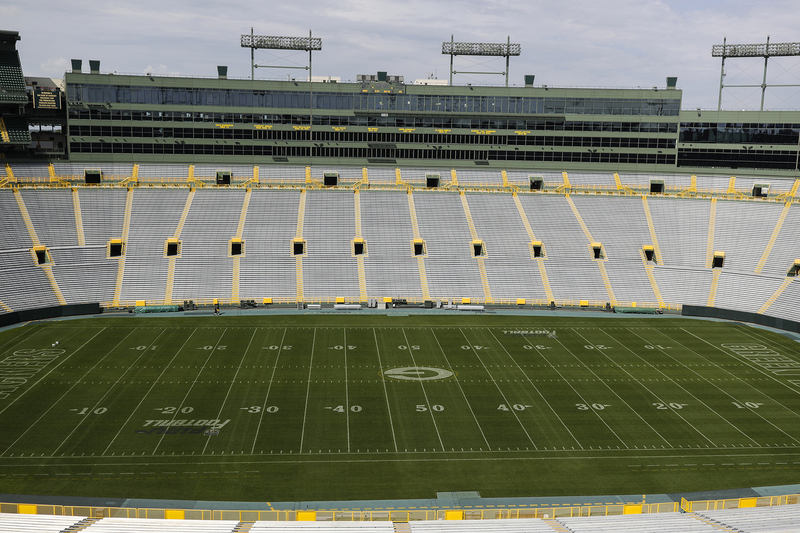 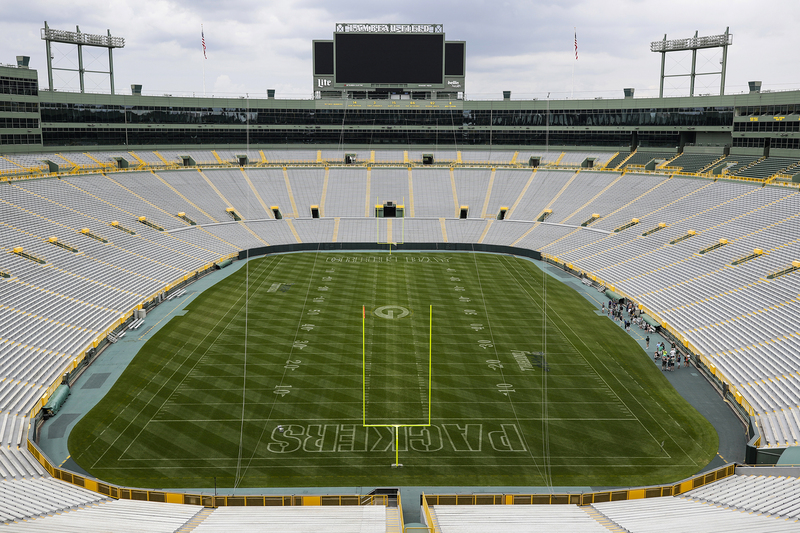 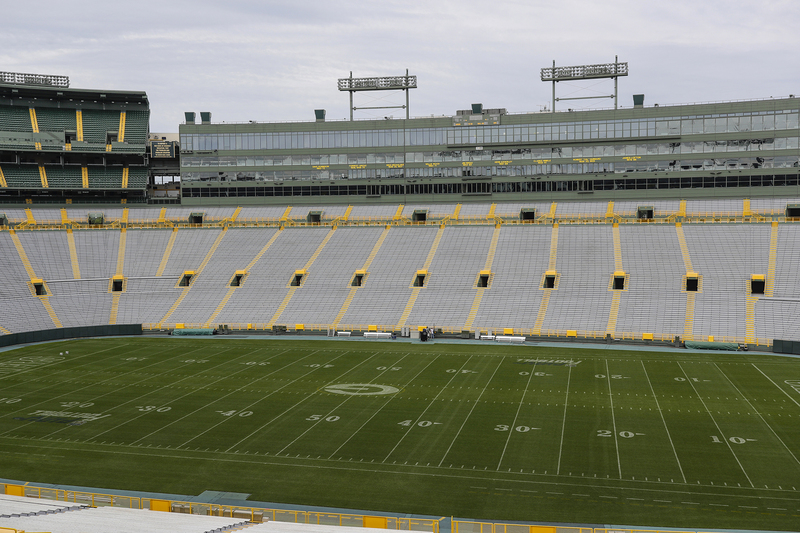 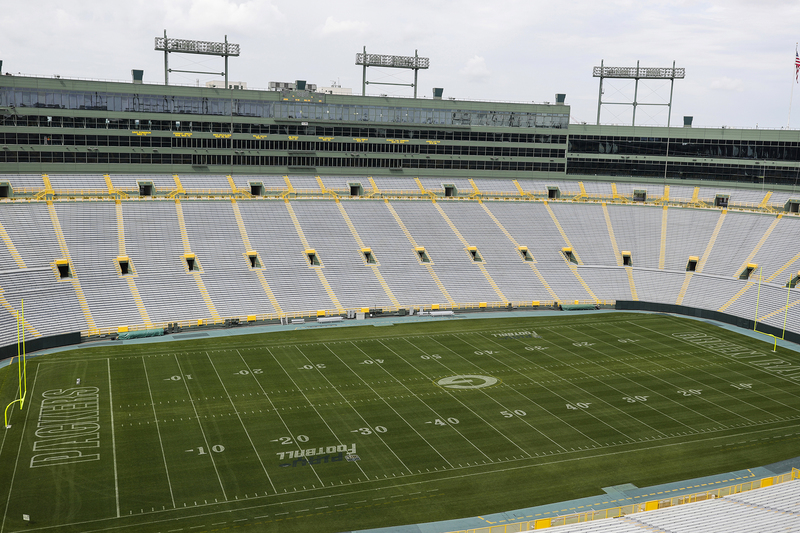 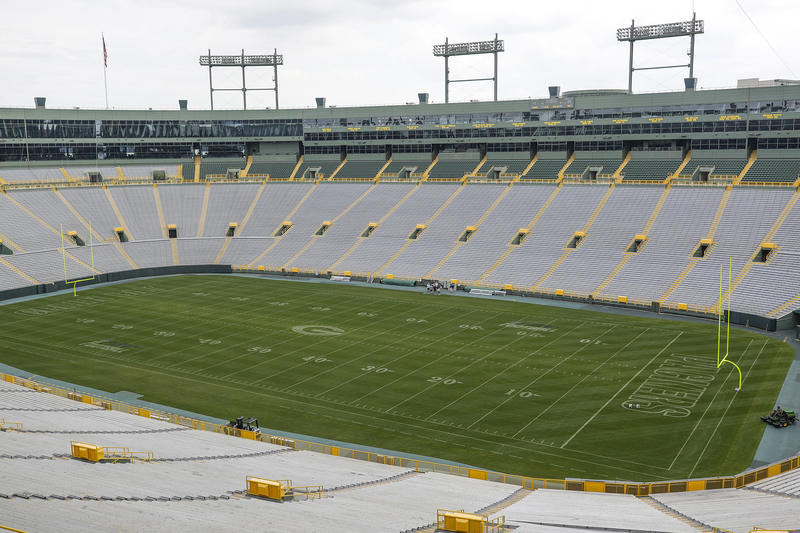 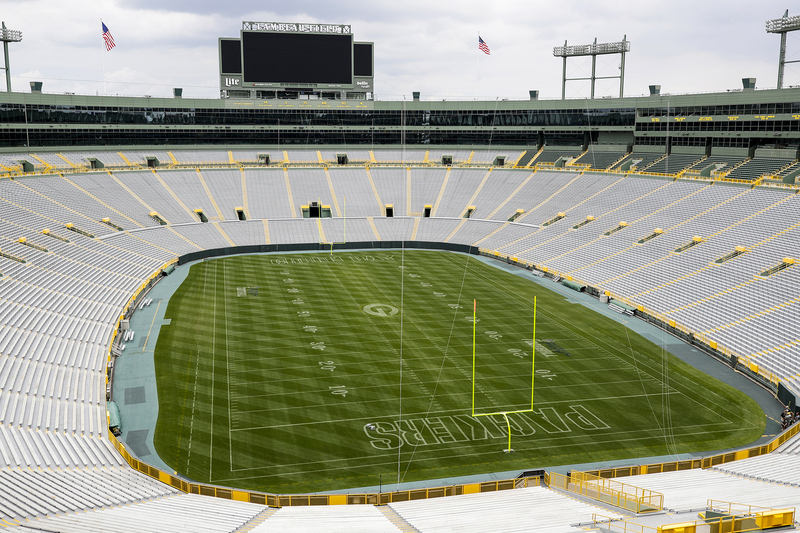 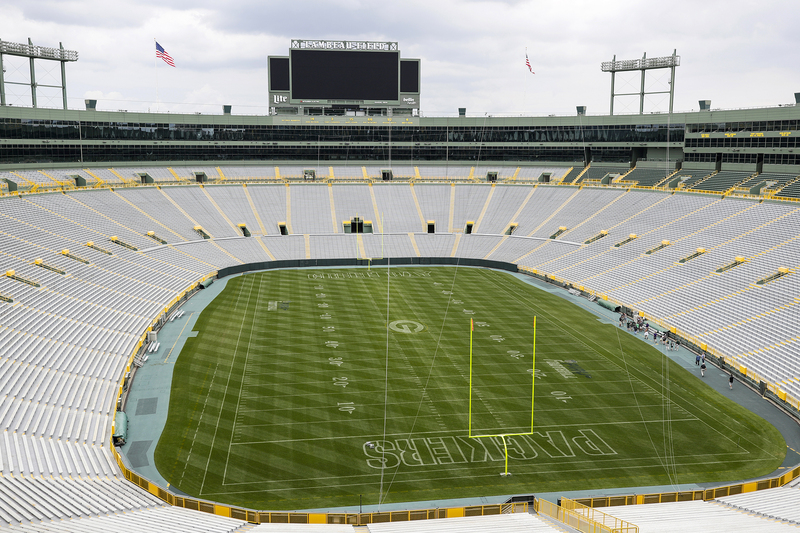 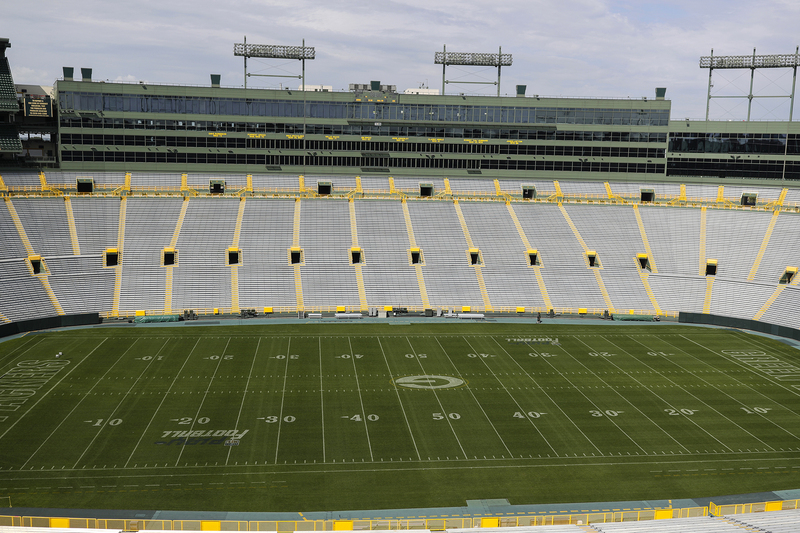 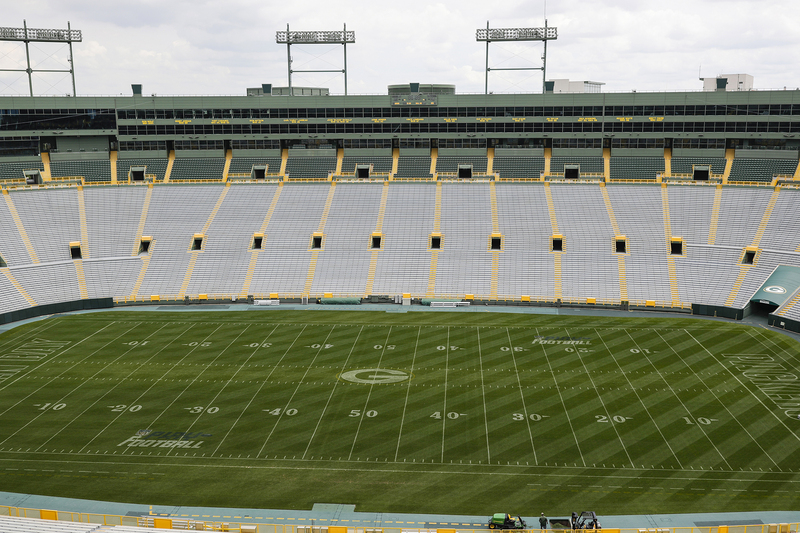 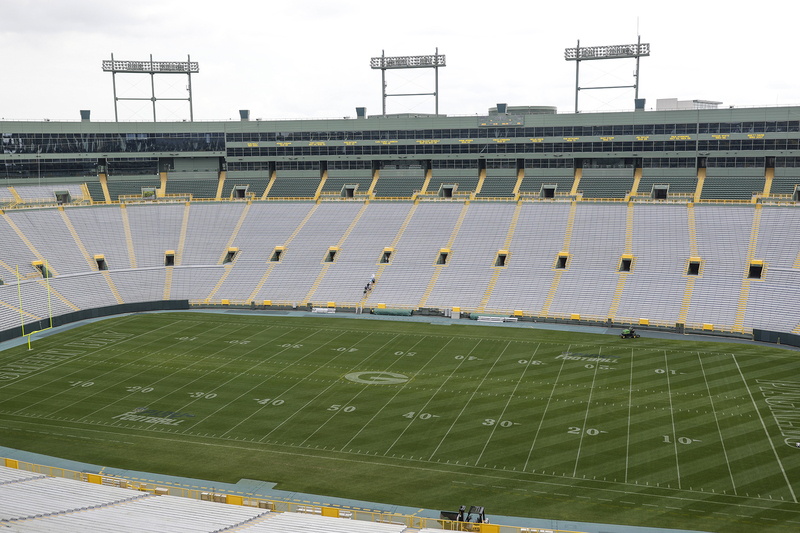 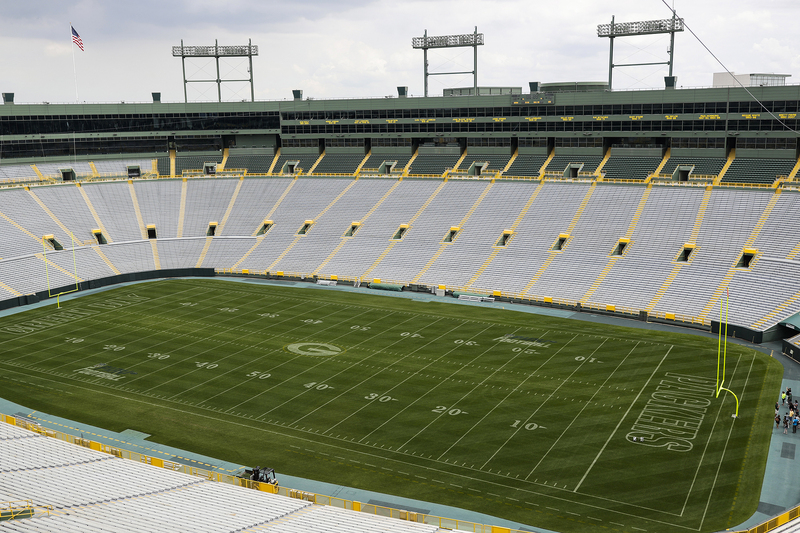 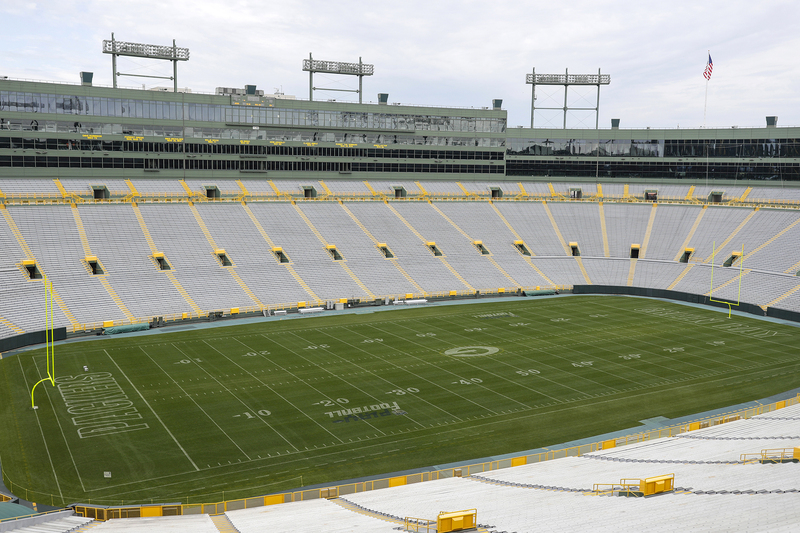 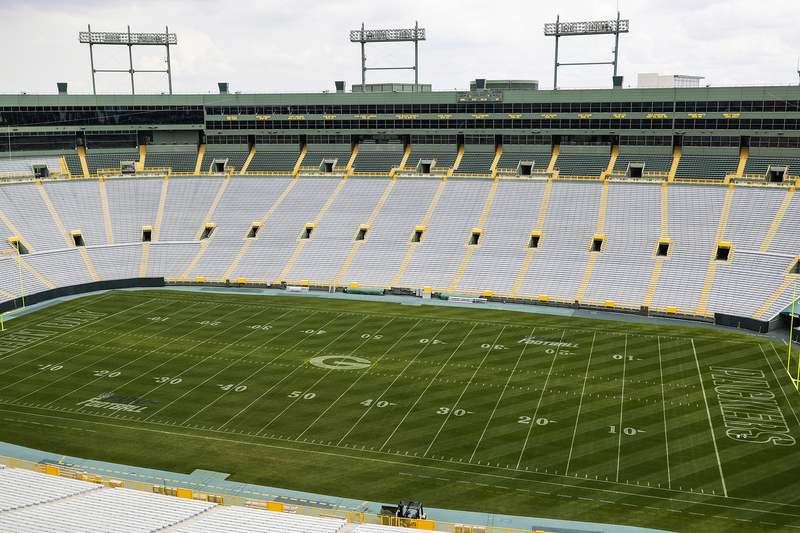 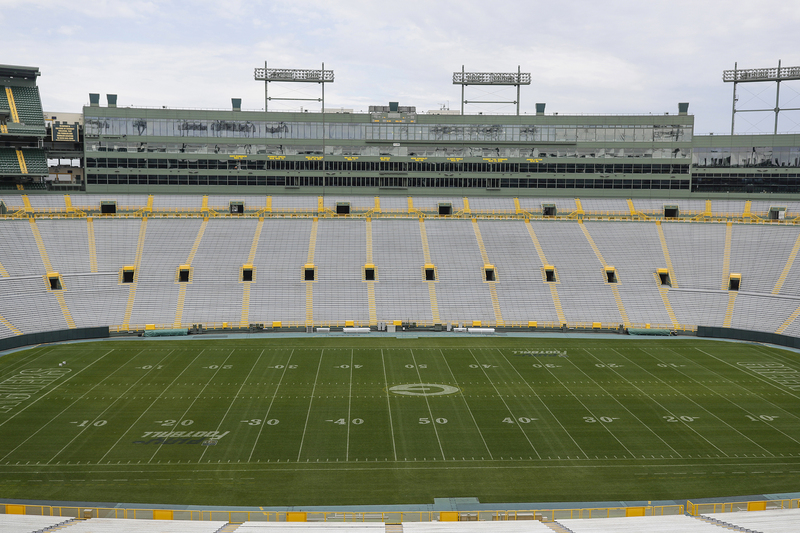 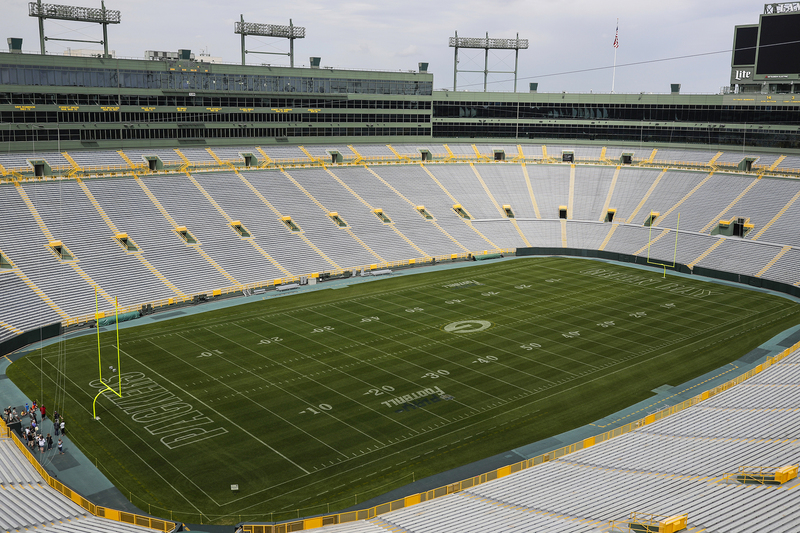 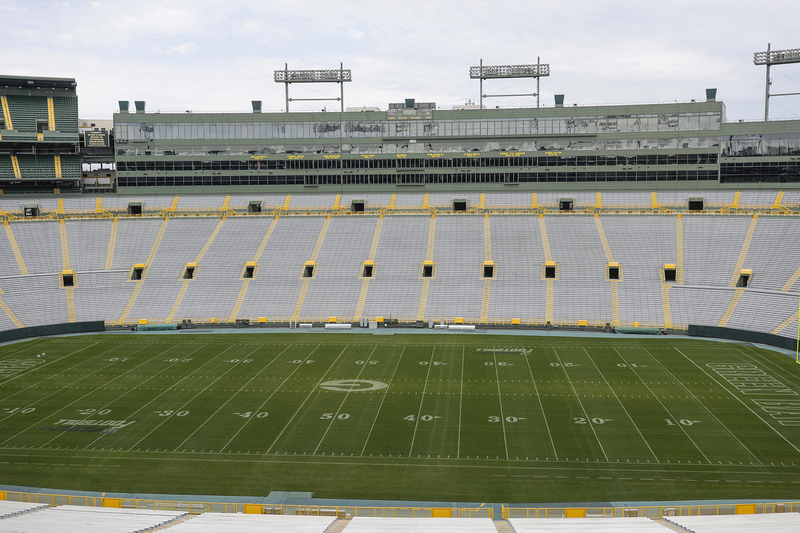 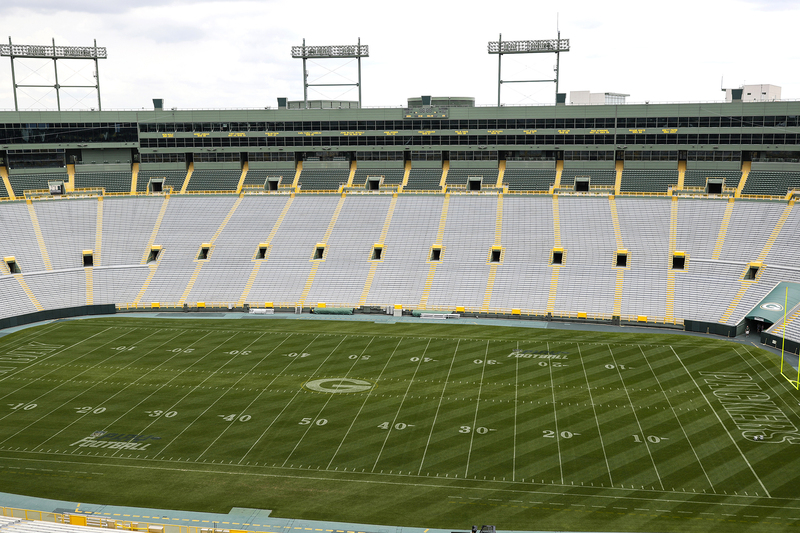 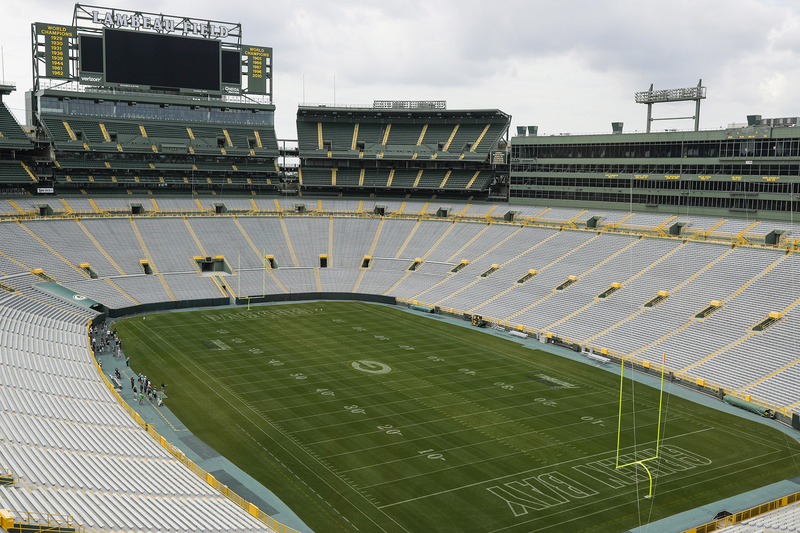 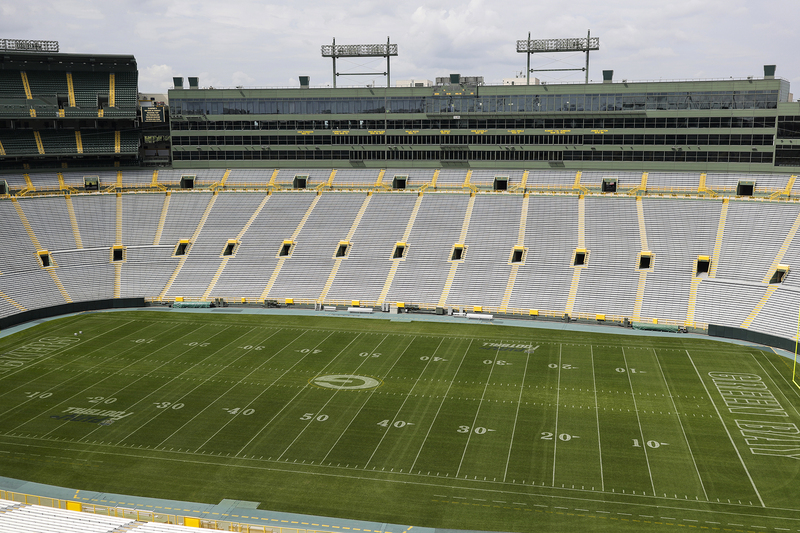 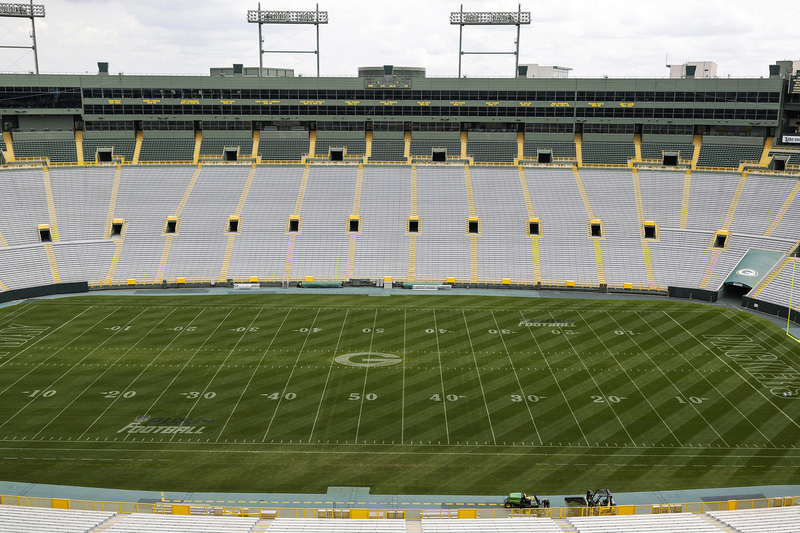 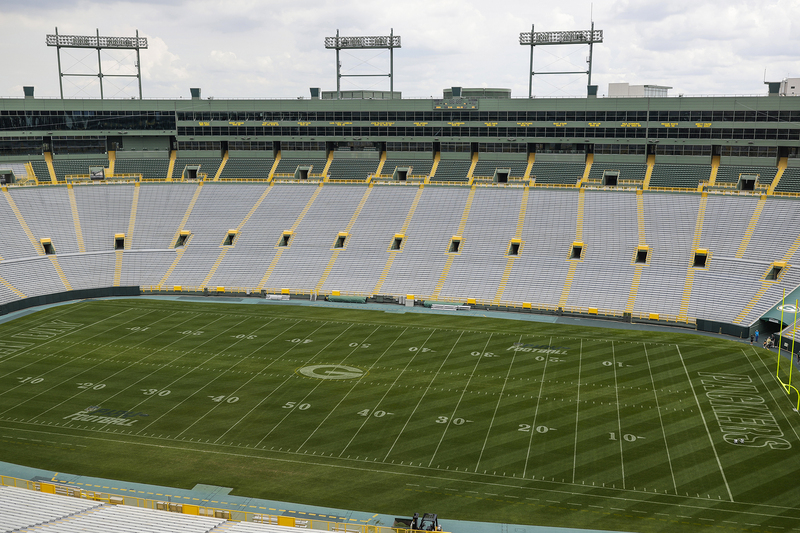 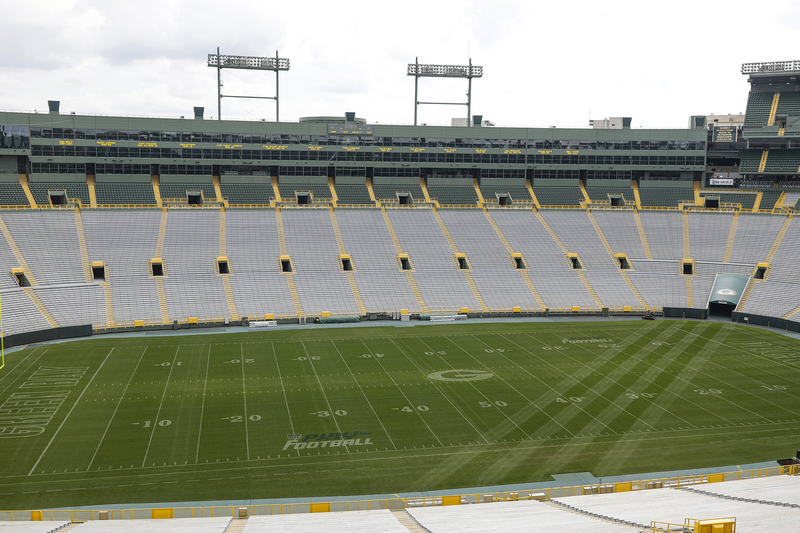 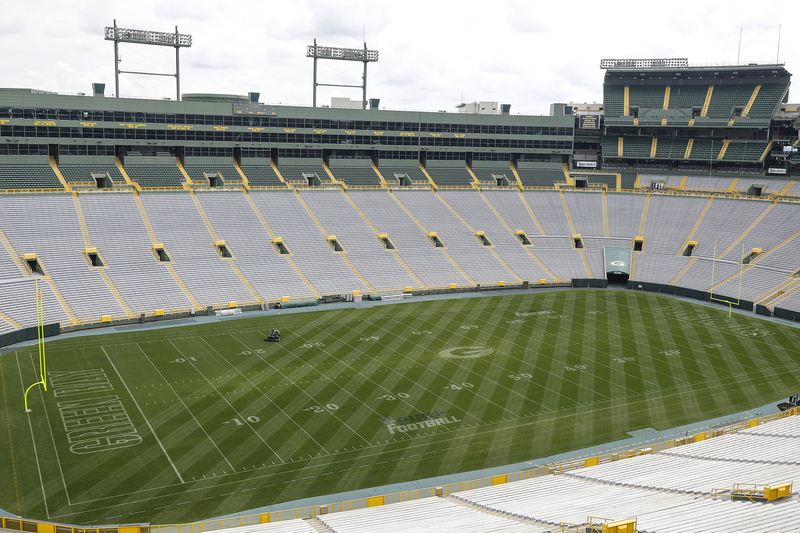 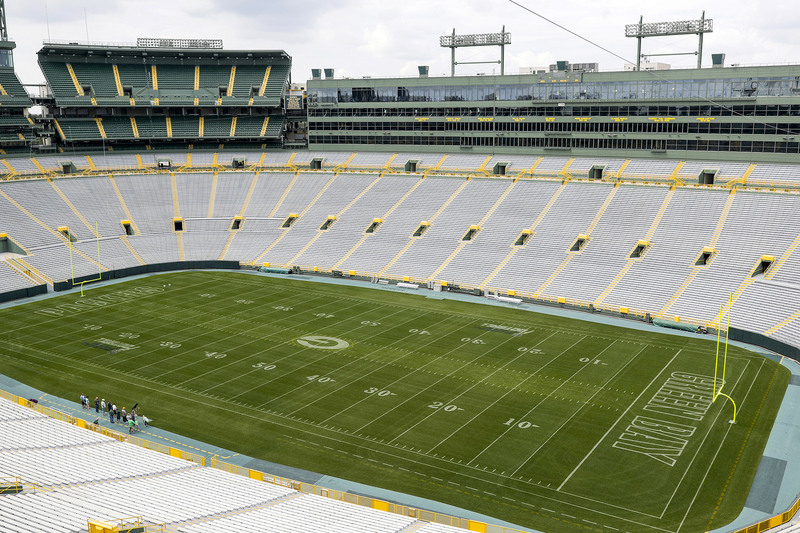 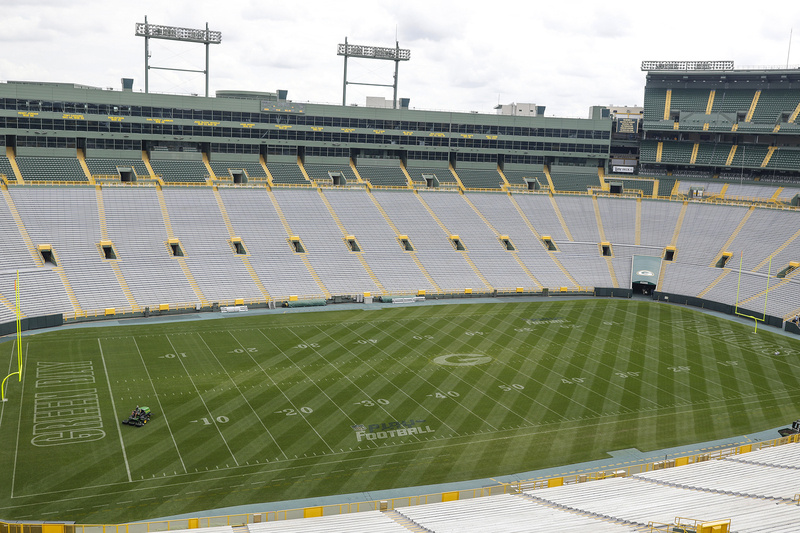 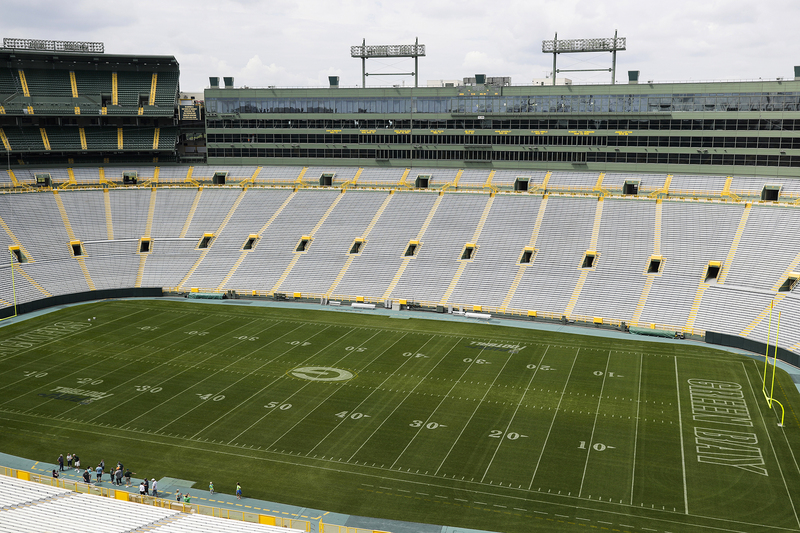 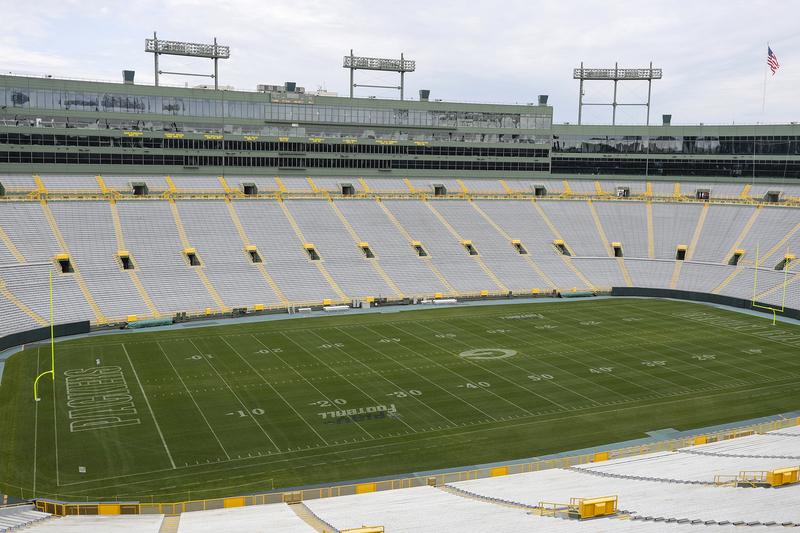 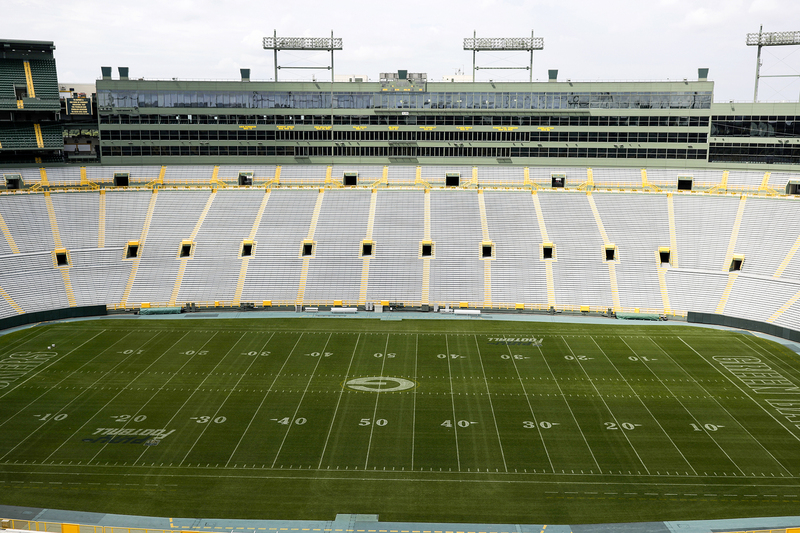 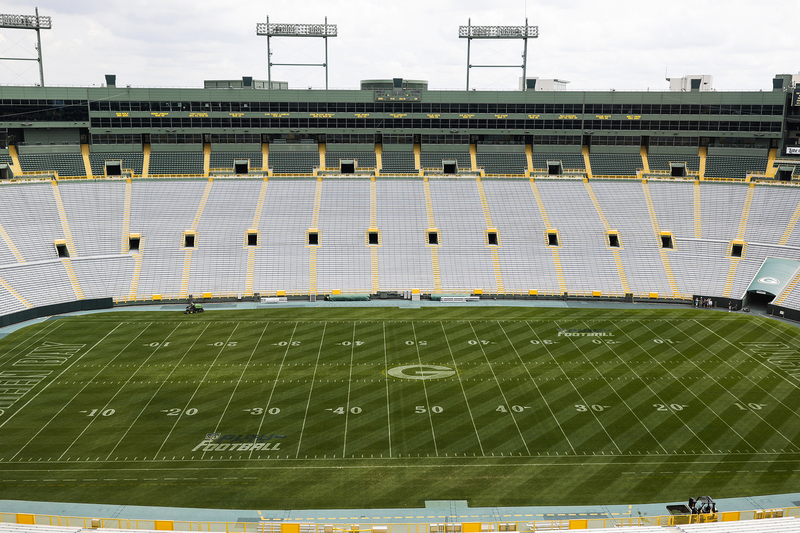 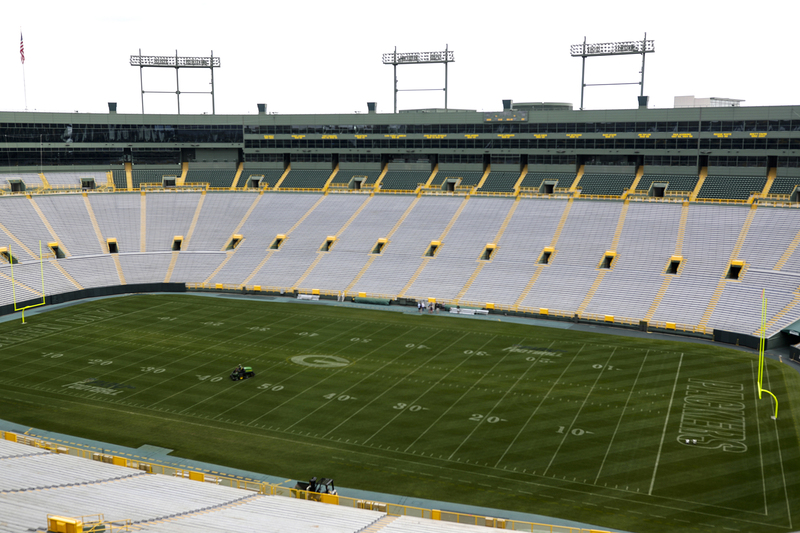 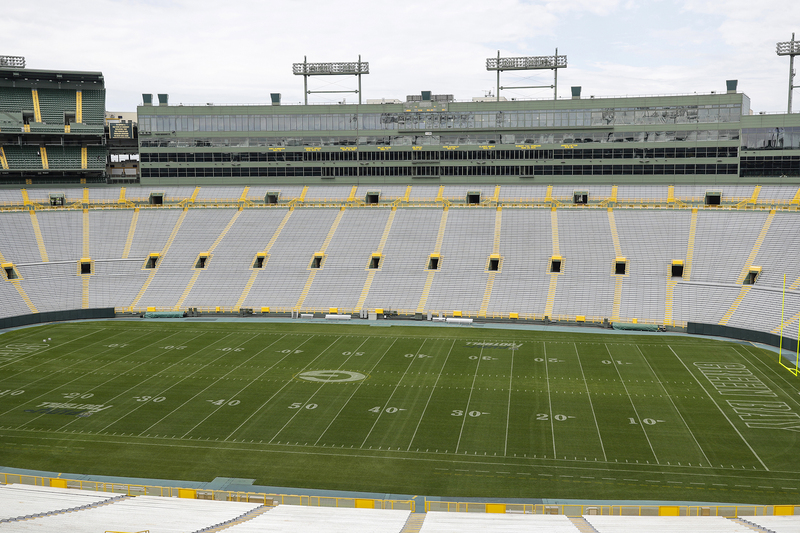 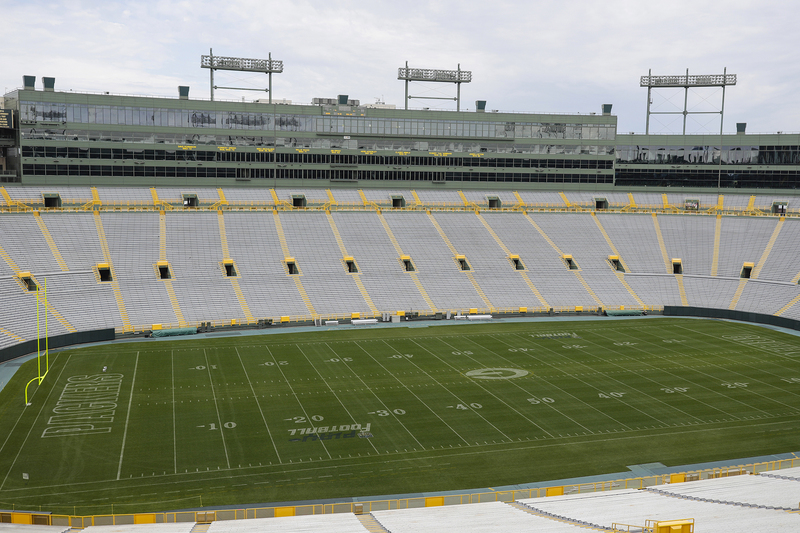 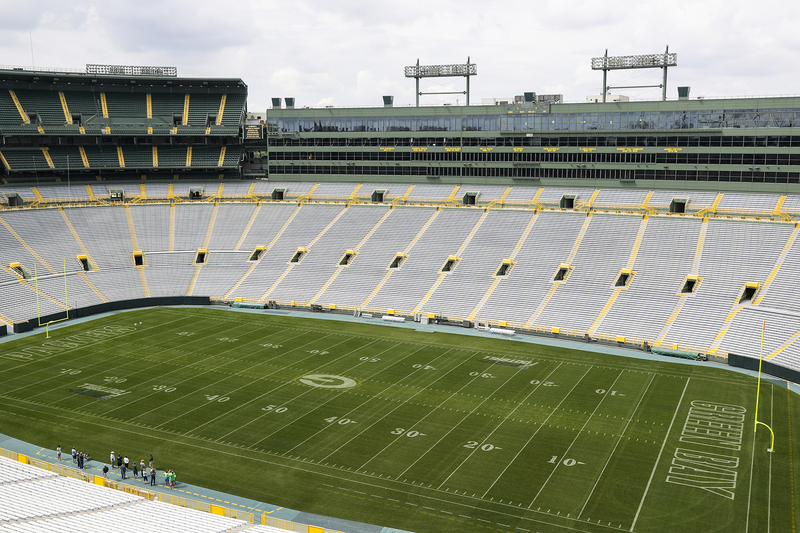 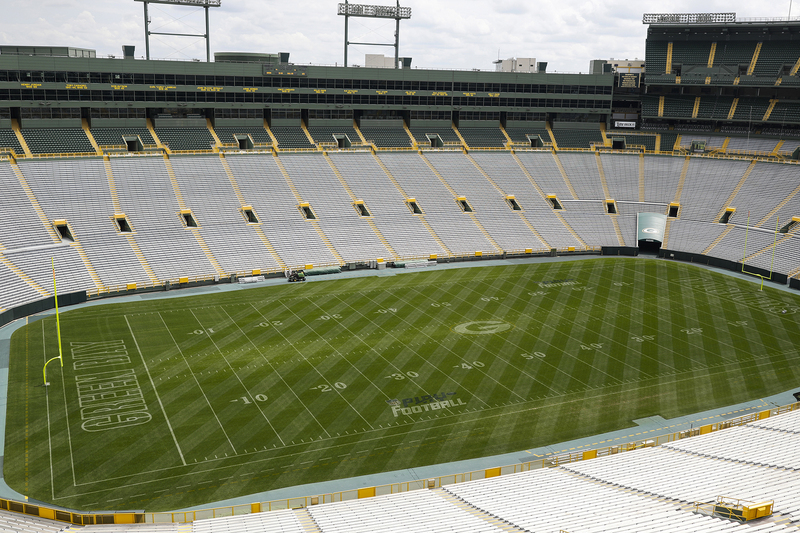 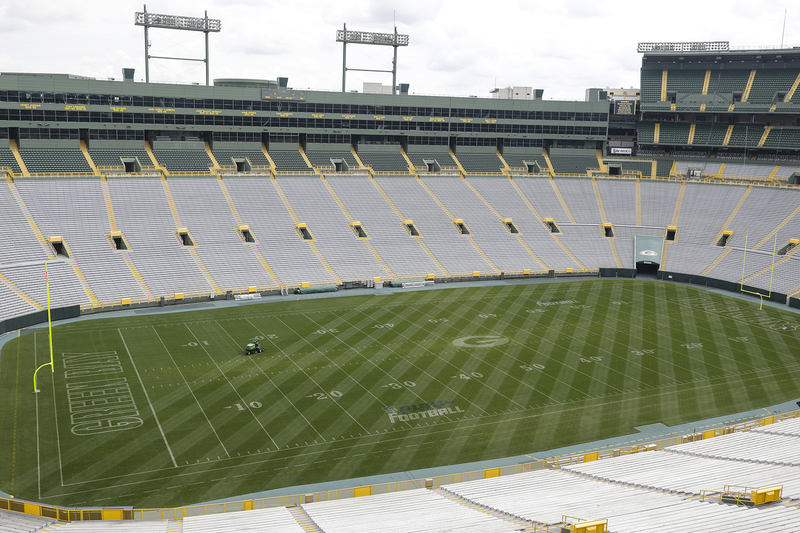 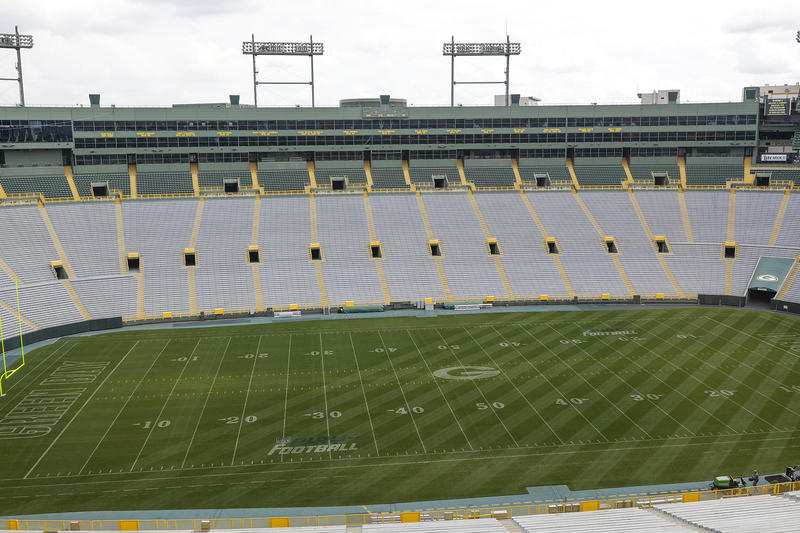 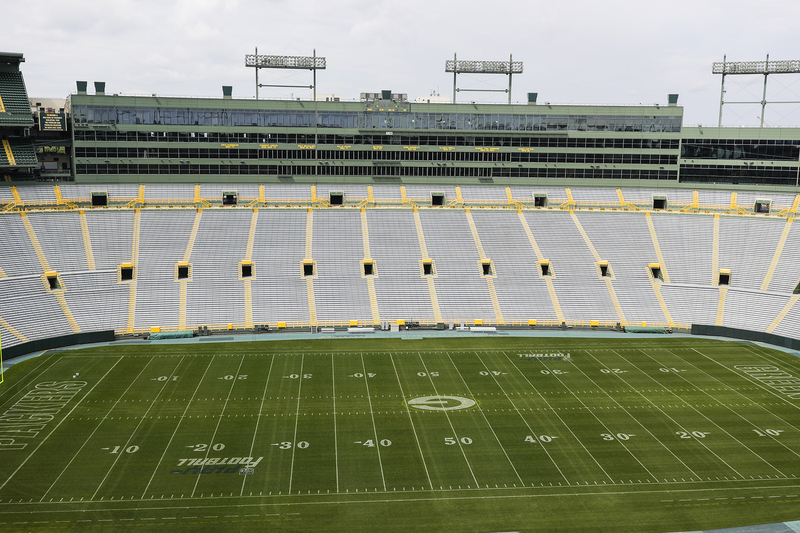 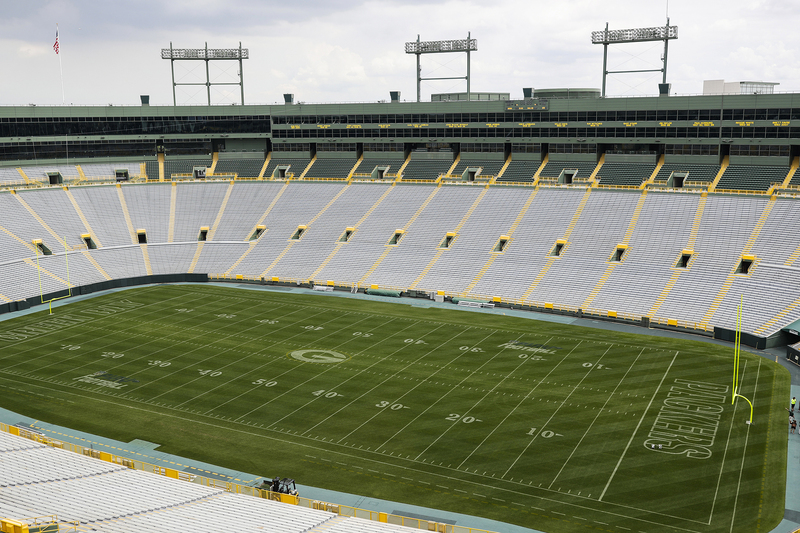 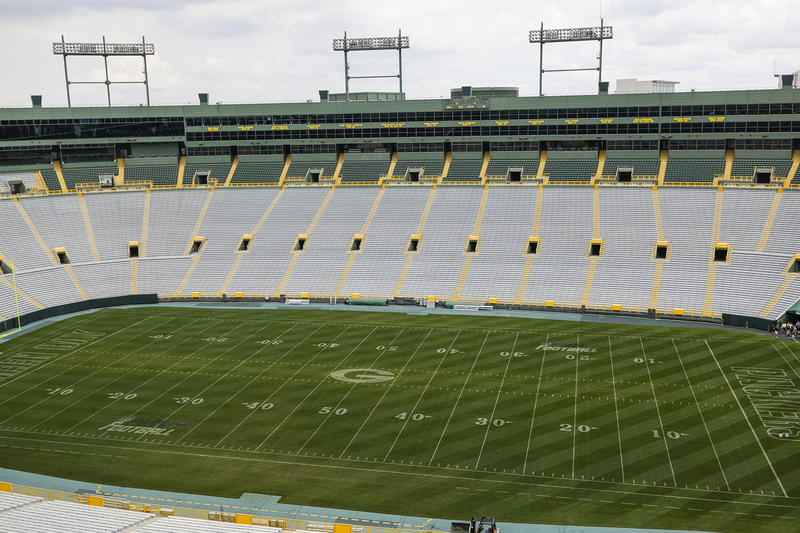 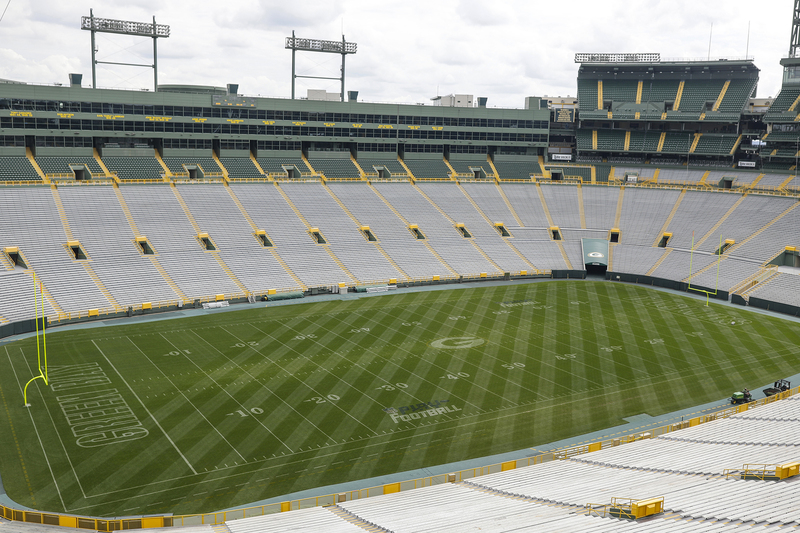 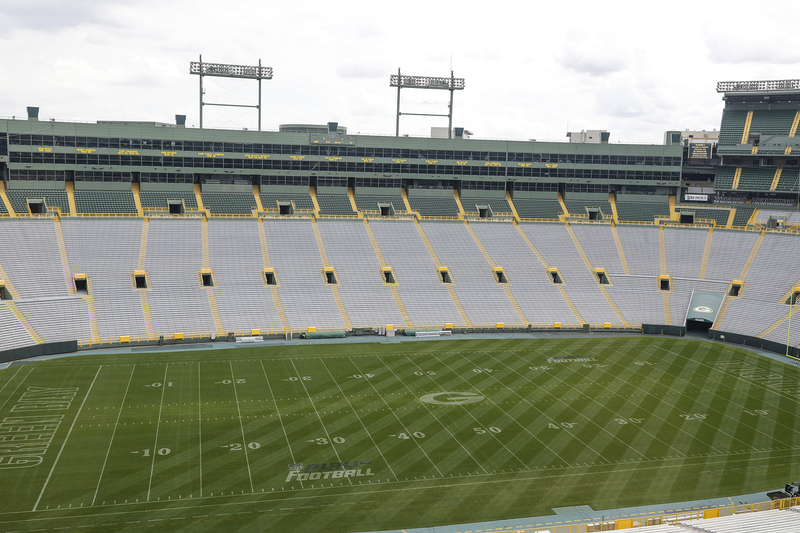 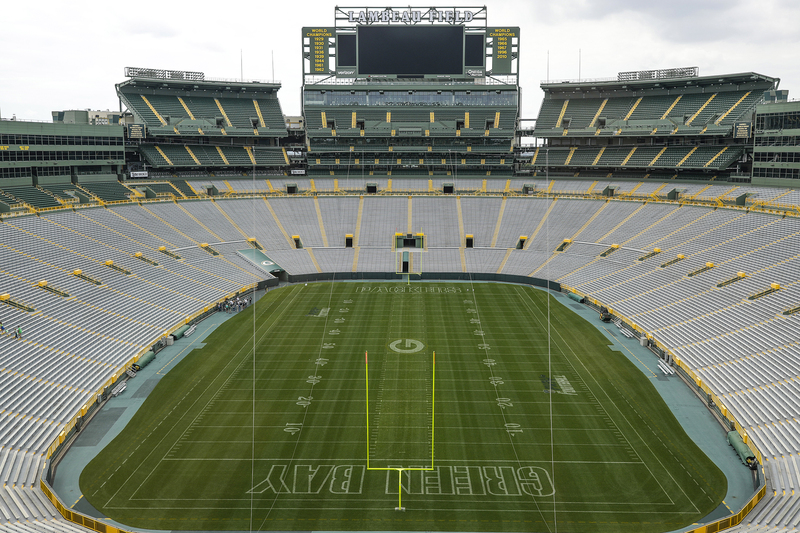 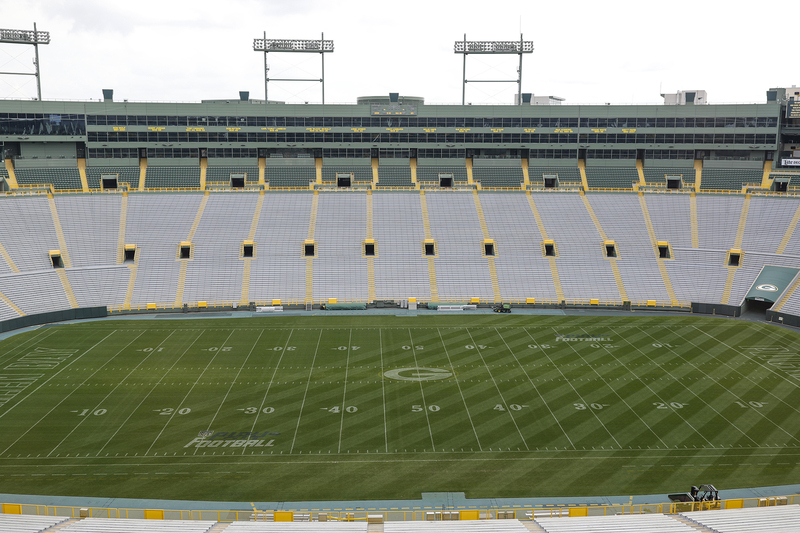 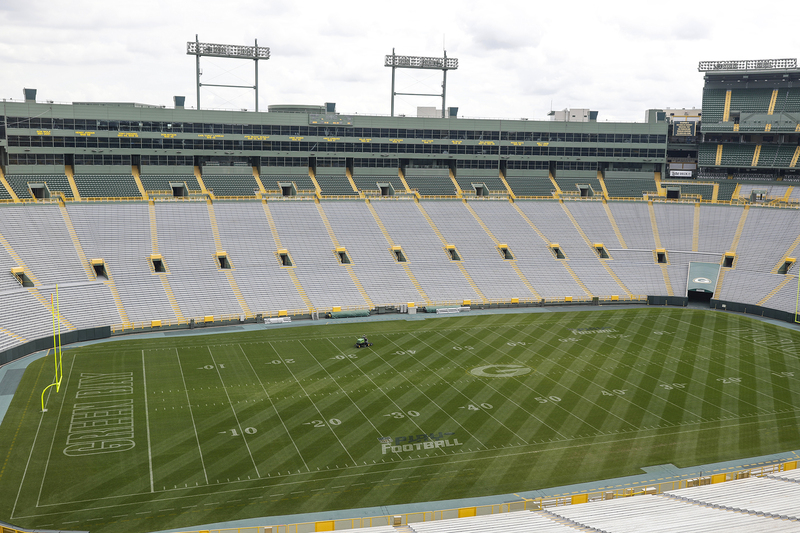 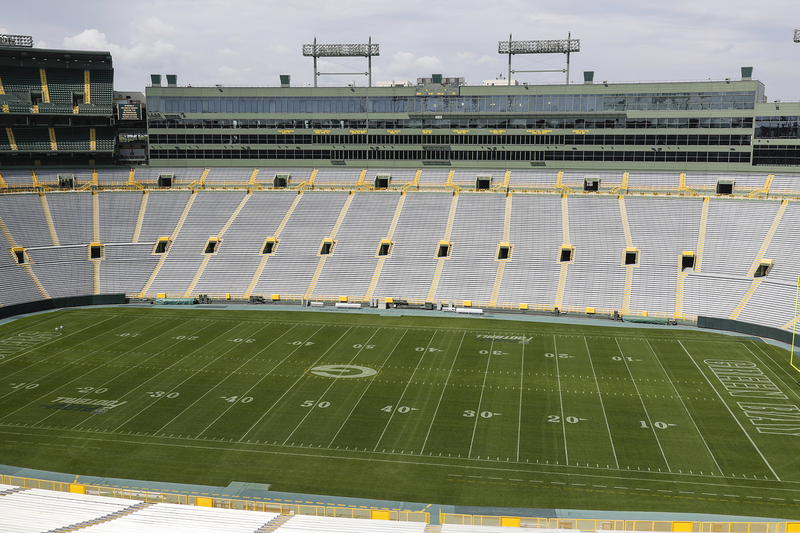 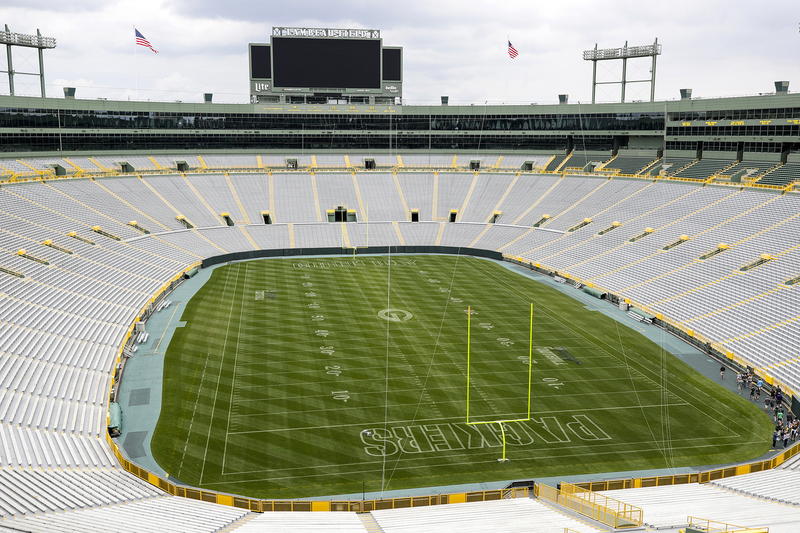 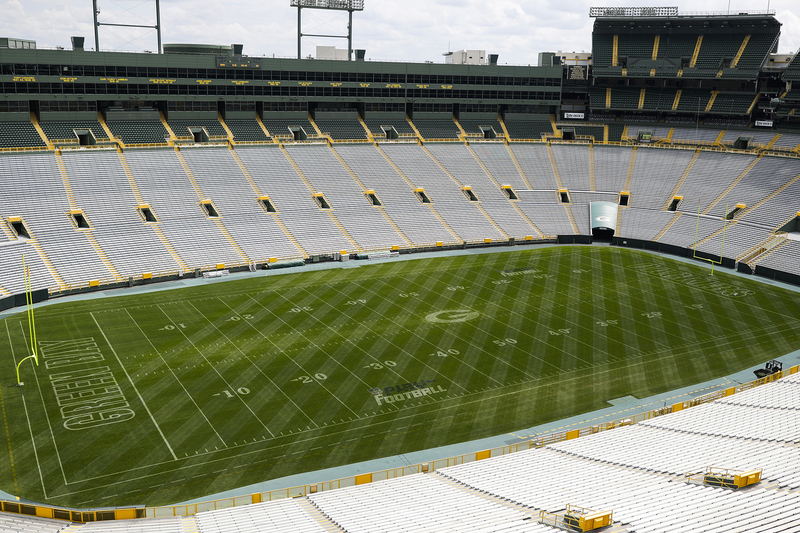 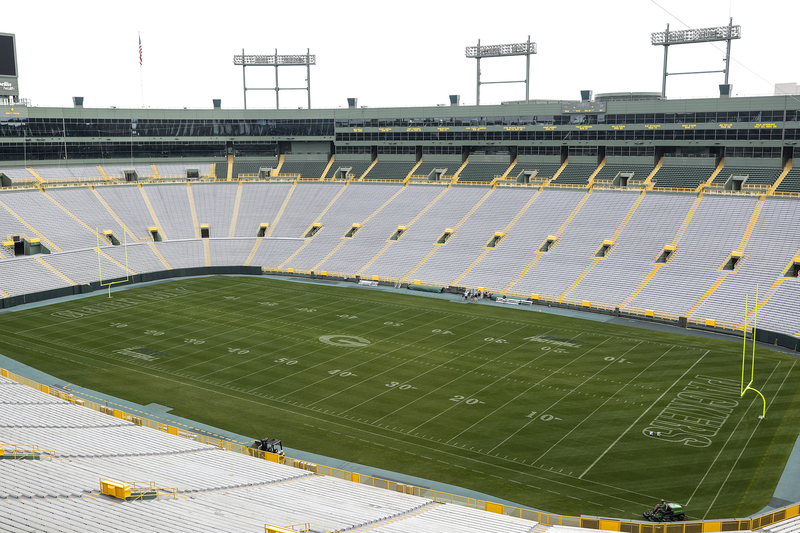 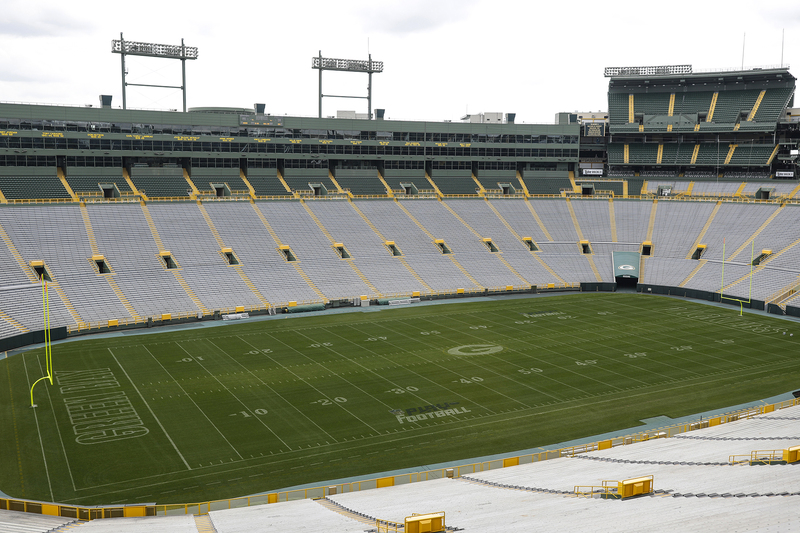 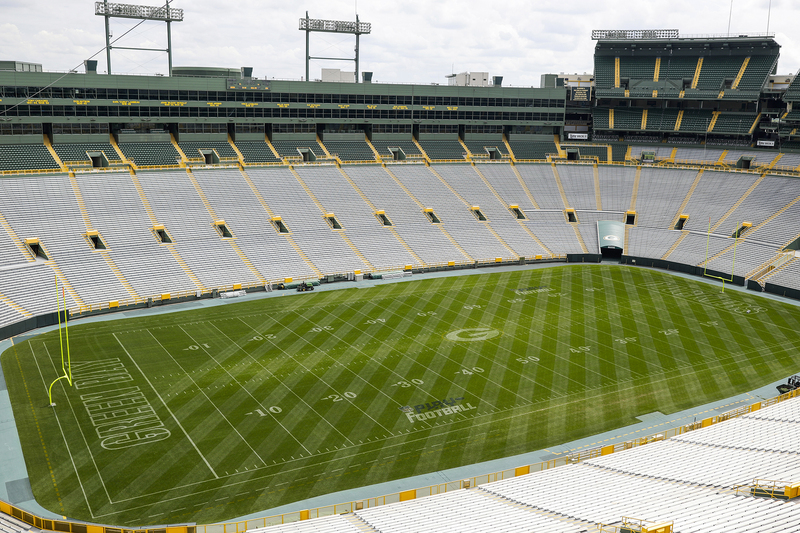 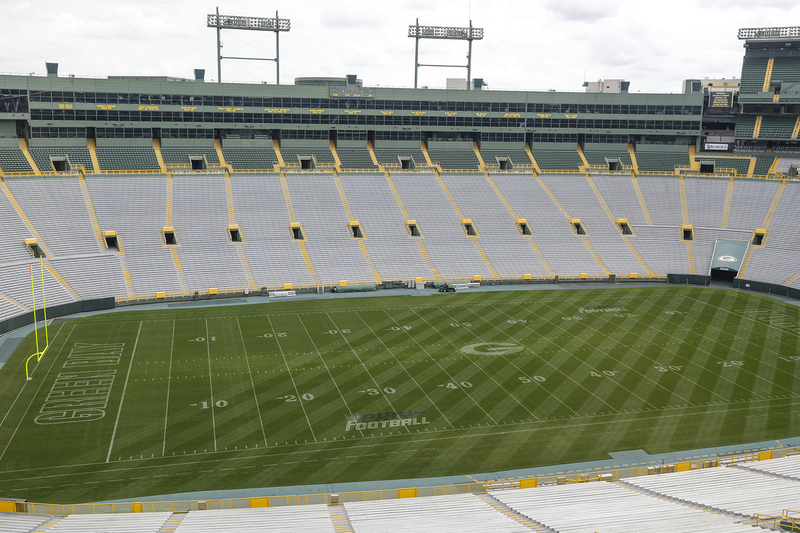 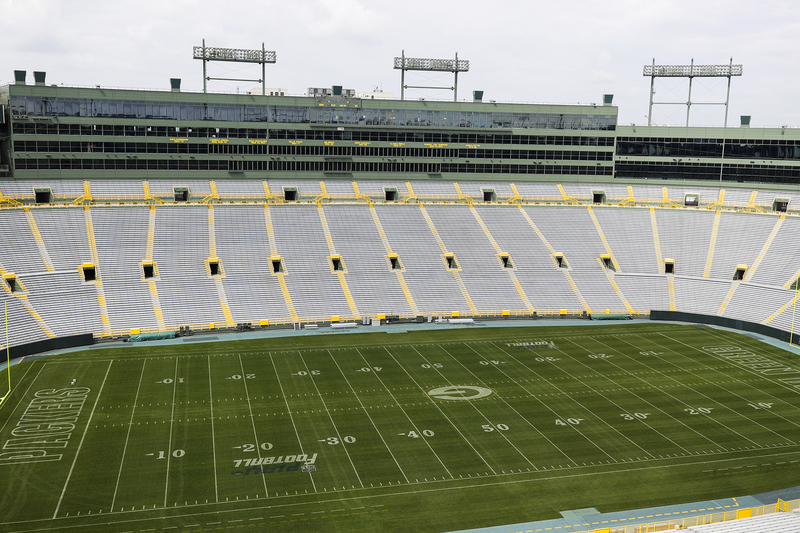 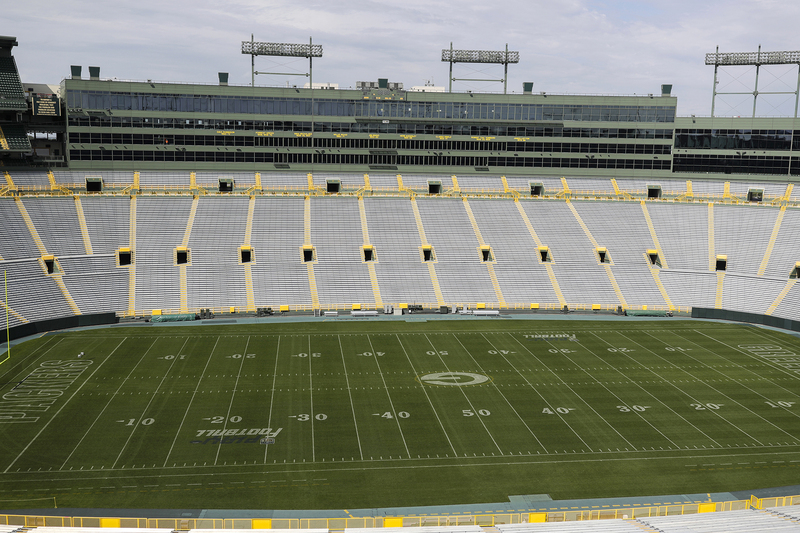 Lambeau Field is celebrated as the #1 stadium experience in the NFL. 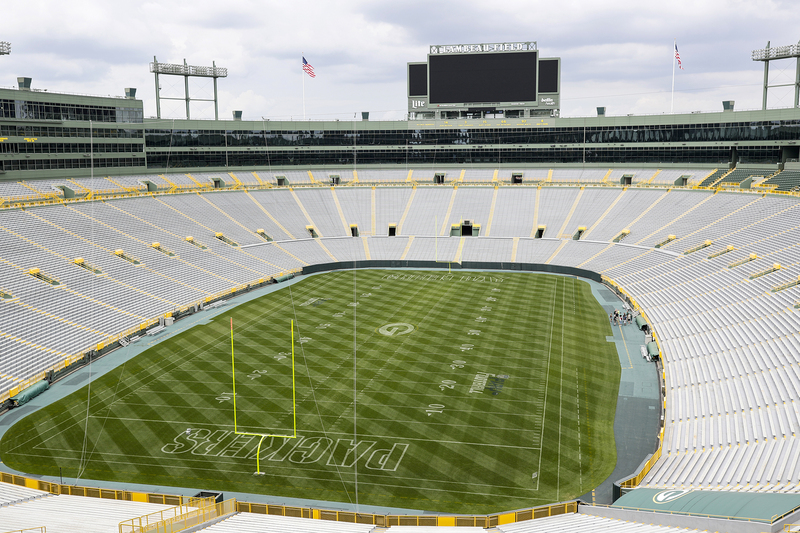 There's a reason. 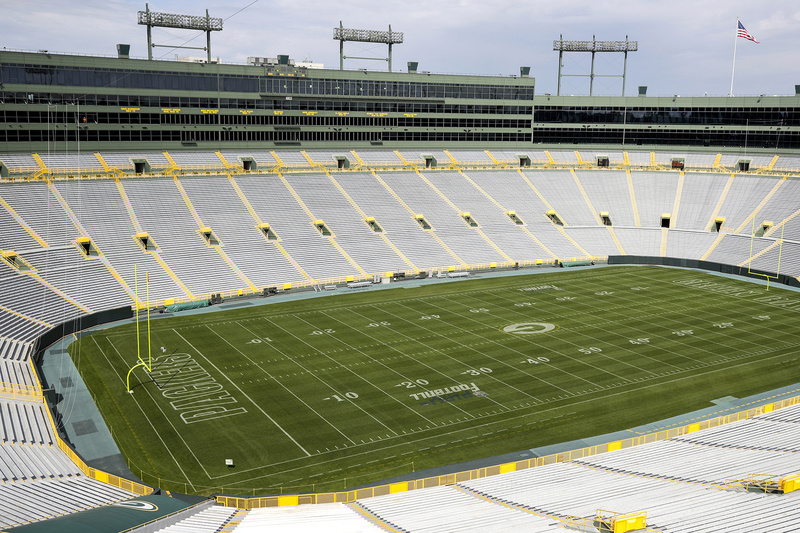 Yes, because it's home to the 13-time World Championship Green Bay Packers. 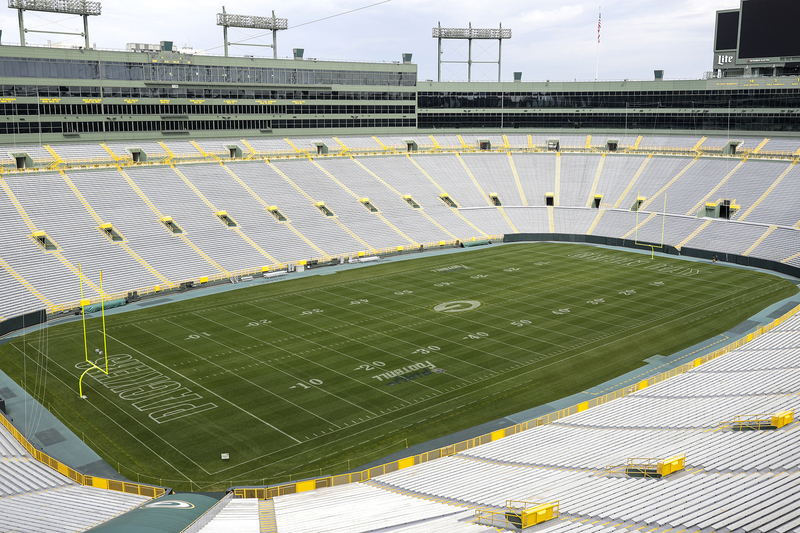 But also because of the stadium itself. 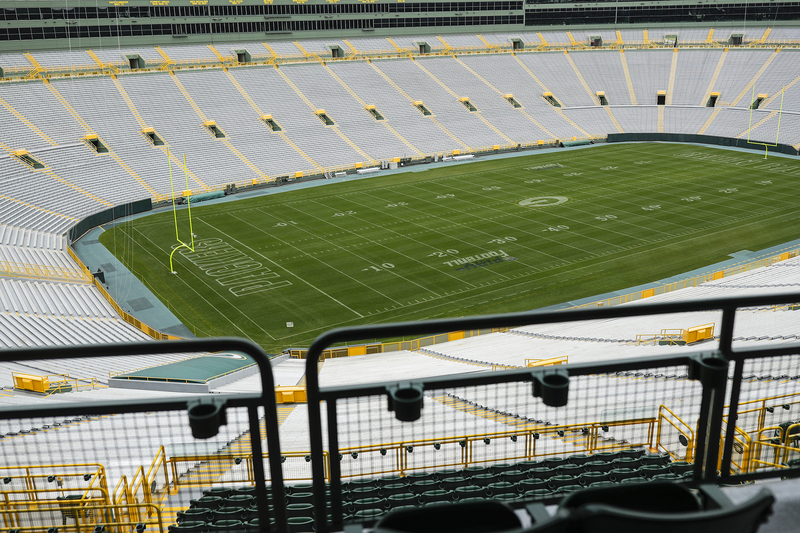 It is premier in all aspects, especially premium seating. 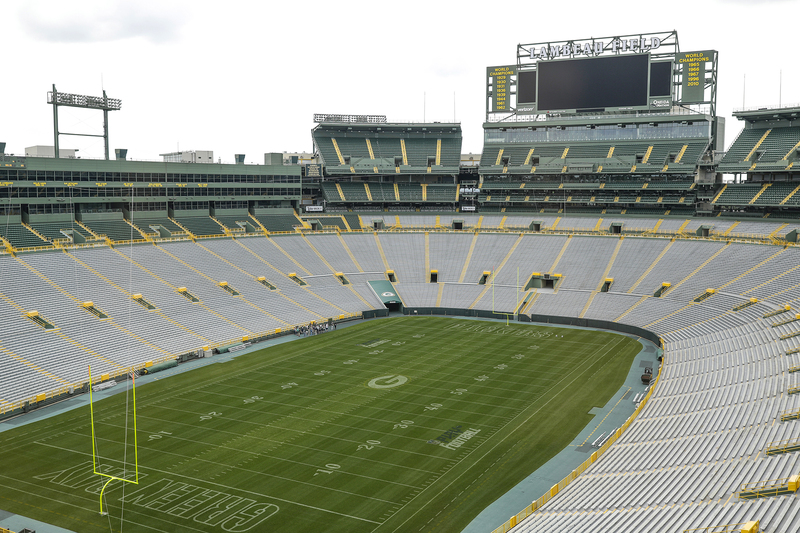 Commitment to an annual suite means that every game, all year, can be a celebration for you. 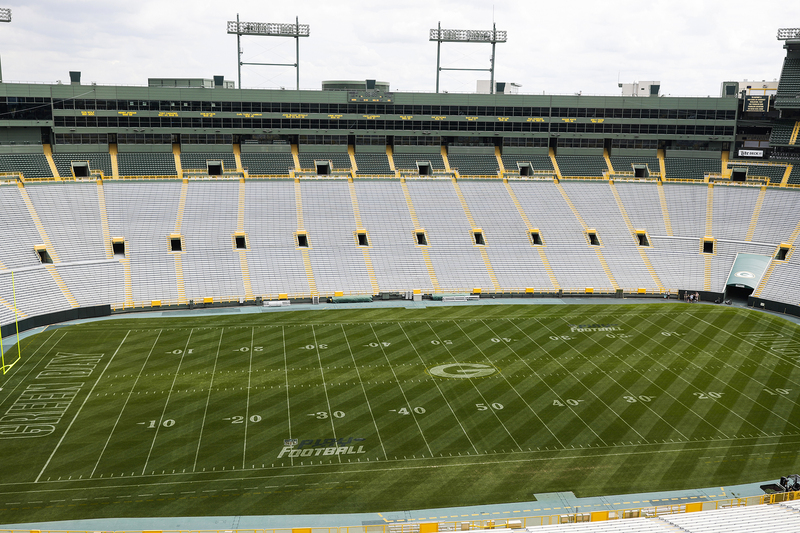 Whether celebrating a relationship with a client or an organizational victory with your staff, celebrate with the green and gold - in legendary style. 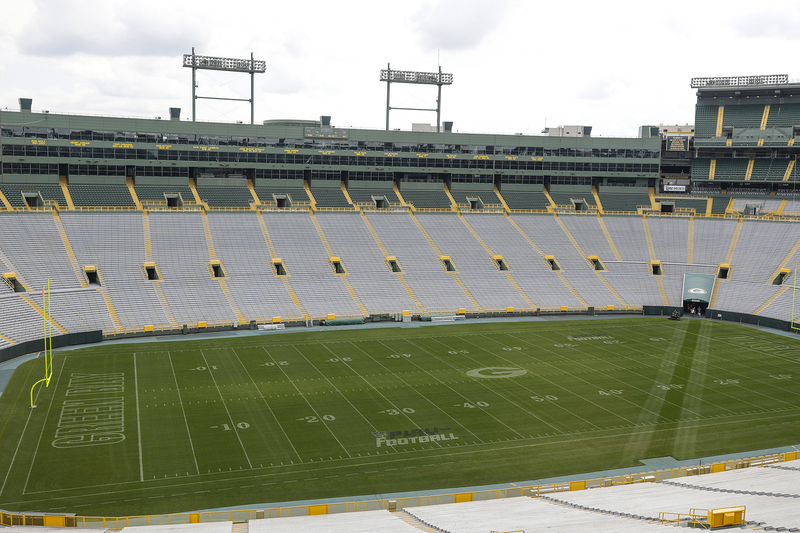 When at Lambeau Field, you are on top of the world, figuratively and literally. 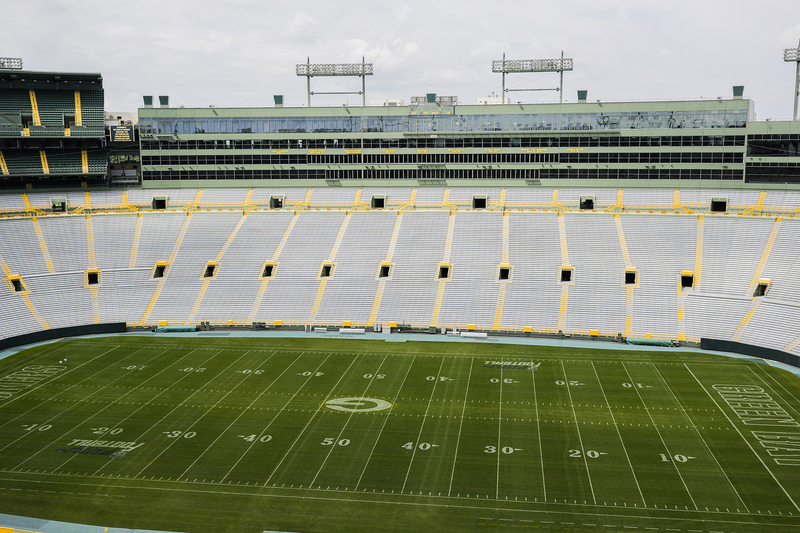 The Terrace Suites offer outstanding views of the field and bowl, all in a private, outdoor seating area in the South End Zone. 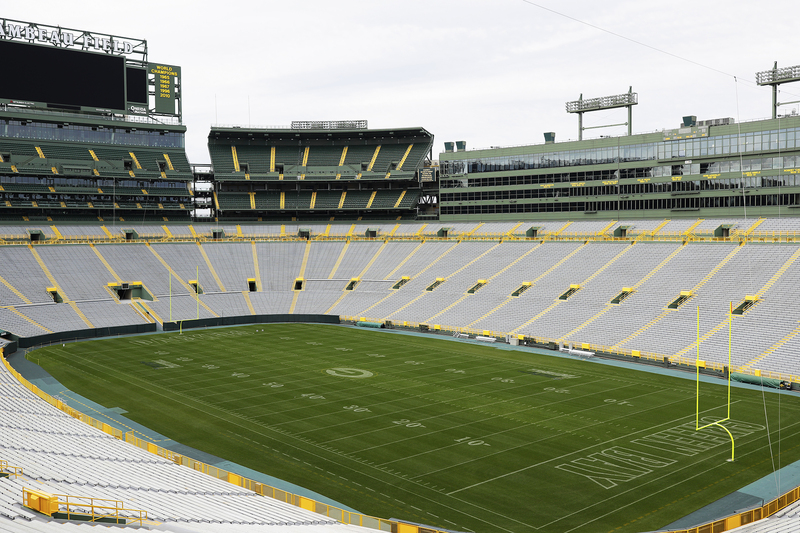 It's the feeling of a home Packers game day party right in the middle of the real game day action. 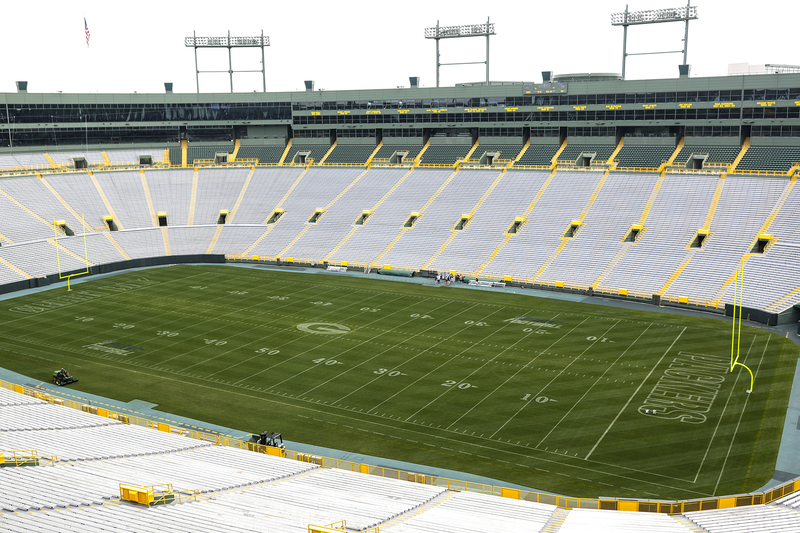 Lambeau Field. 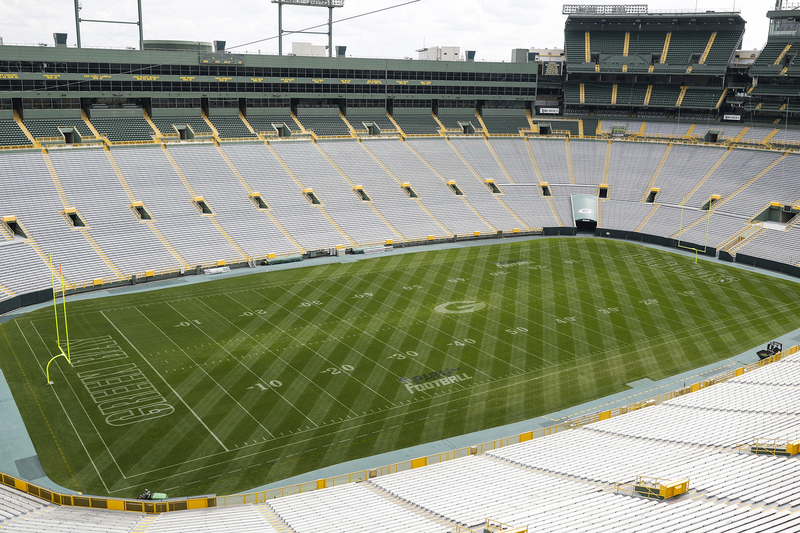 It's not just a football field. 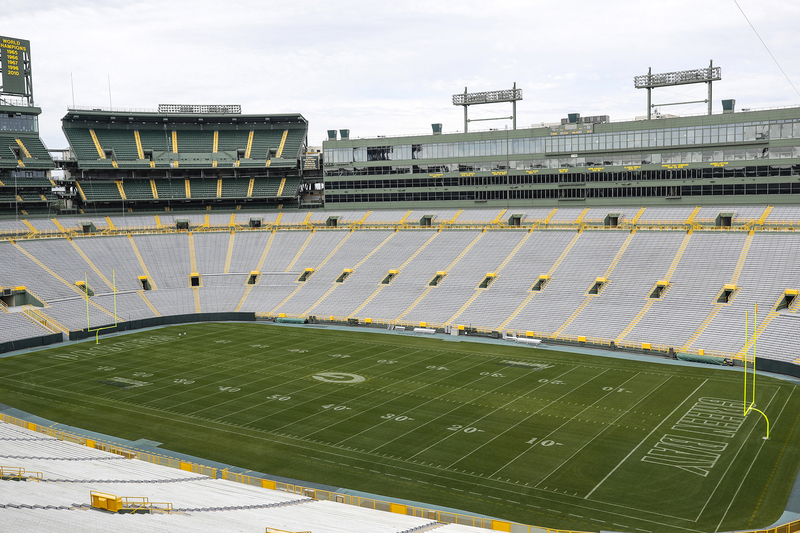 It's a destination. 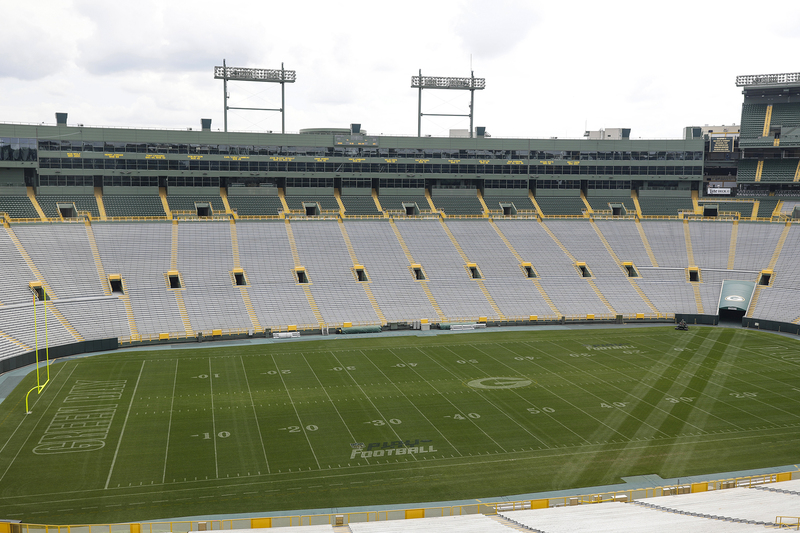 An icon recognized around the world. 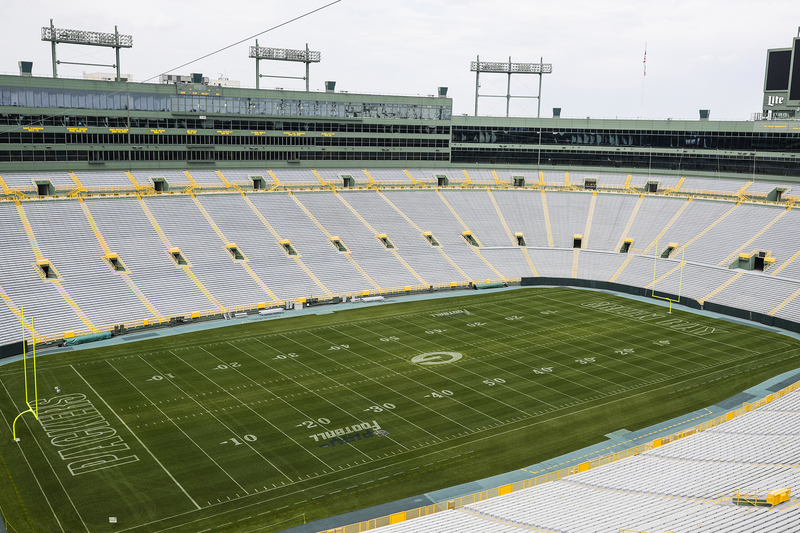 One that offers a premier experience for all who enter. 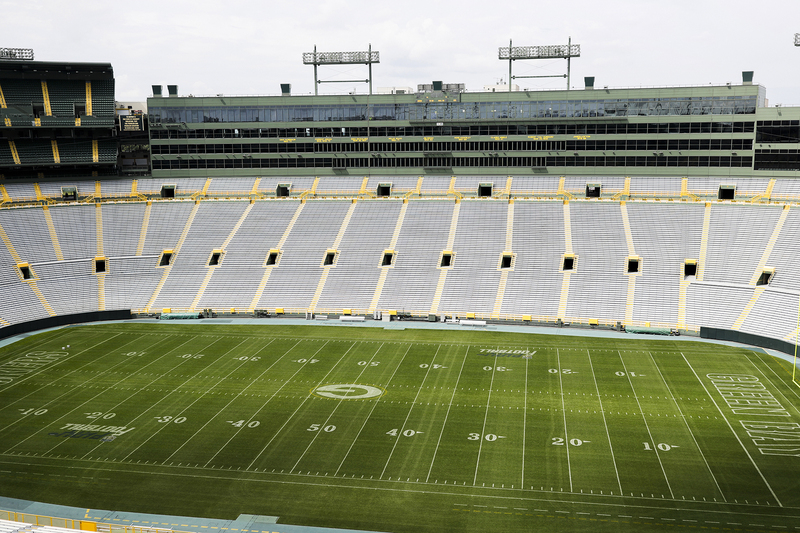 Especially on game day and especially in an individual game day suite. 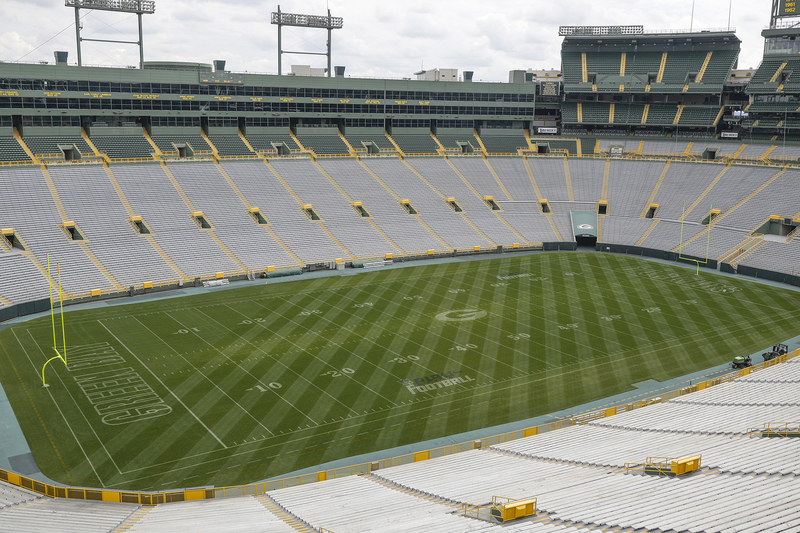 For family. 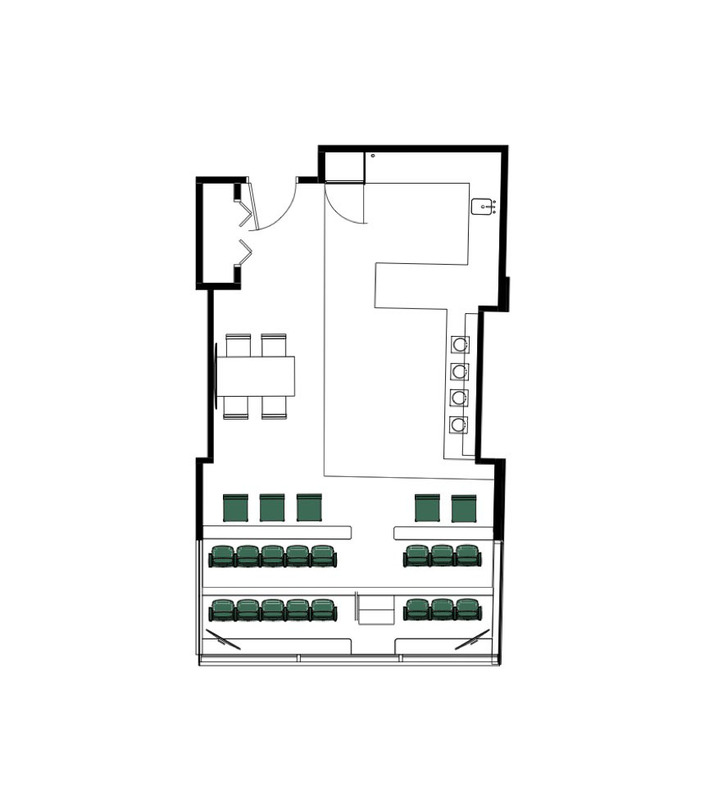 For friends. 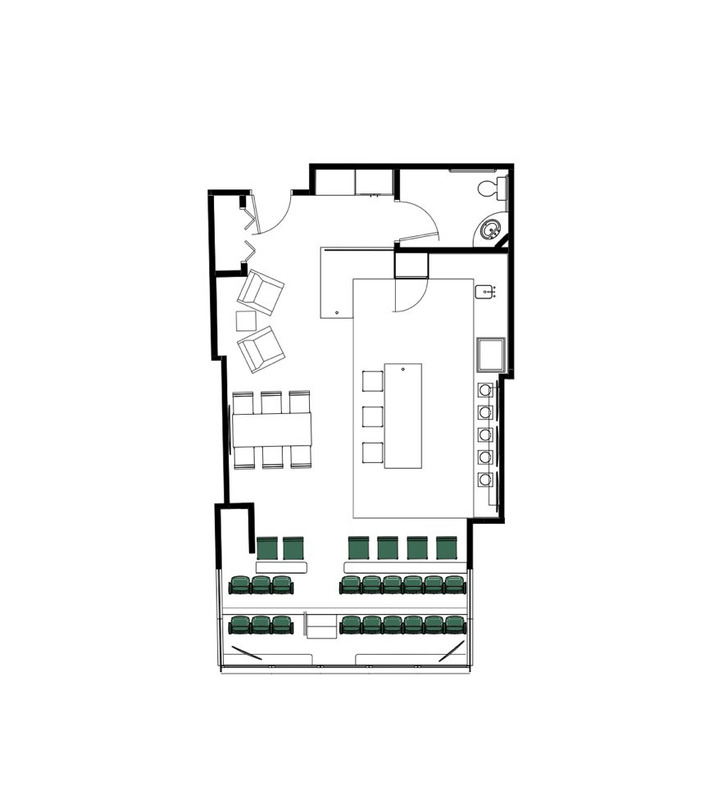 For clients. 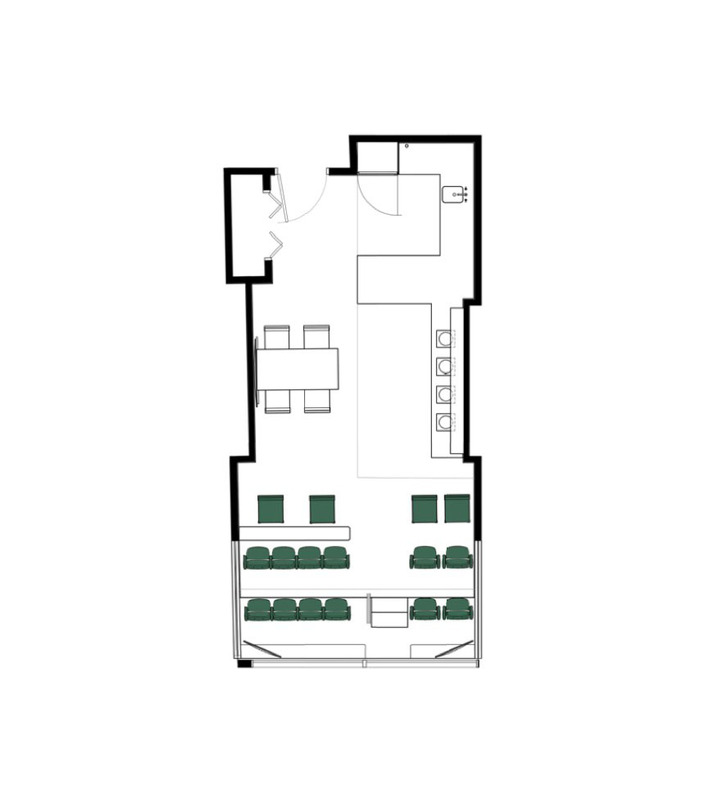 For employees. 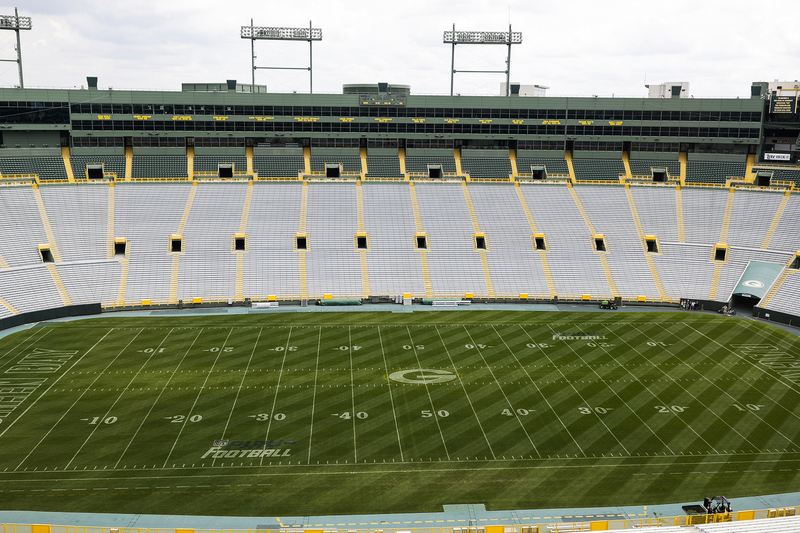 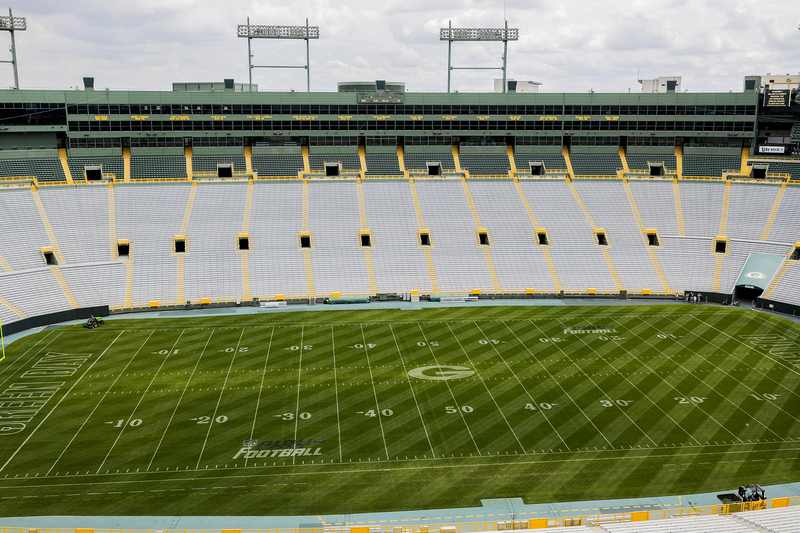 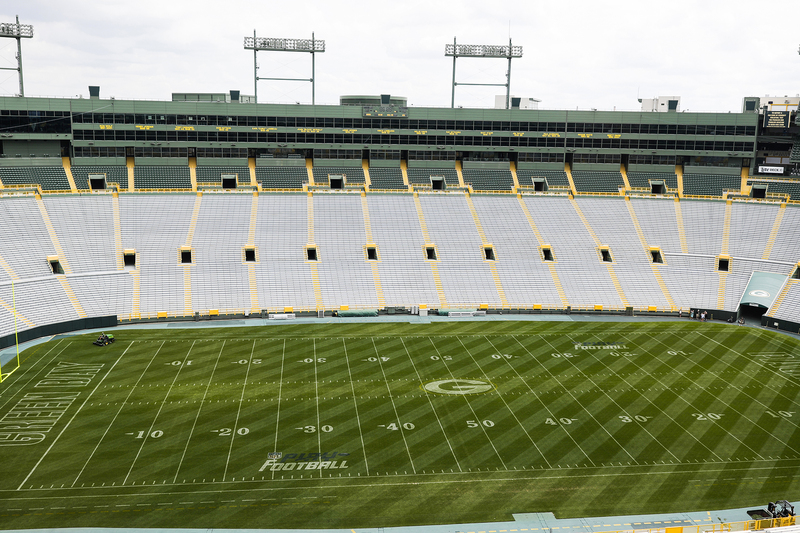 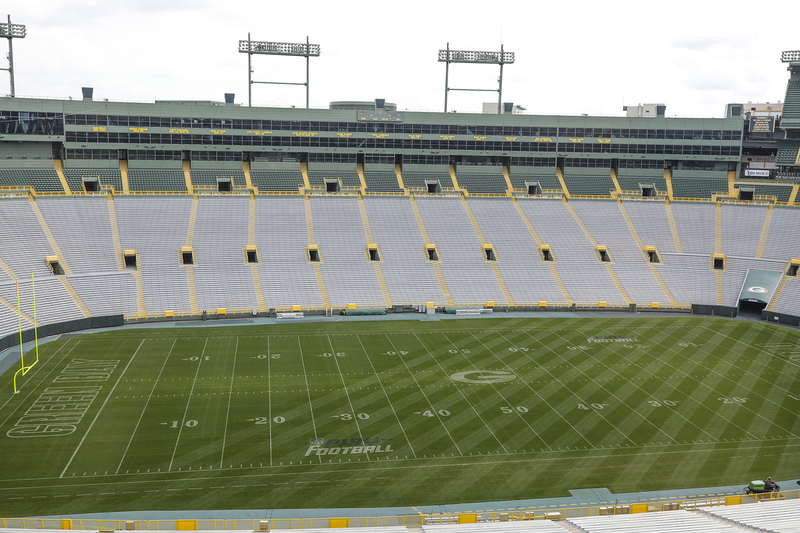 For anyone who you want to share the awe of Lambeau Field with - this suite is for you. 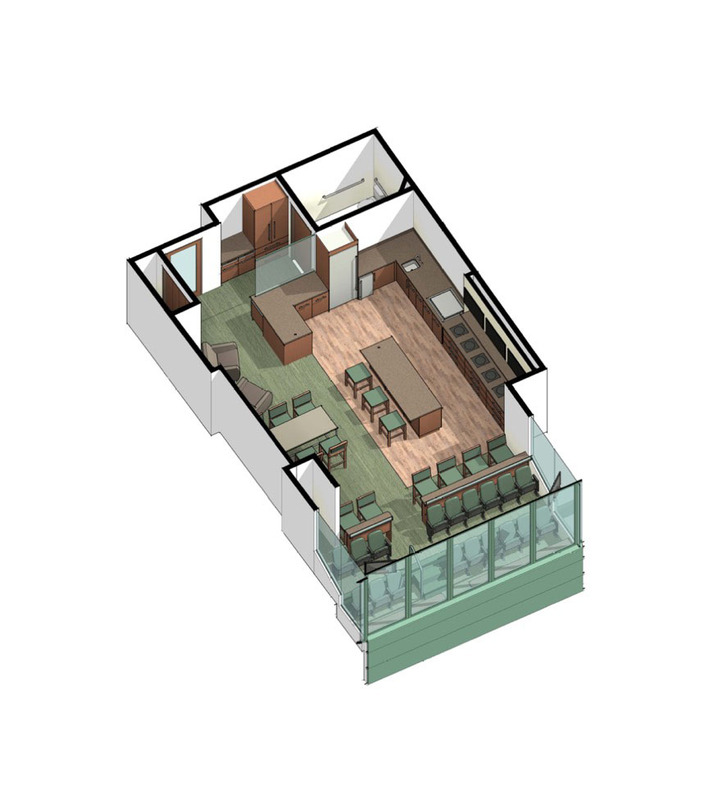 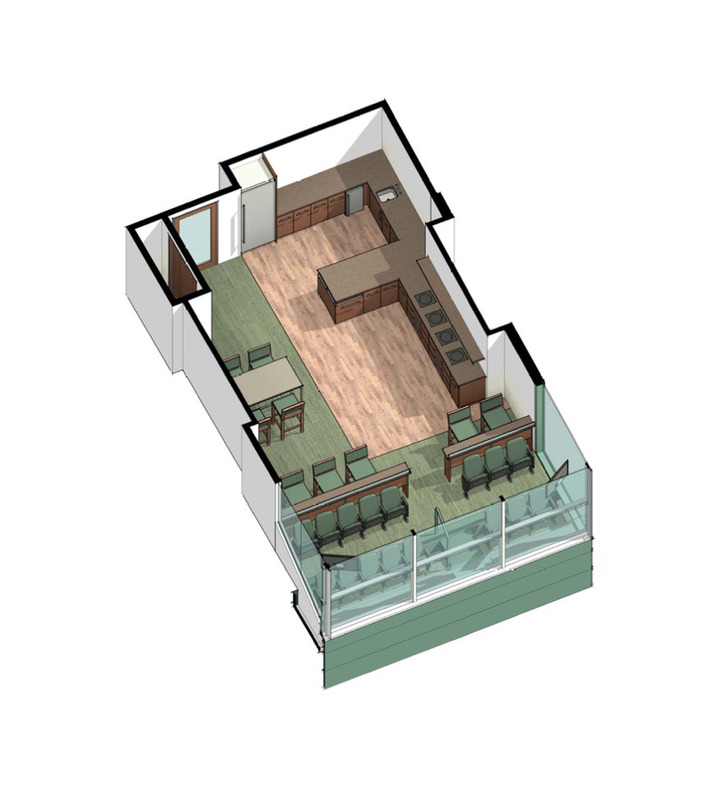 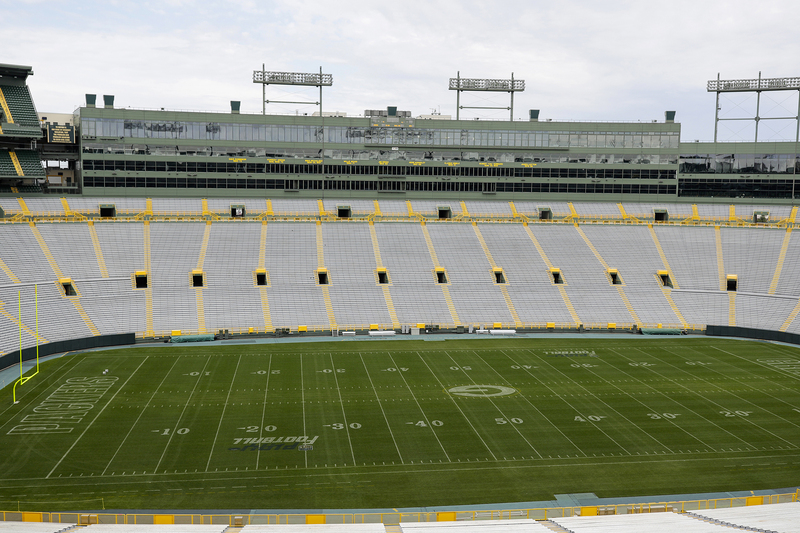 This suite is named the Lambeau Suite because, like Lambeau Field, it is like no other. 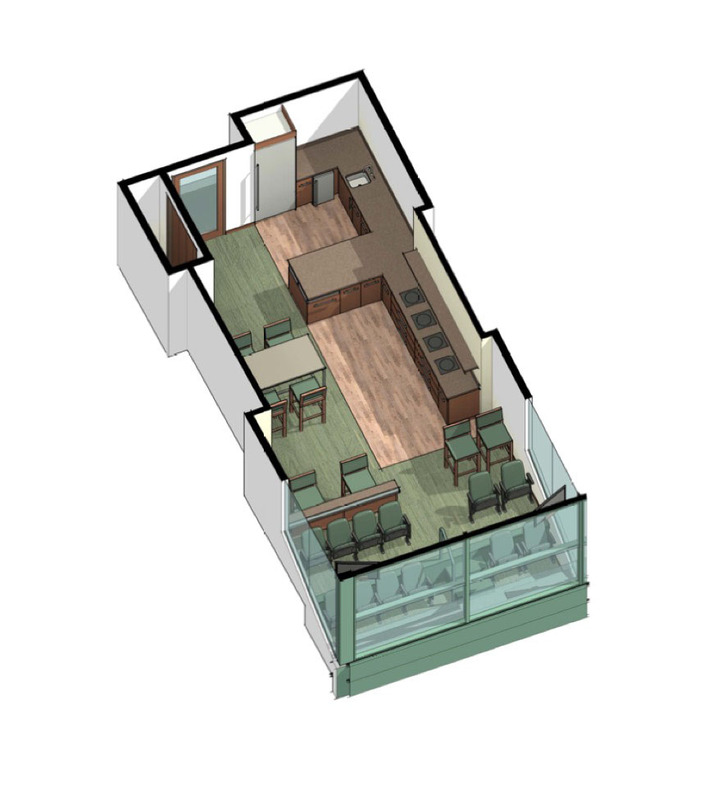 The experience of this suite is the most unique and extraordinary of them all. 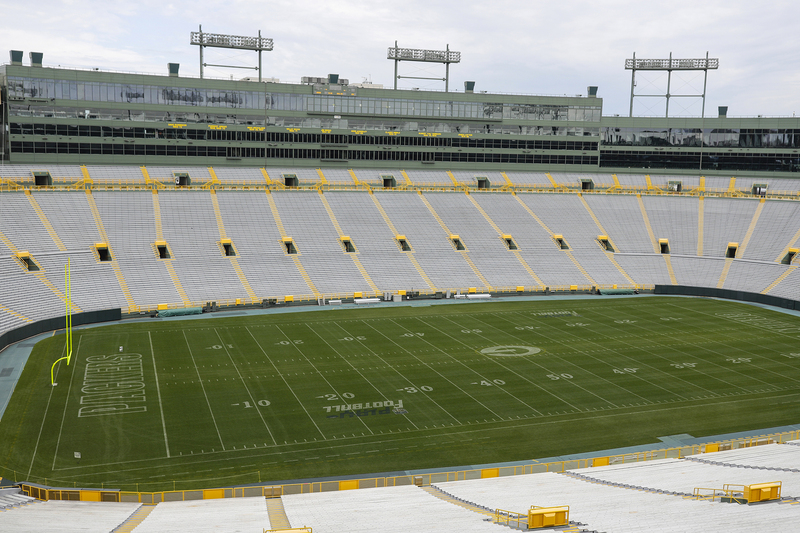 It is one for the record books. 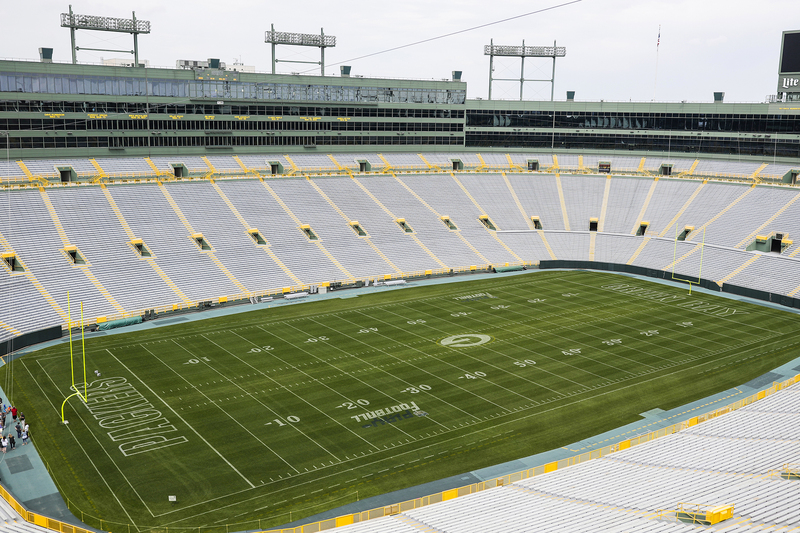 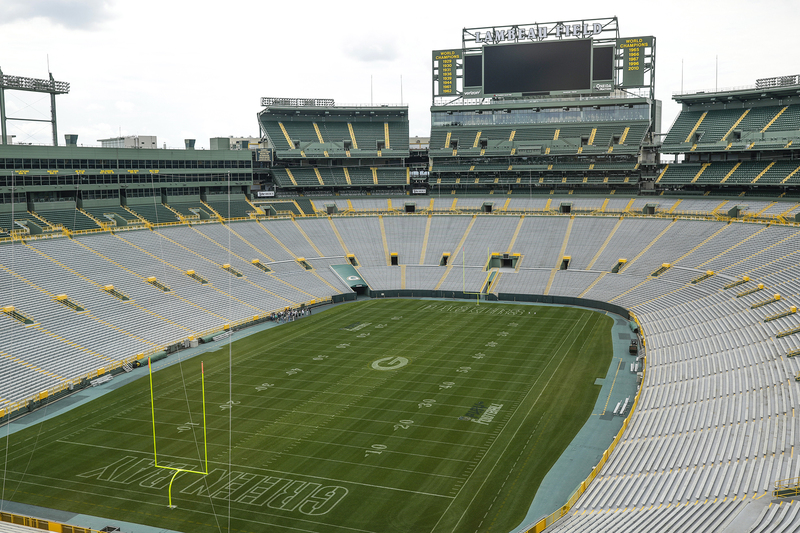 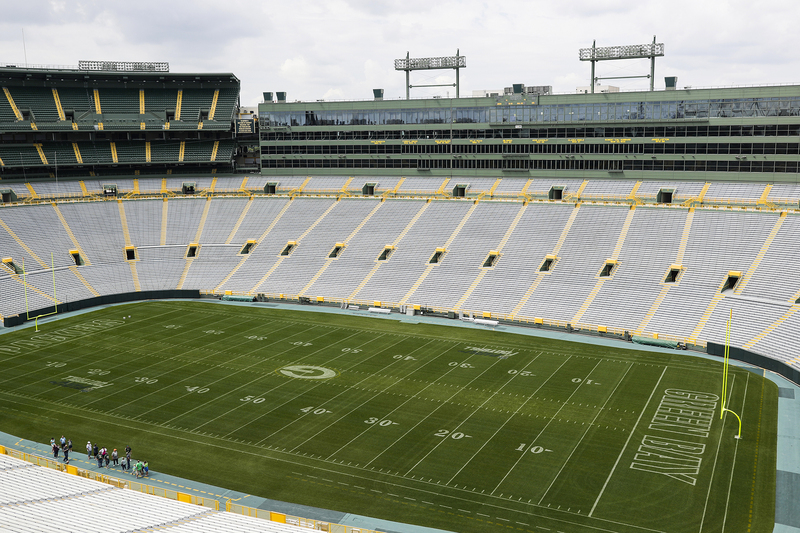 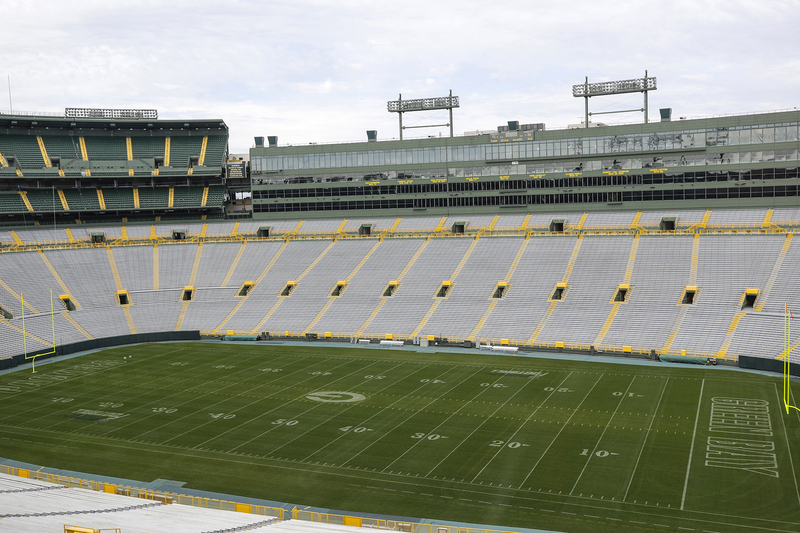 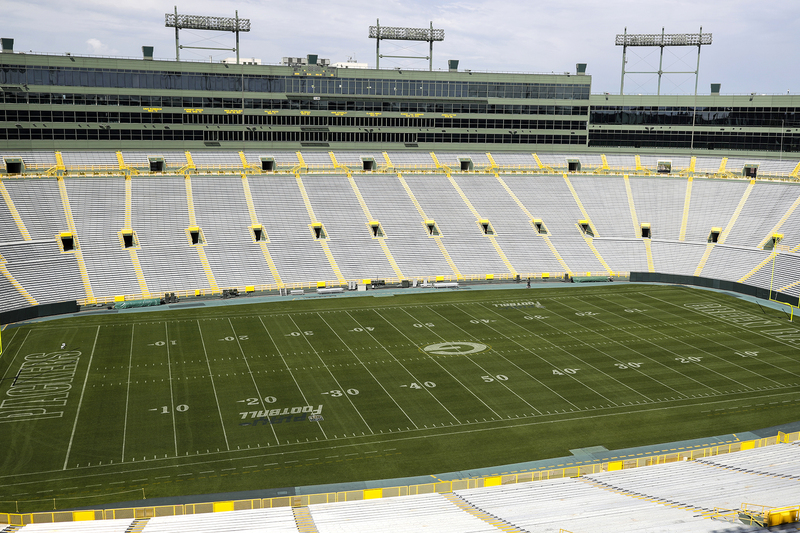 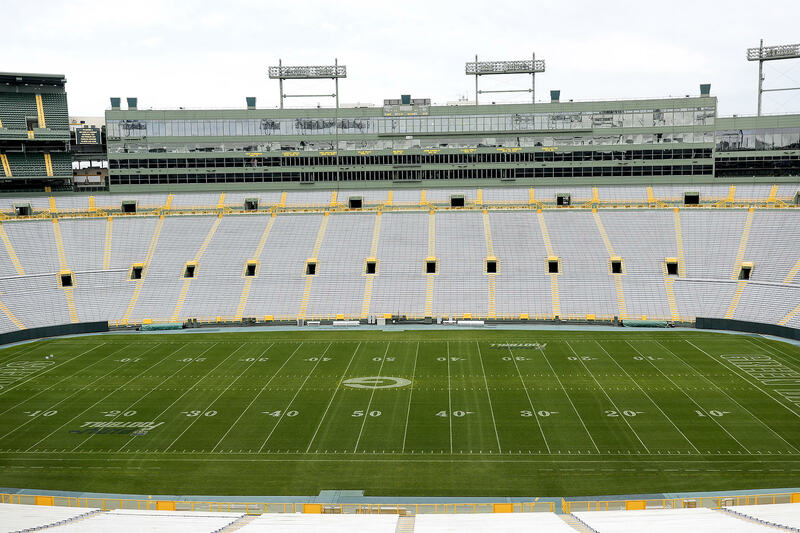 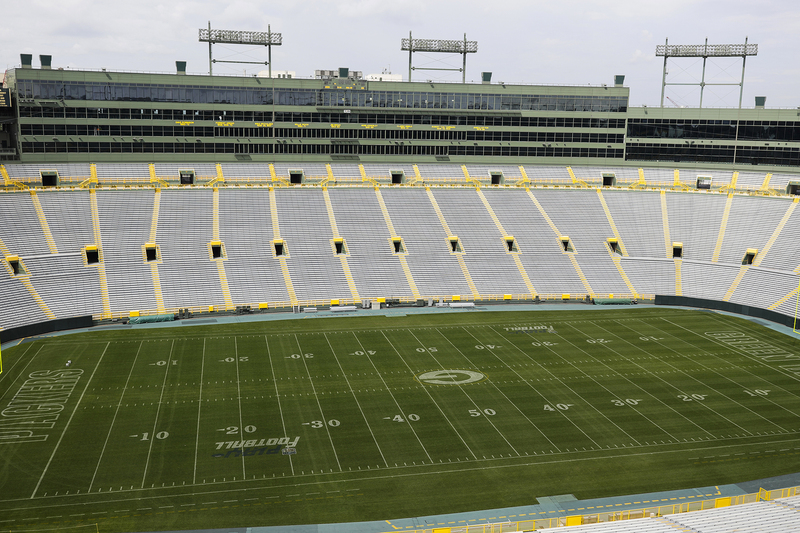 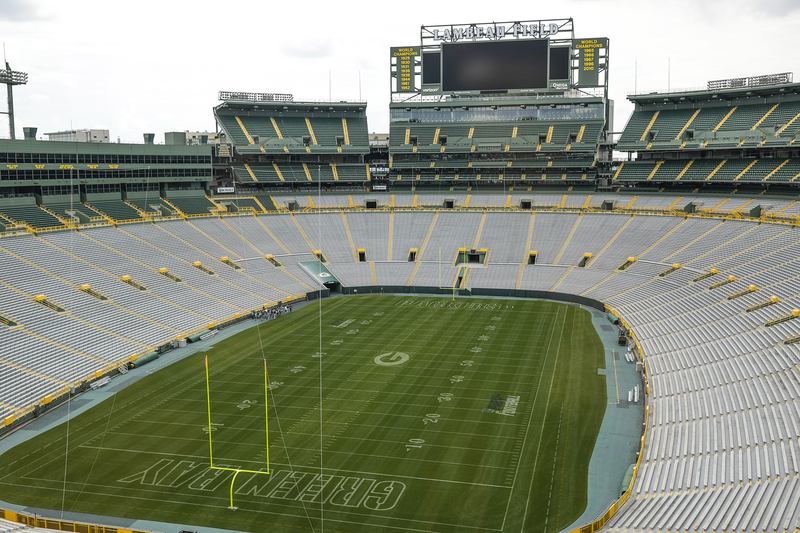 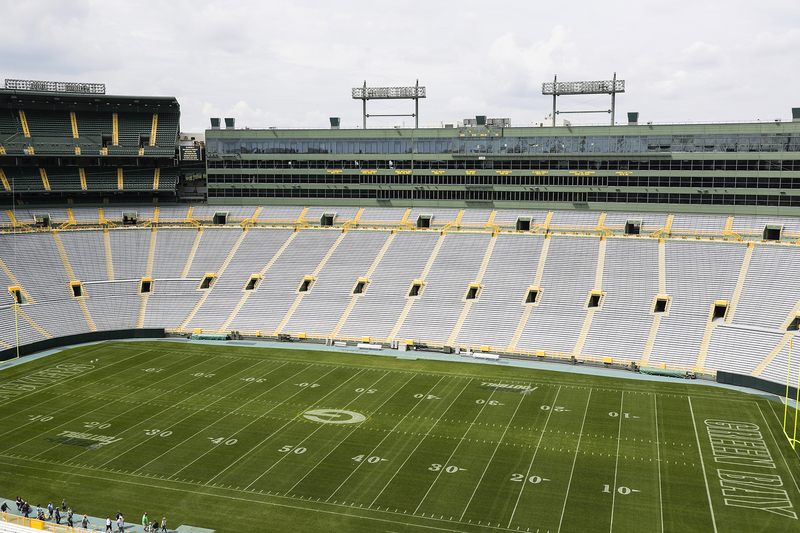 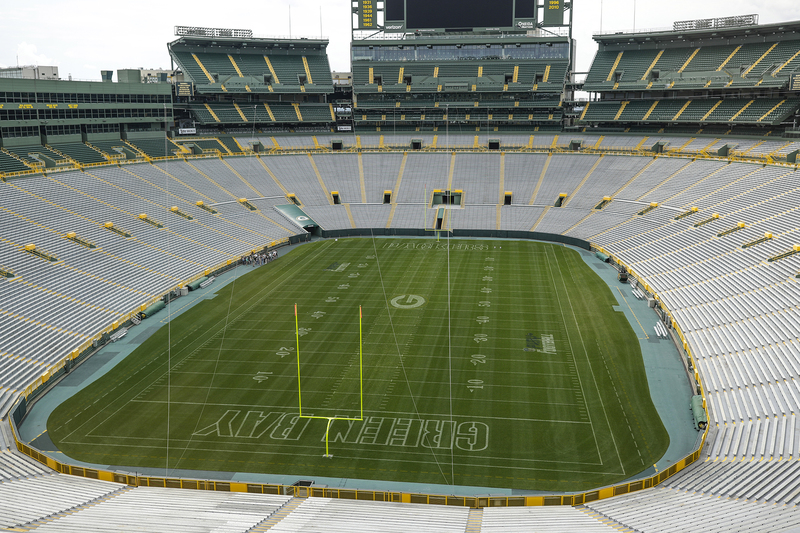 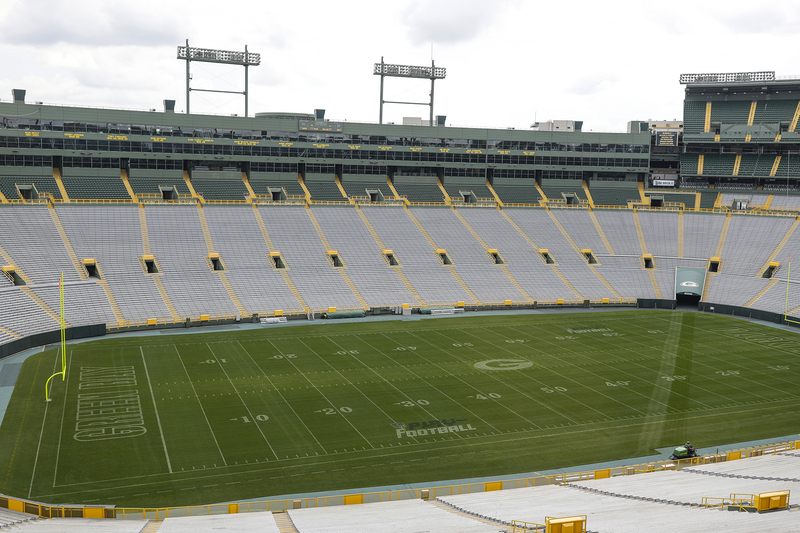 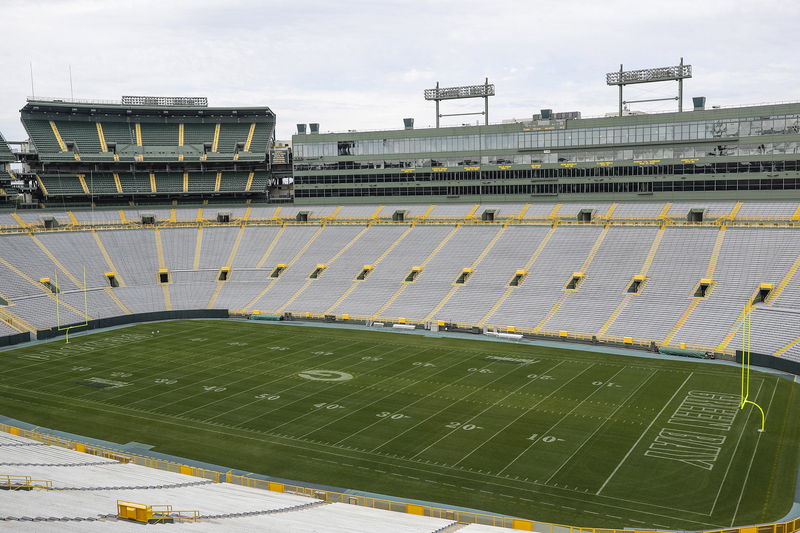 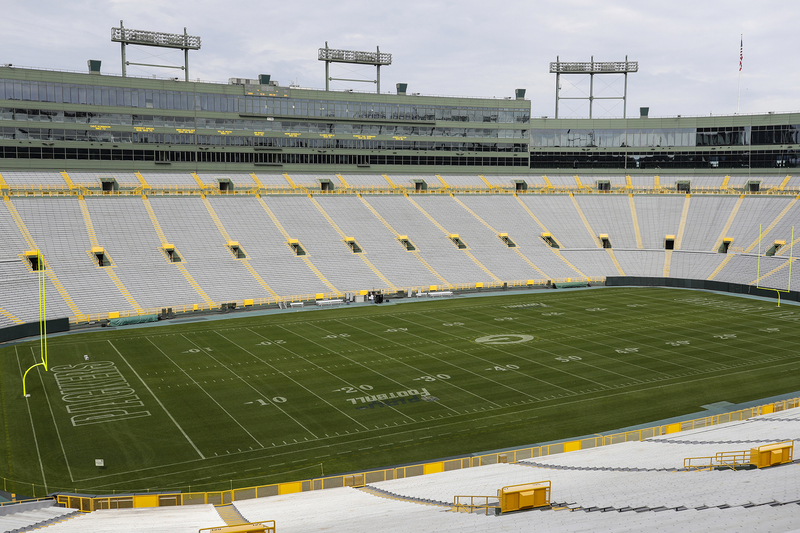 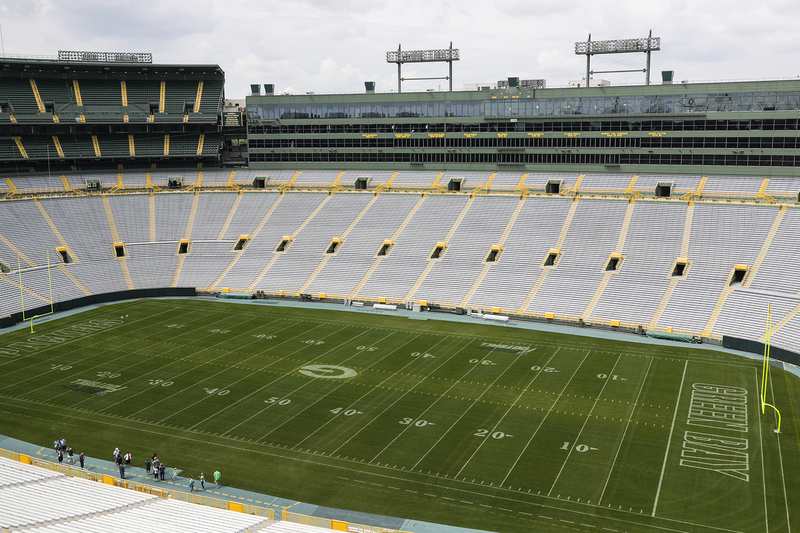 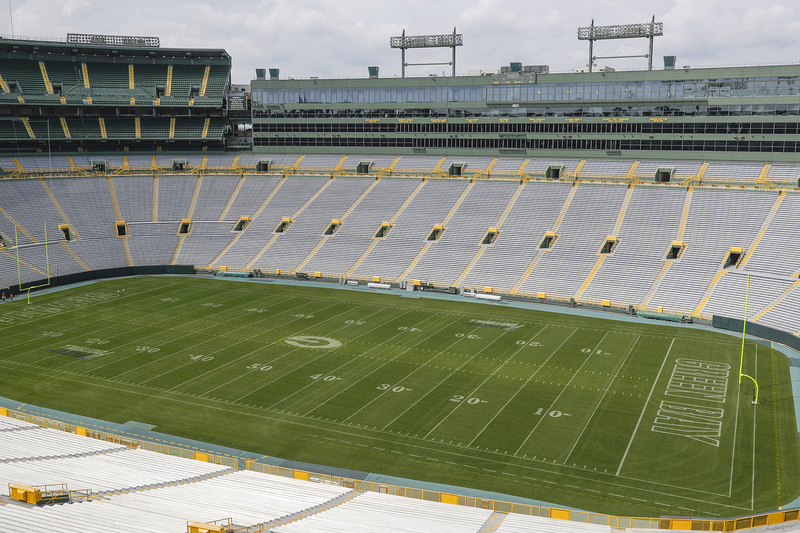 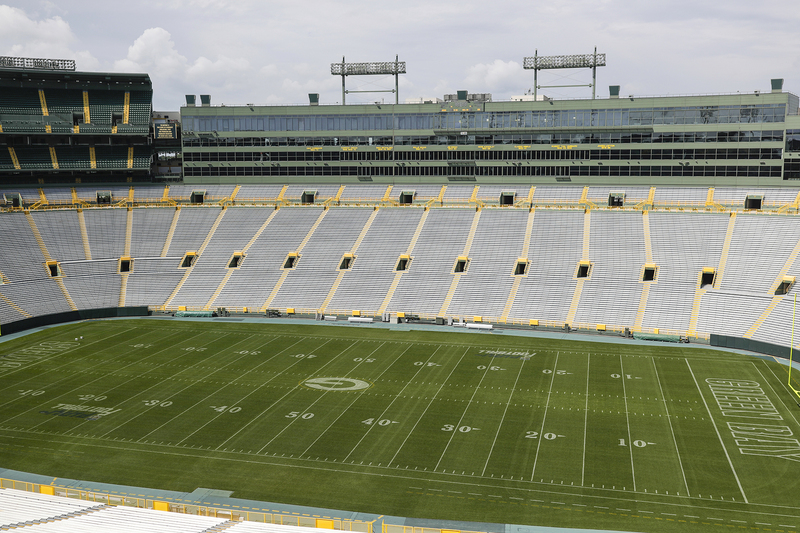 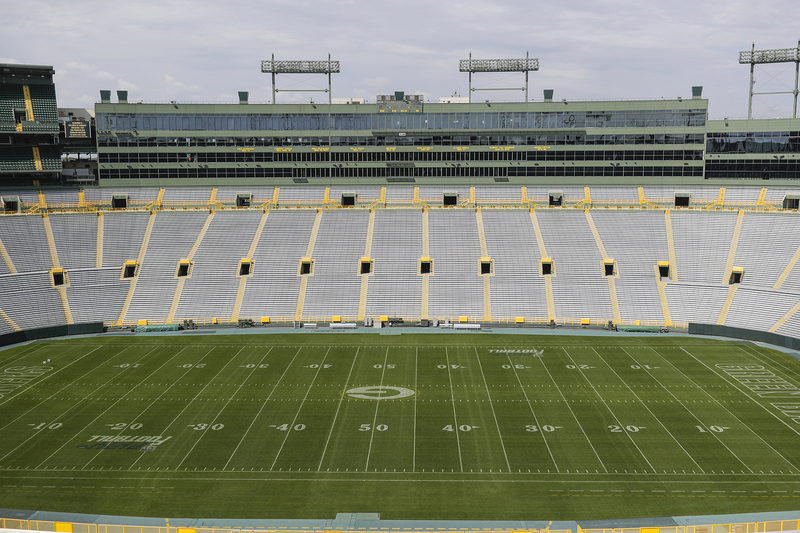 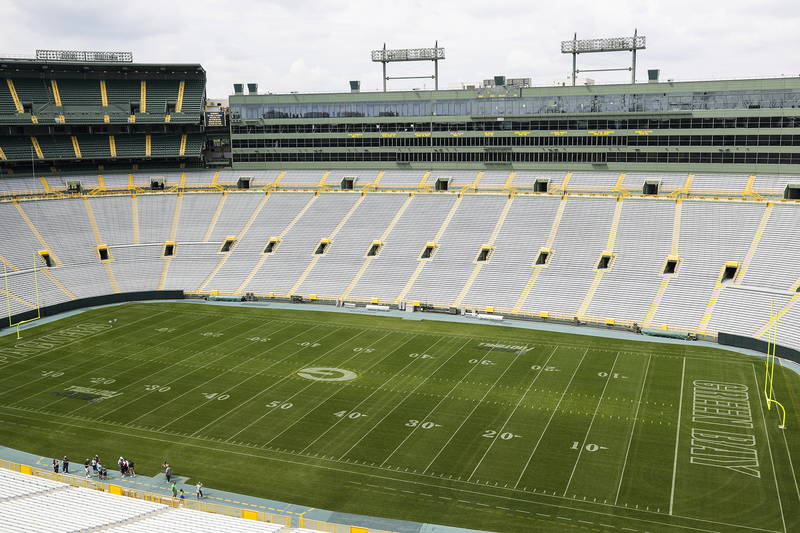 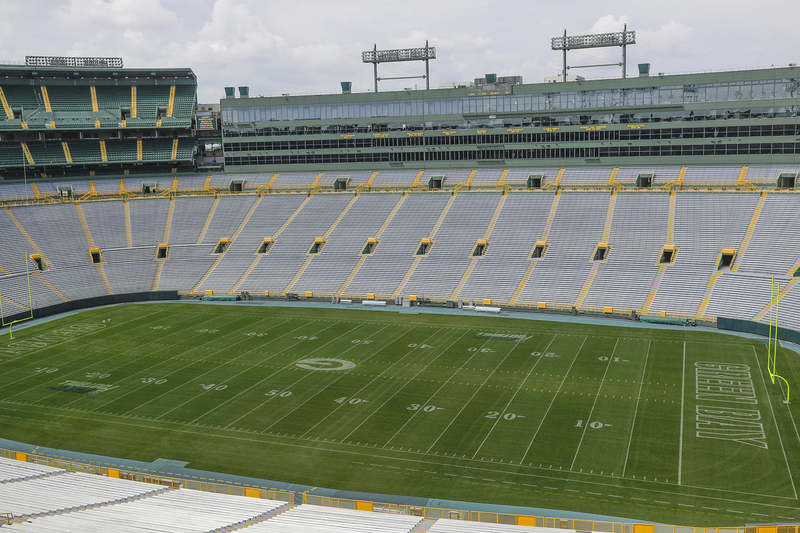 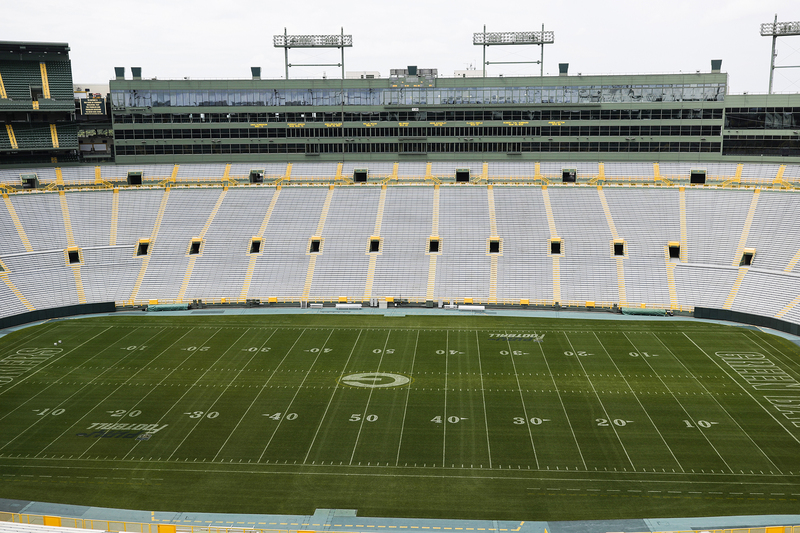 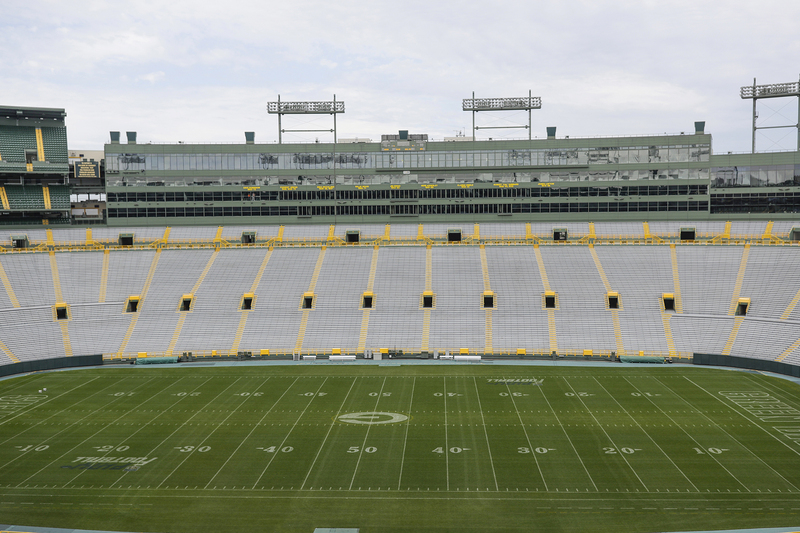 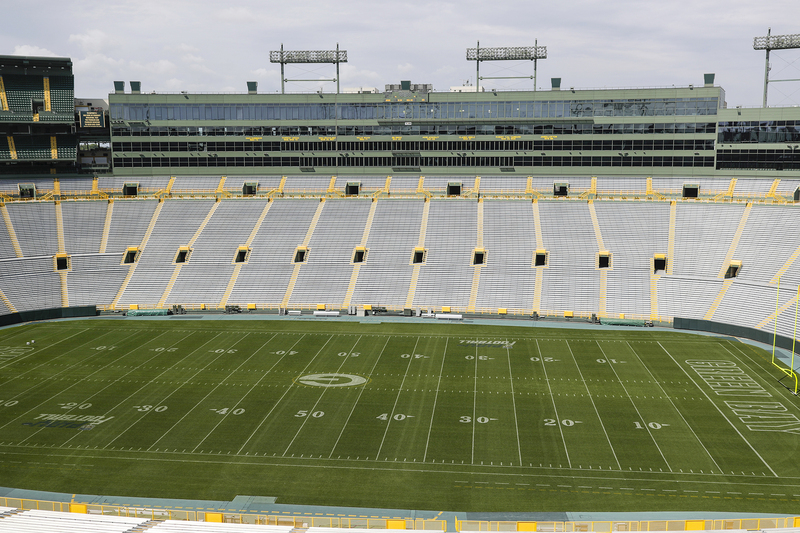 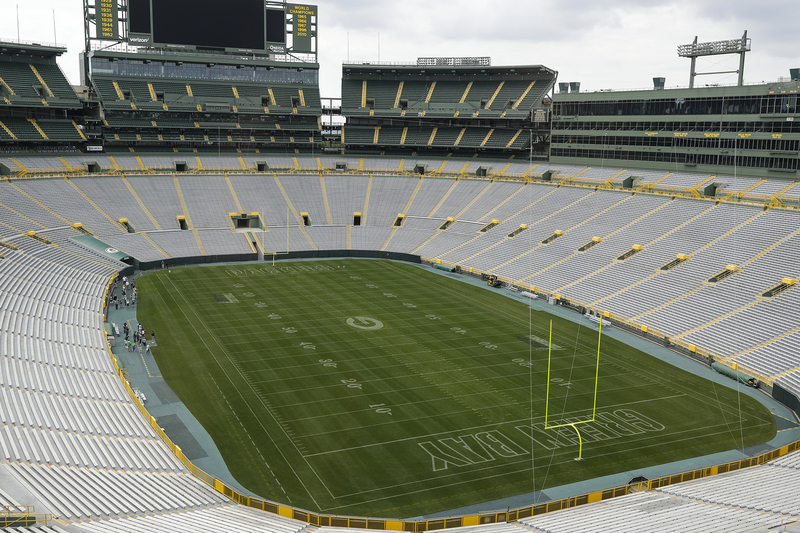 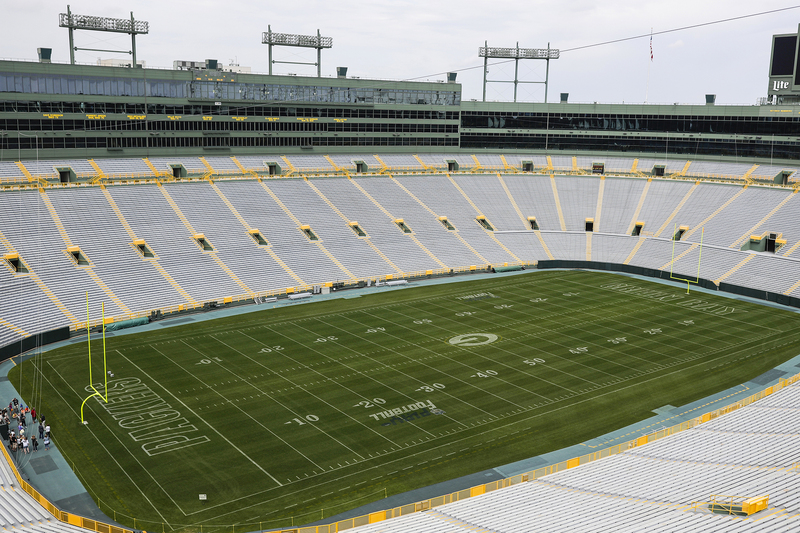 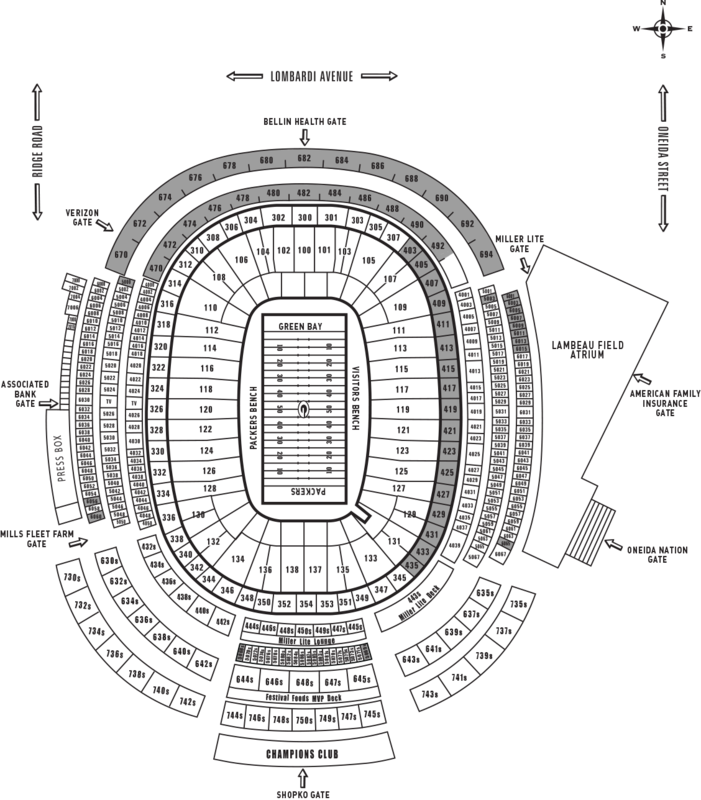 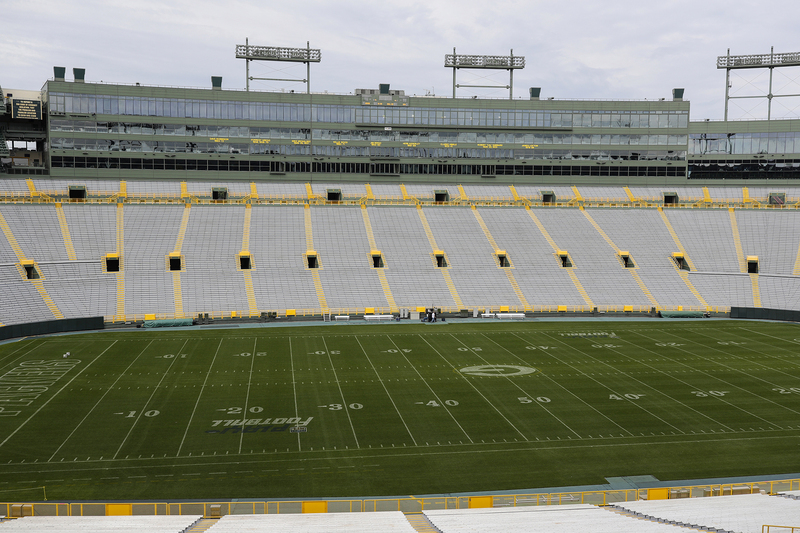 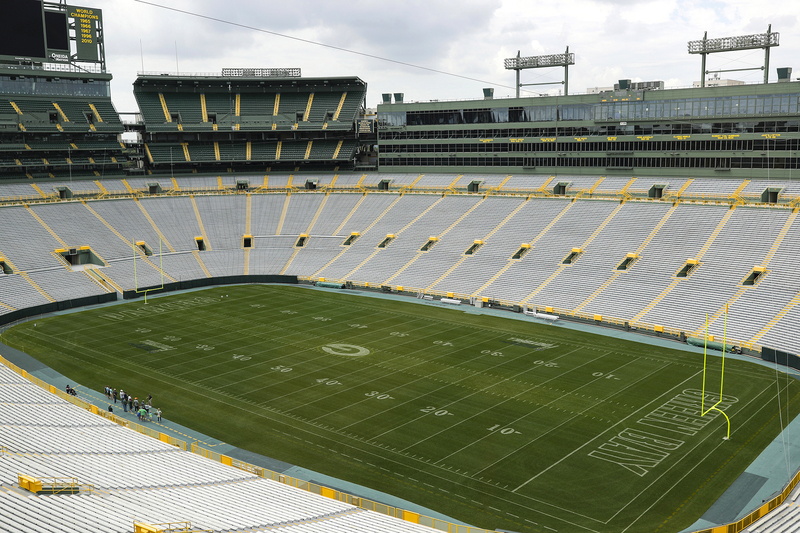 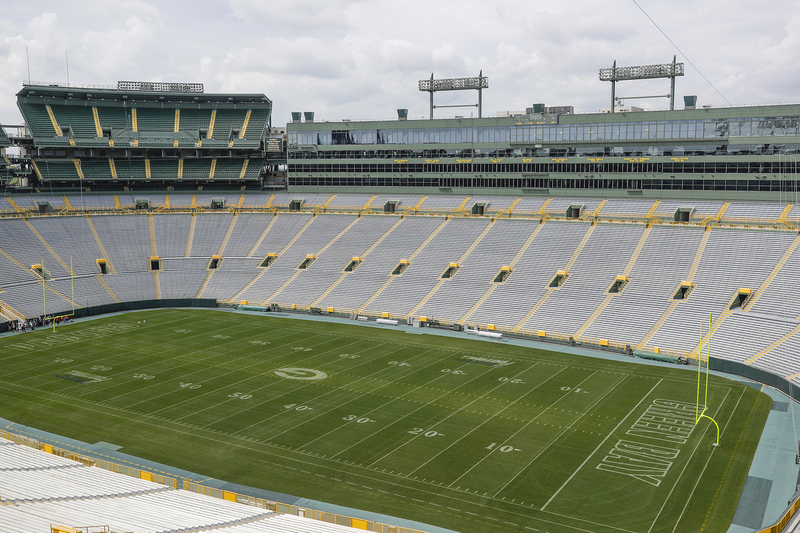 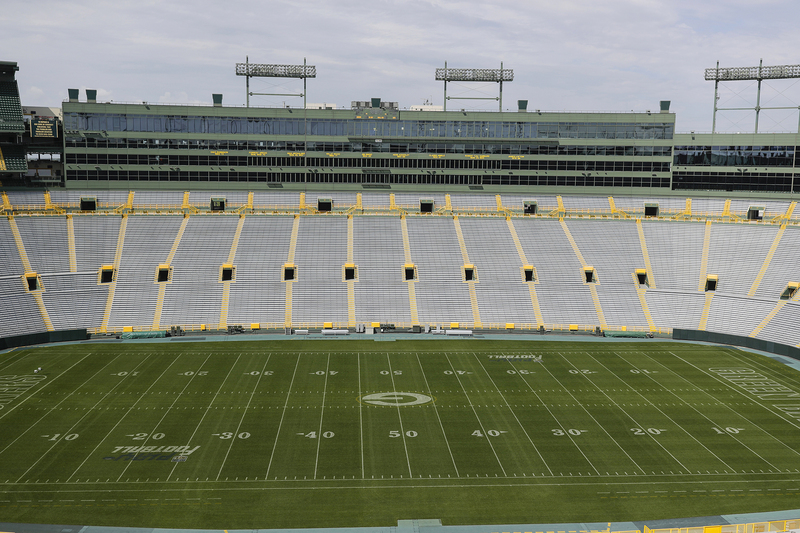 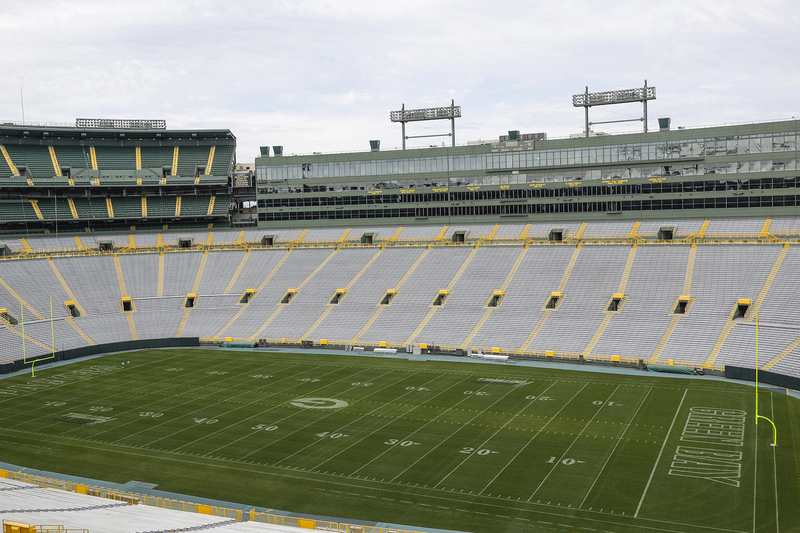 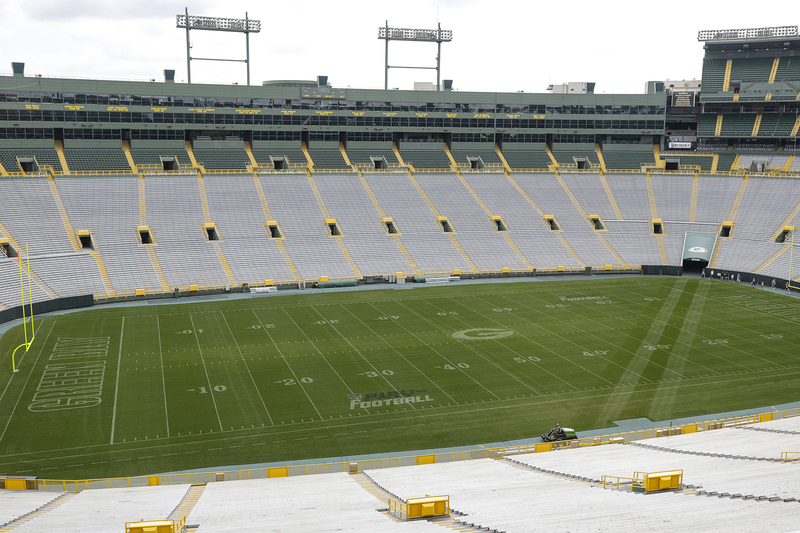 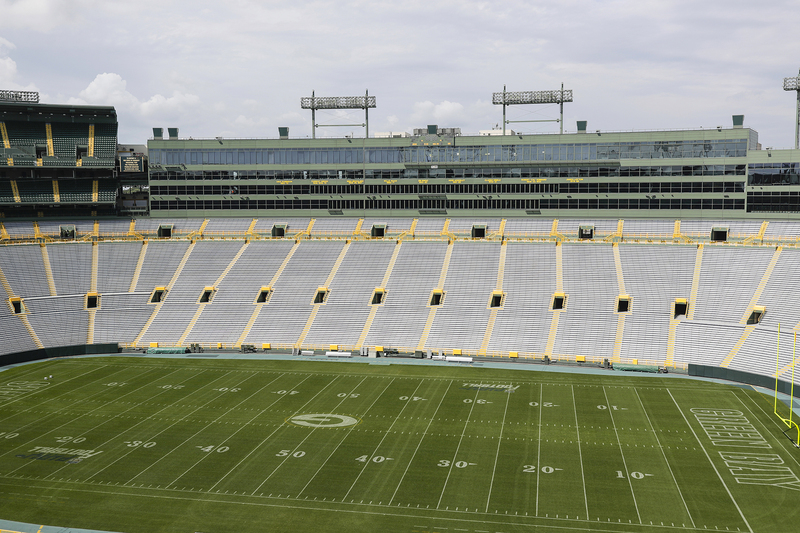 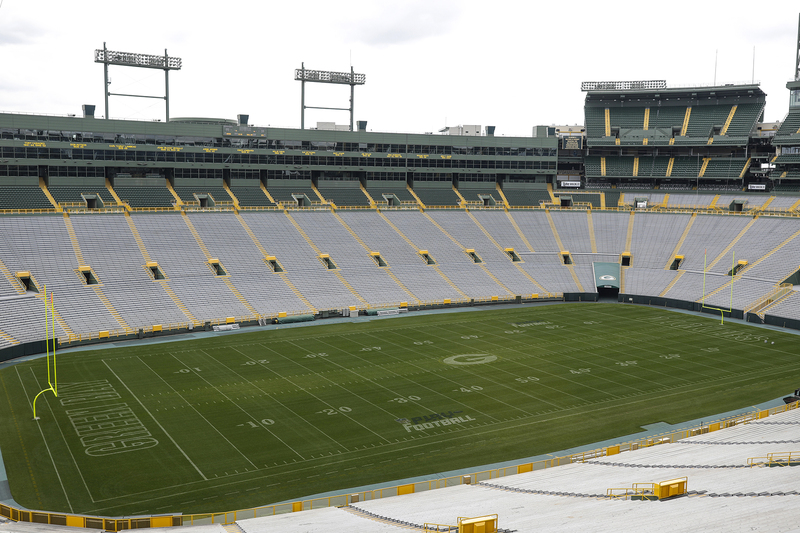 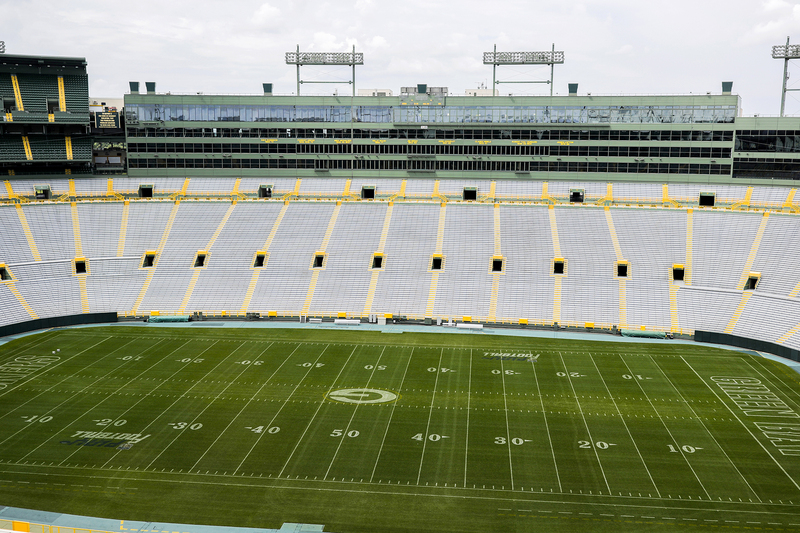 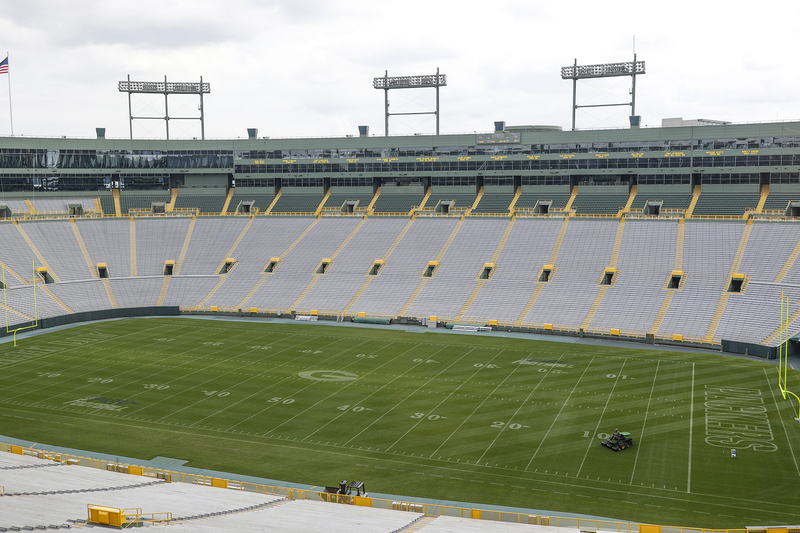 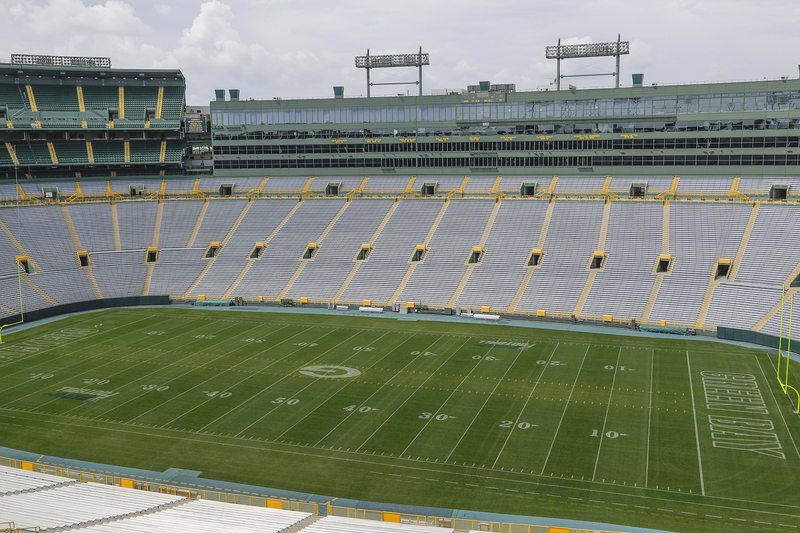 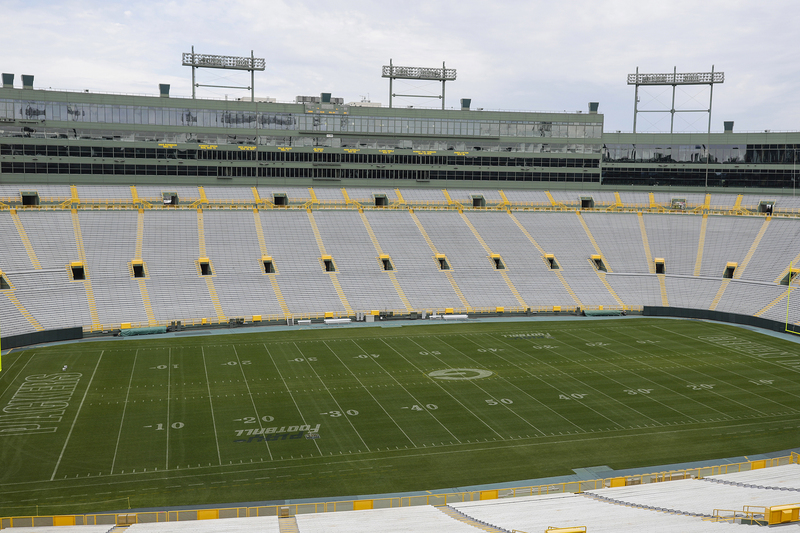 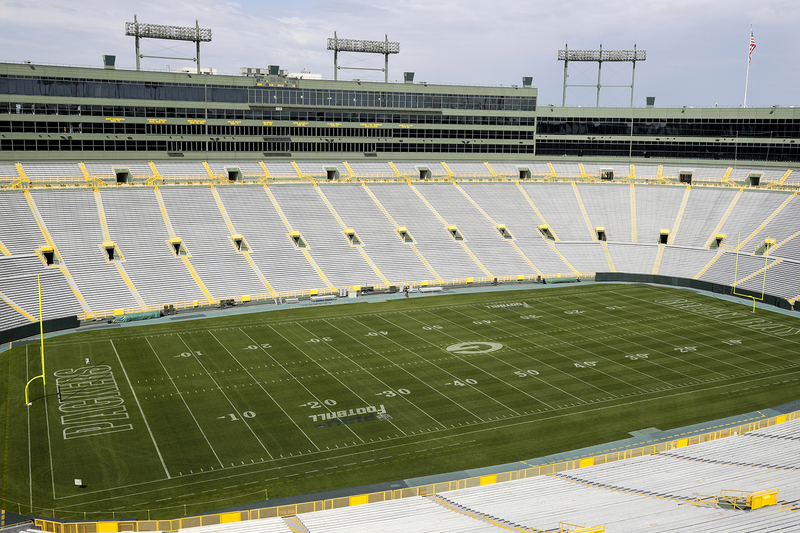 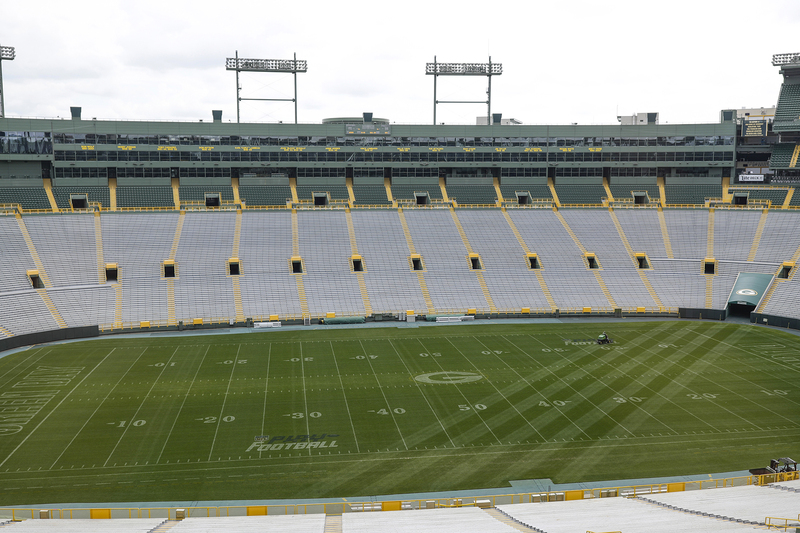 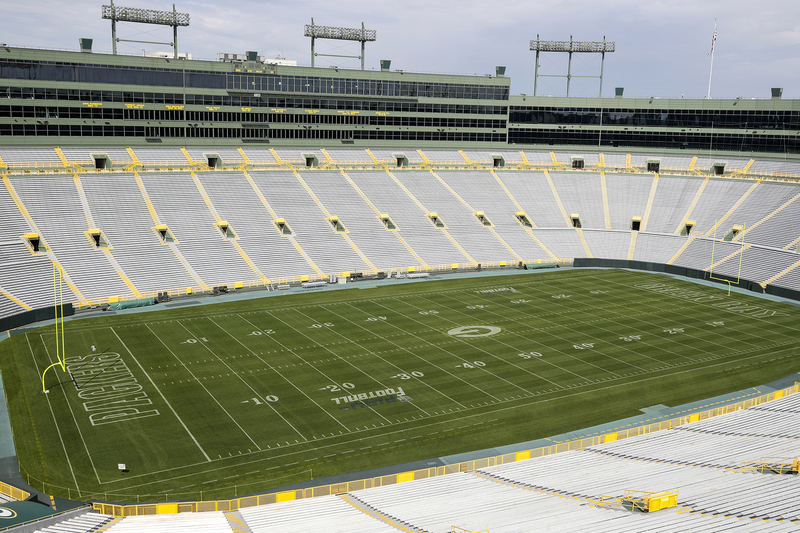 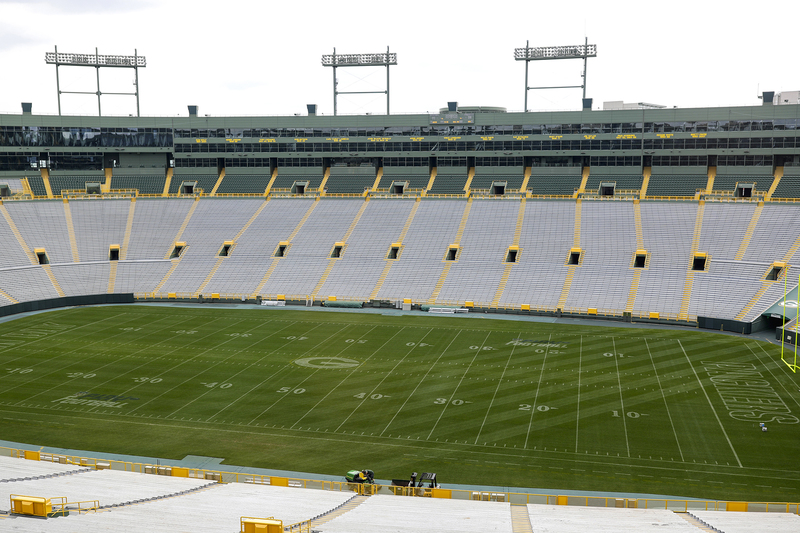 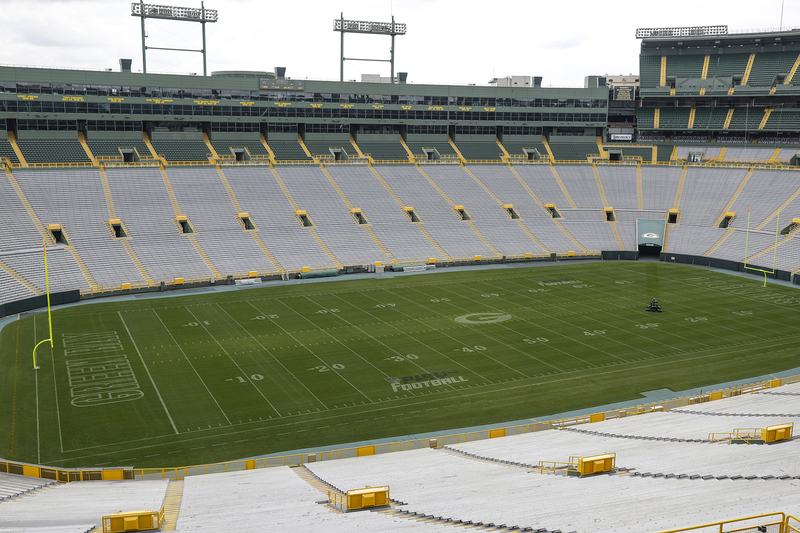 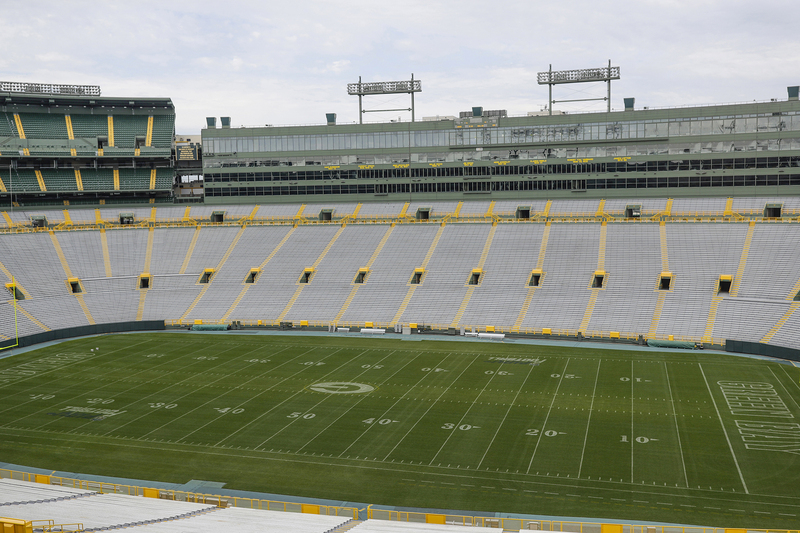 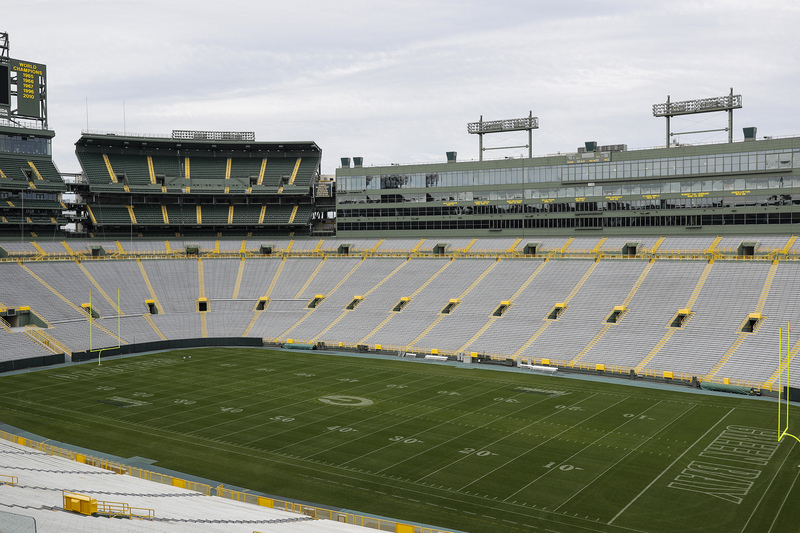 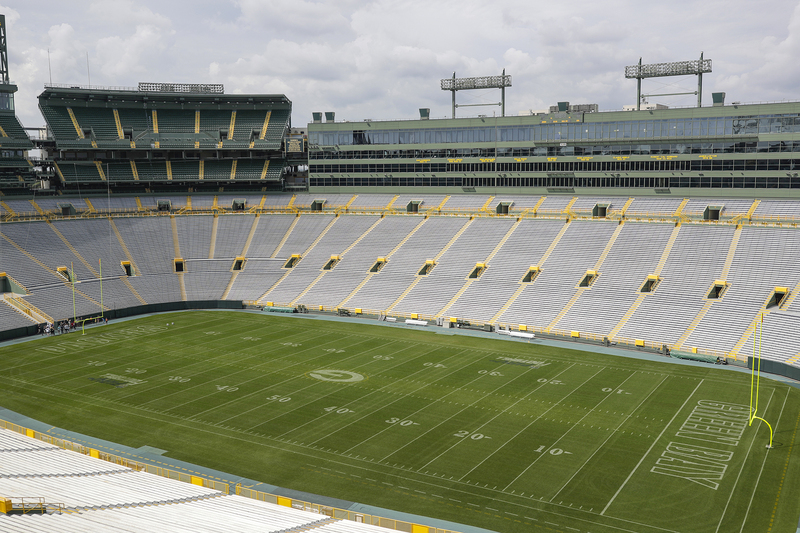 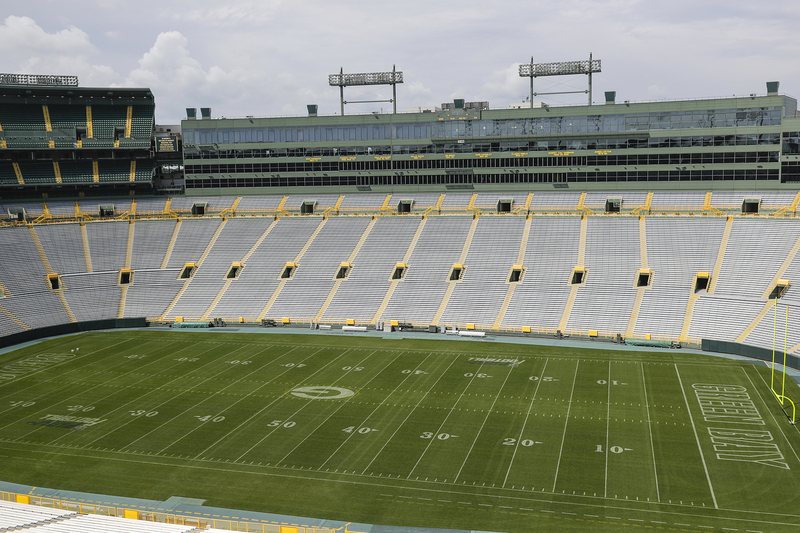 With club seating, you get to choose the climate in which you want to experience the energy of Lambeau. 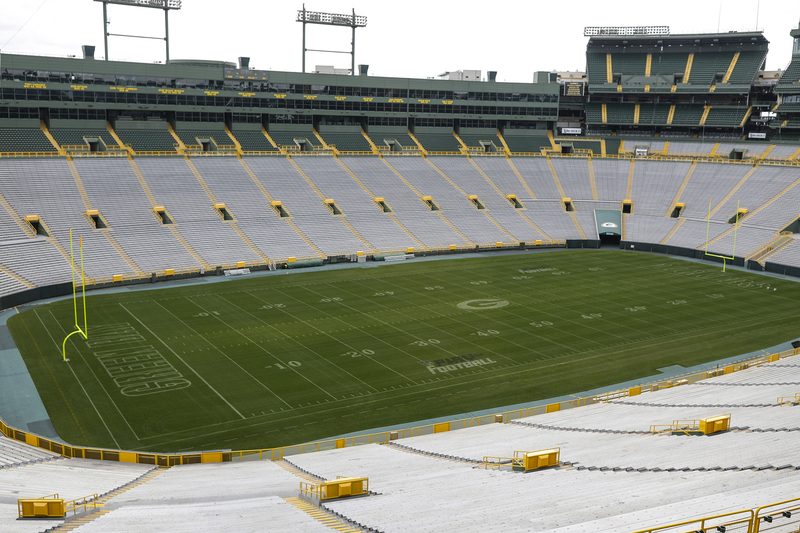 Outside, you get your own seat complete with backrest and a cup holder in a climate chosen by Mother Nature. 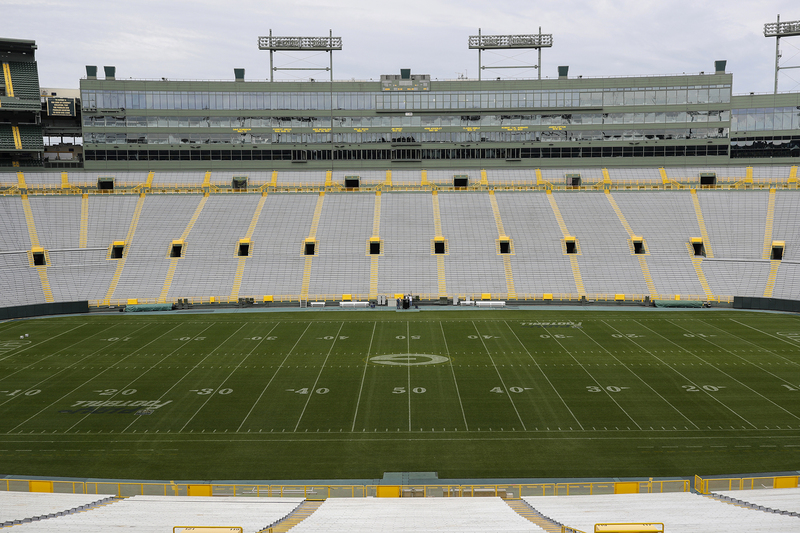 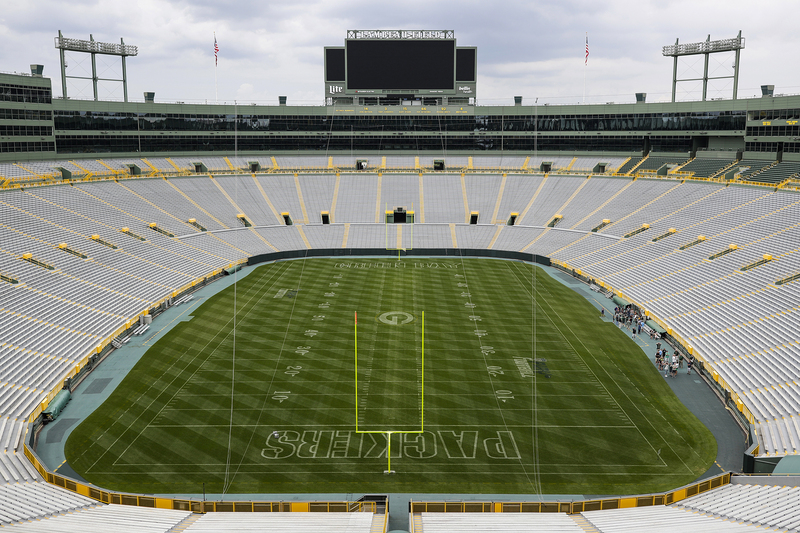 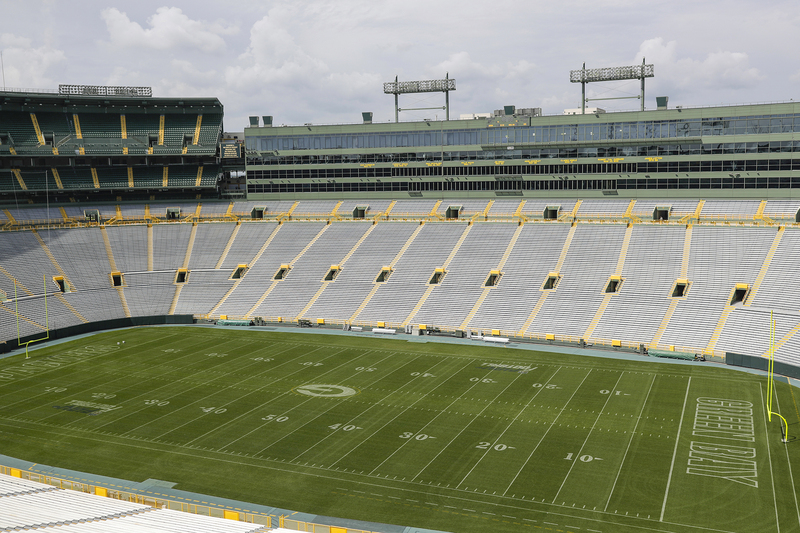 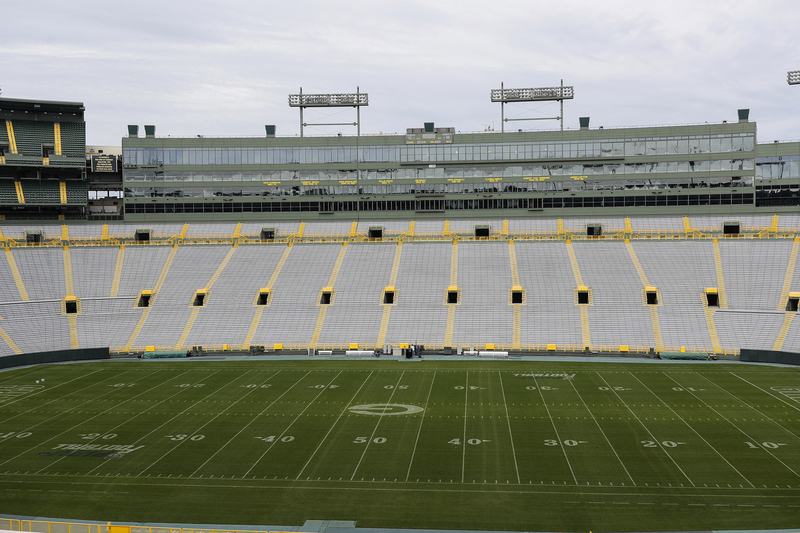 Inside, you get a cushioned seat where Lambeau controls the climate. 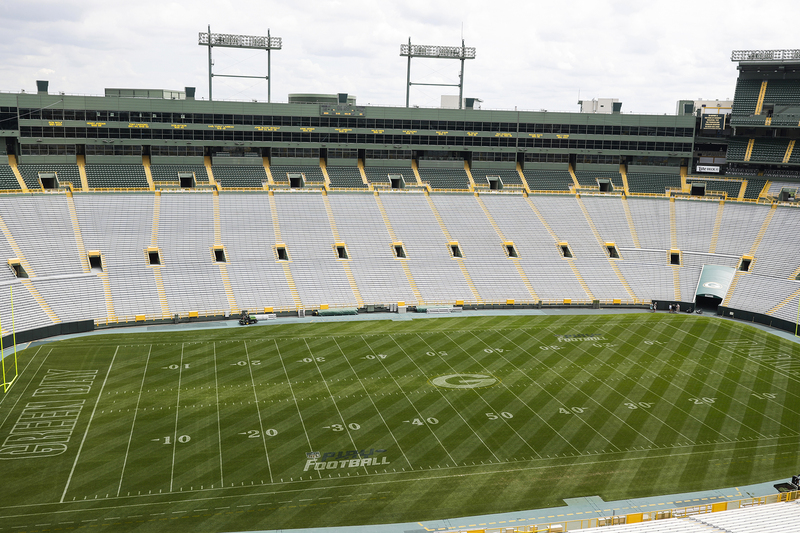 Both offer comfort fit for a champion. 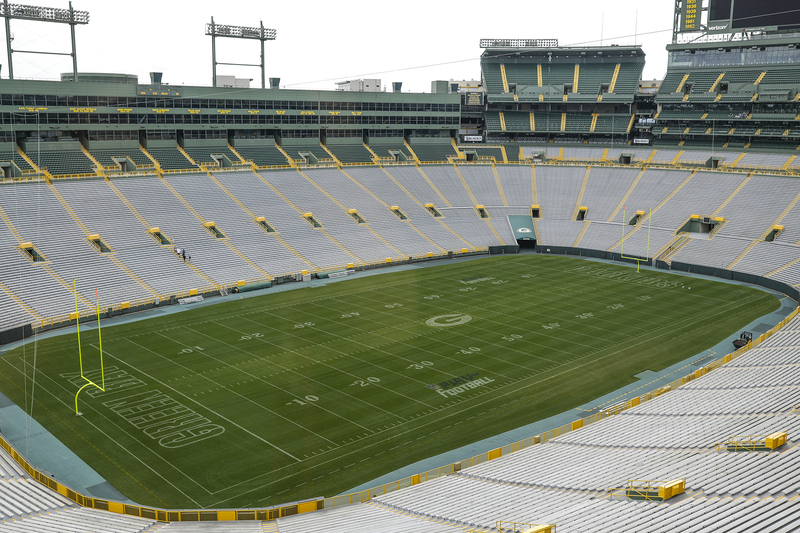 Lambeau Field's Champions Club provides you with one of the most unique vantage points to enjoy Green Bay Packers football. 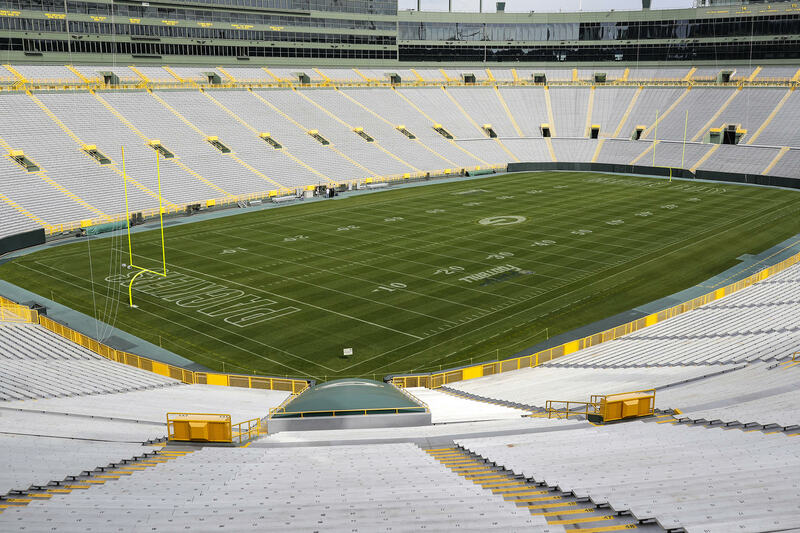 From Lambeau Field's South End "penthouse", you and your guests will enjoy exclusive, climate controlled seating from which to enjoy the game. 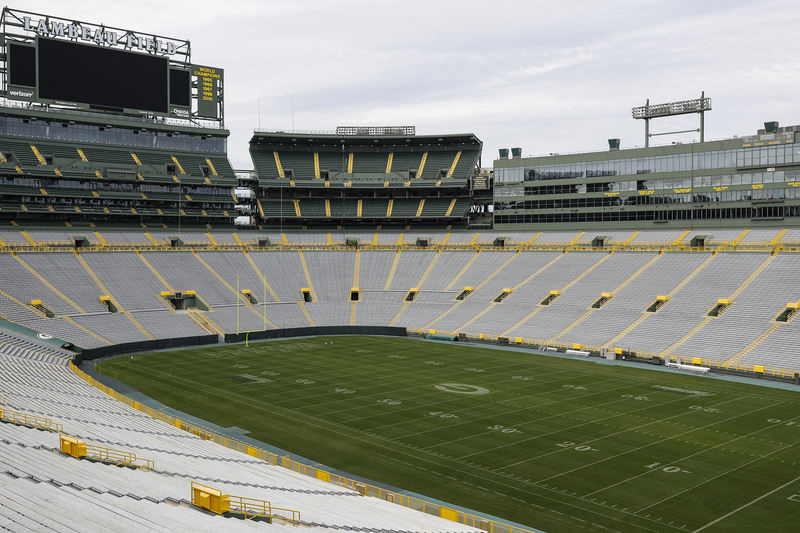 There's nothing like watching a Packers game with friends. 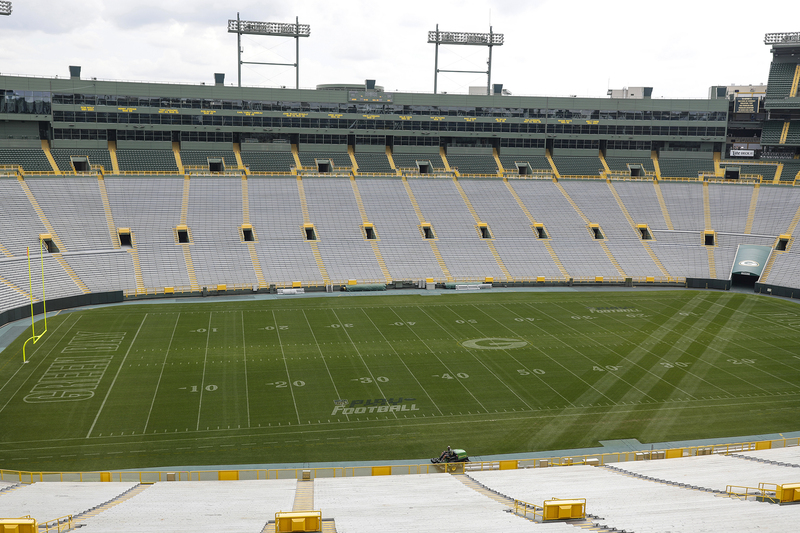 Group seating let's you do just that right in the stadium! 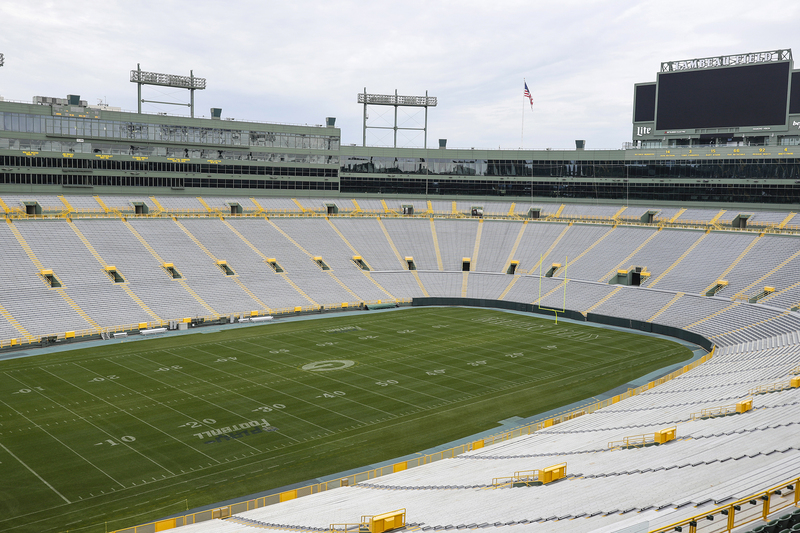 Gather up at least 20 of your friends, family friends, even strangers, and experience the awe of Lambeau together.